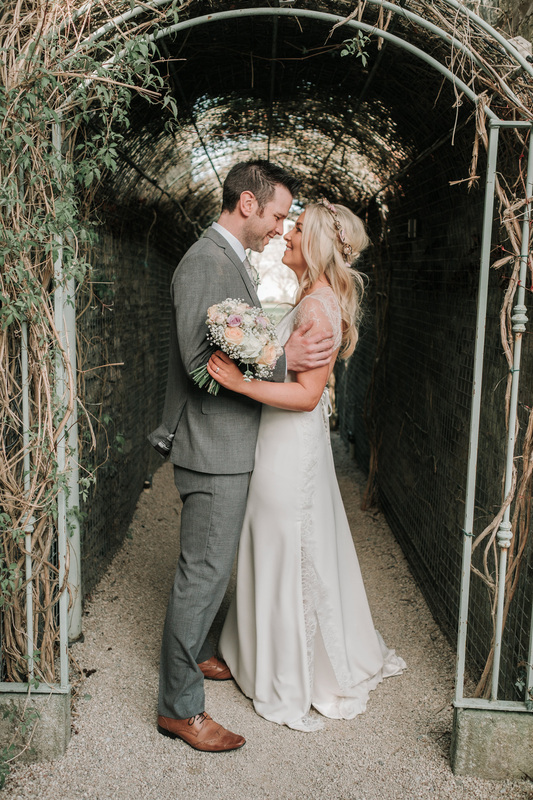 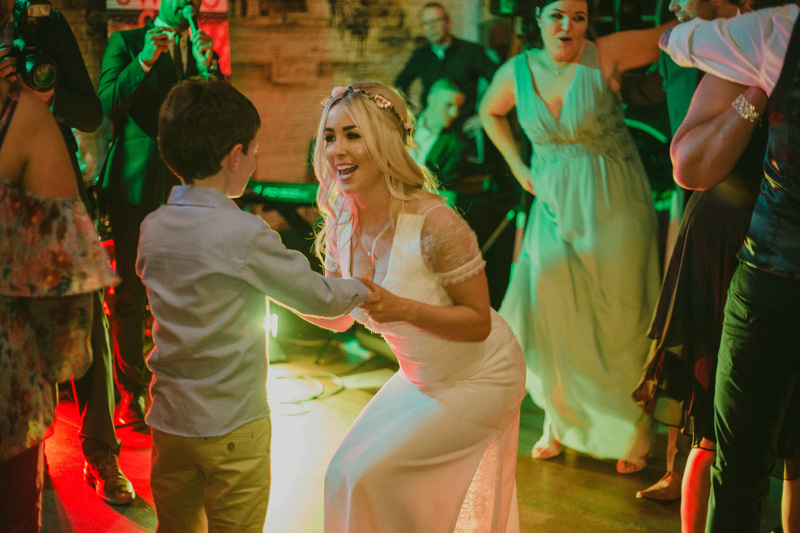 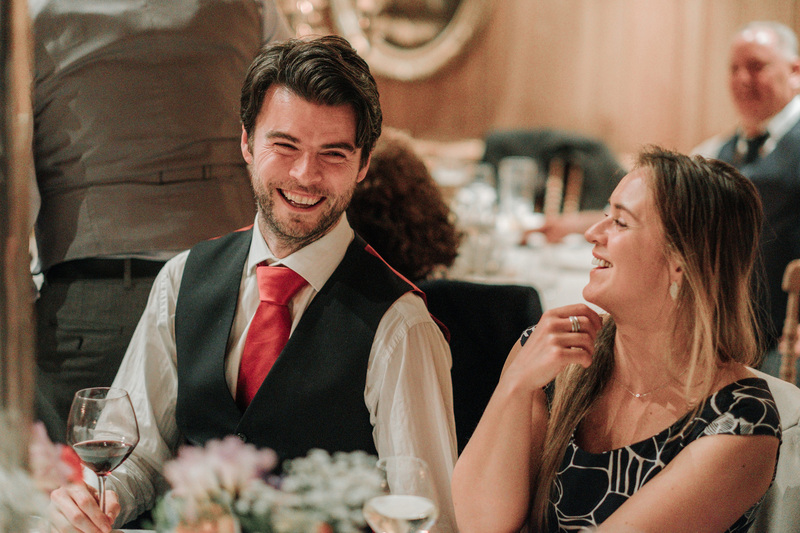 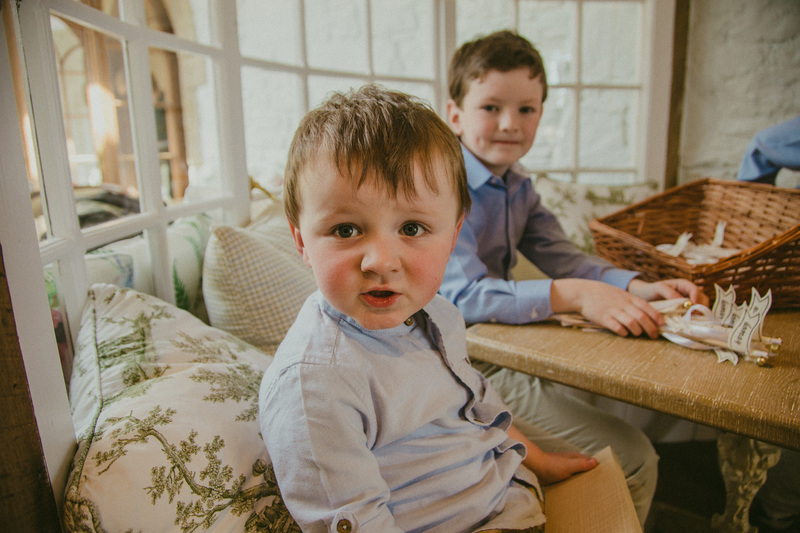 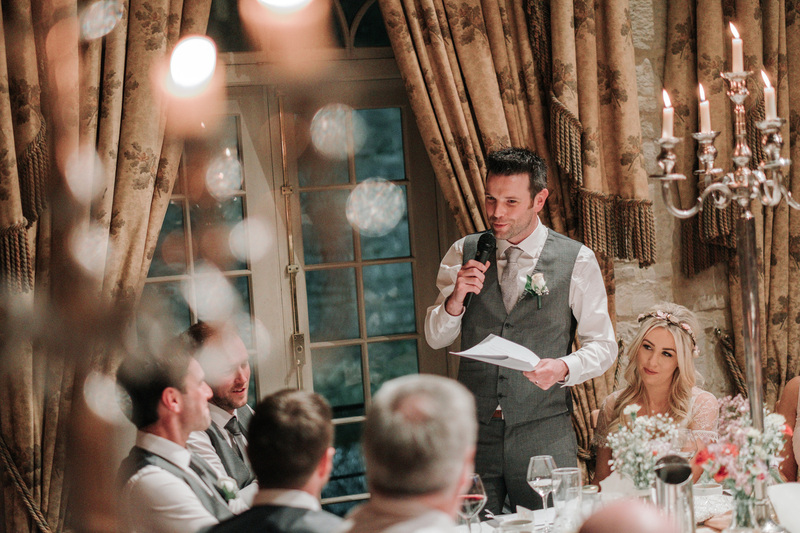 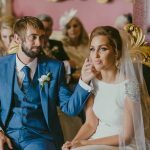 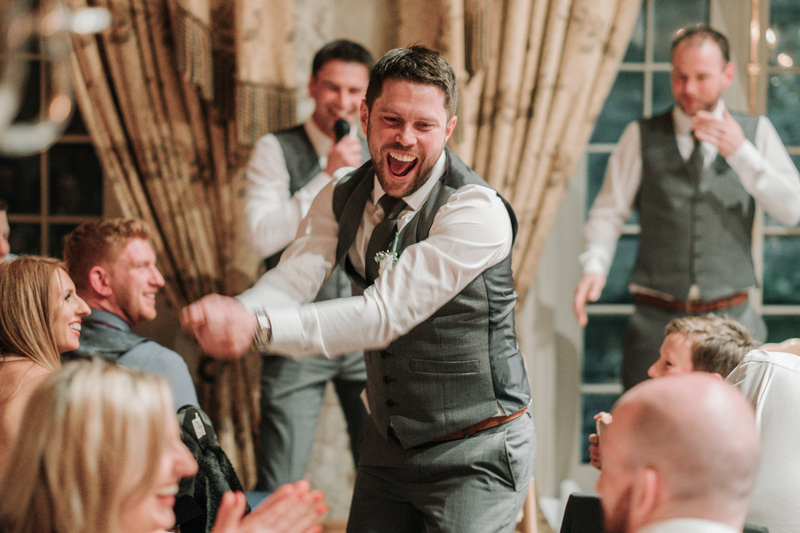 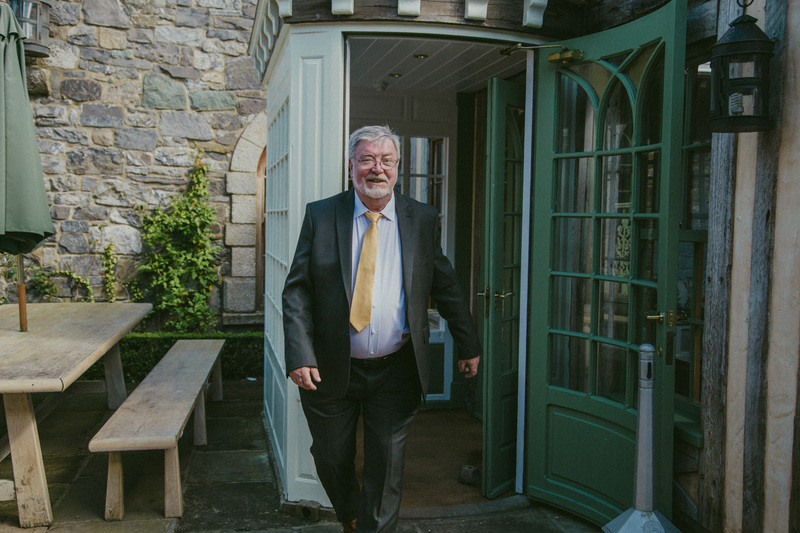 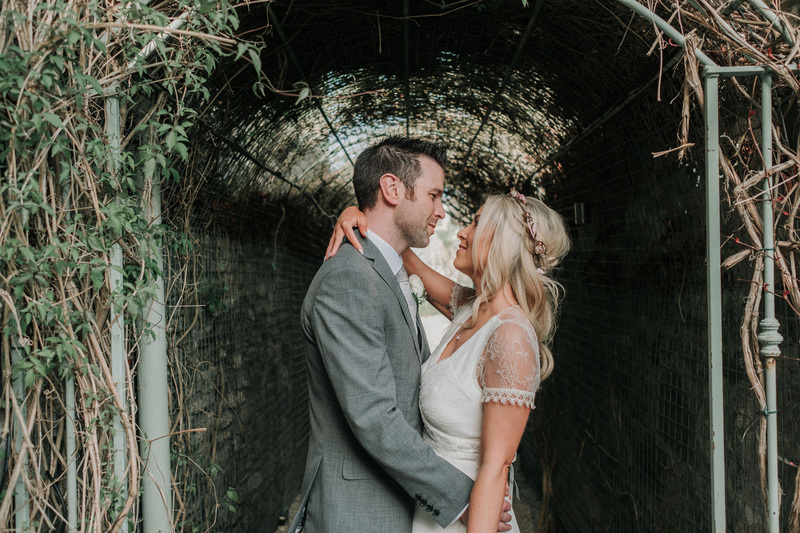 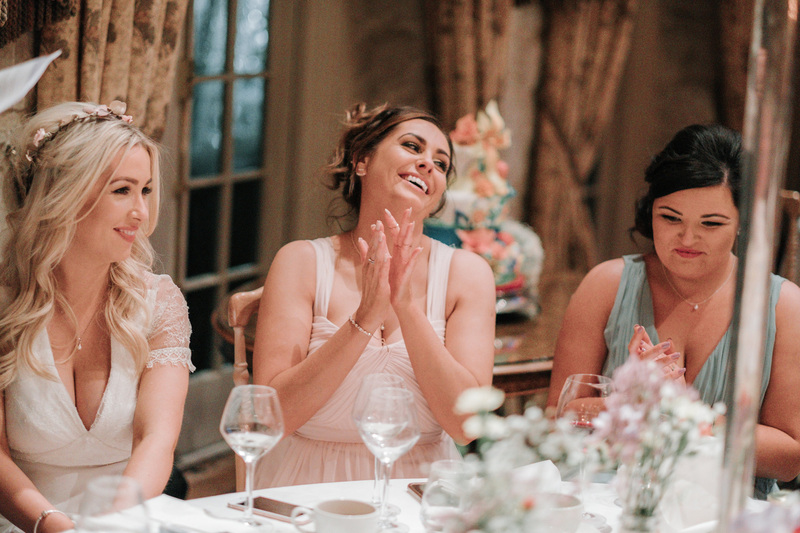 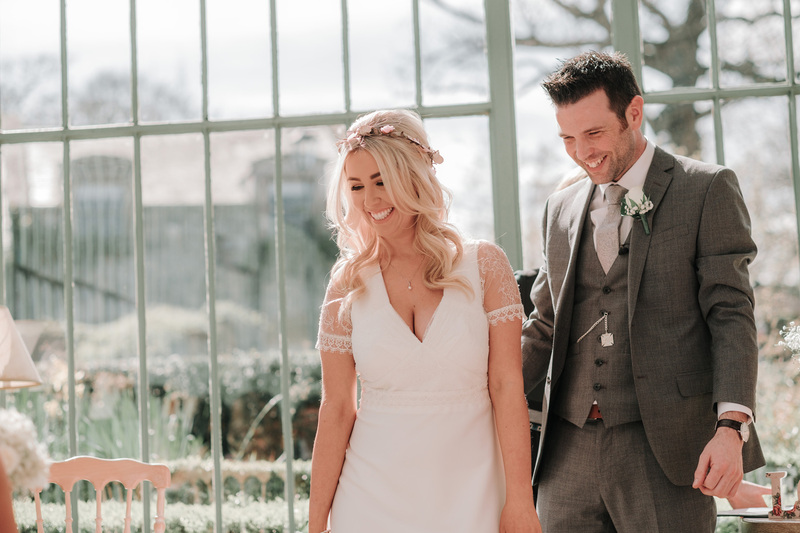 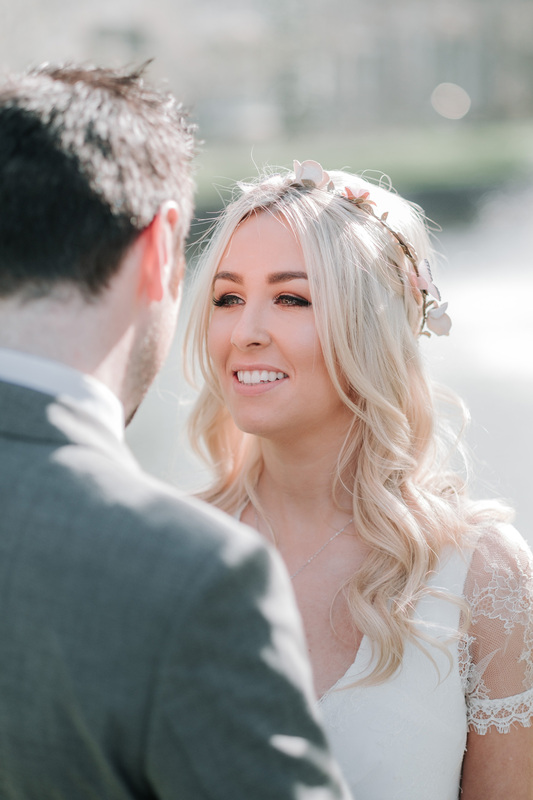 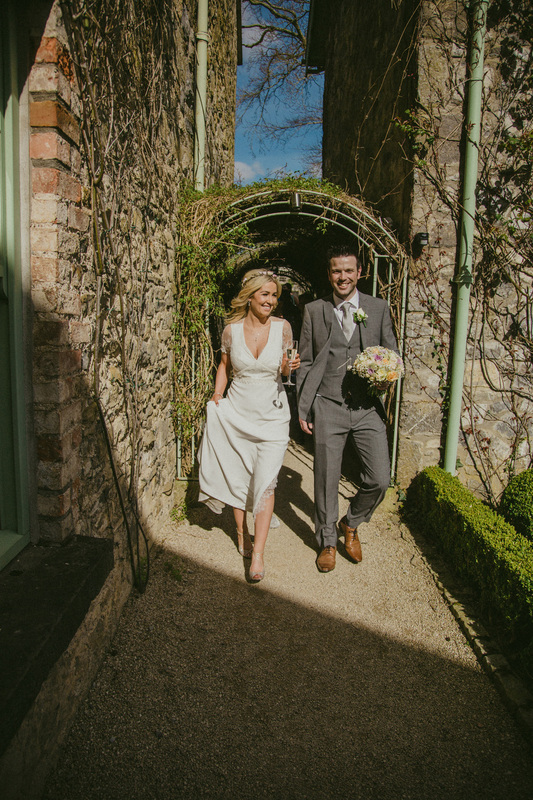 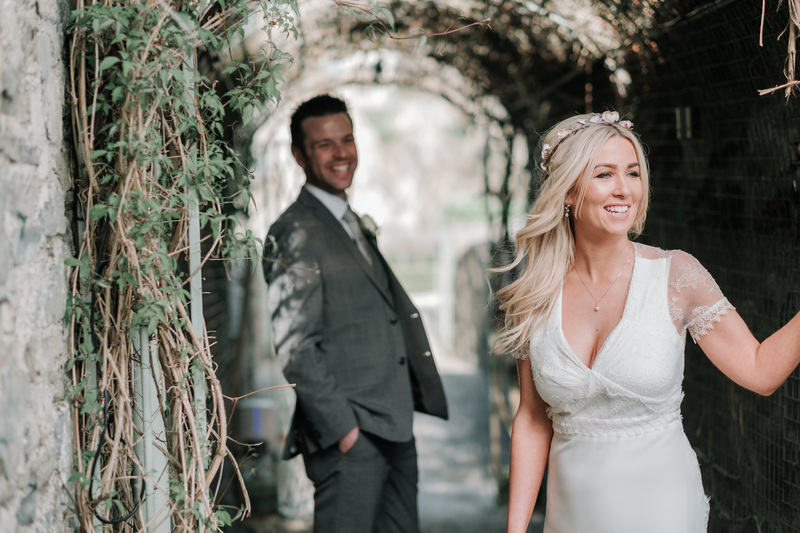 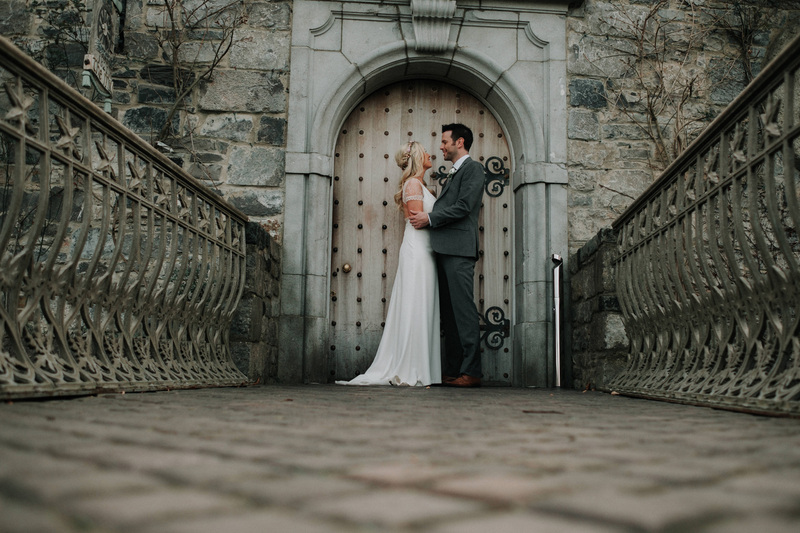 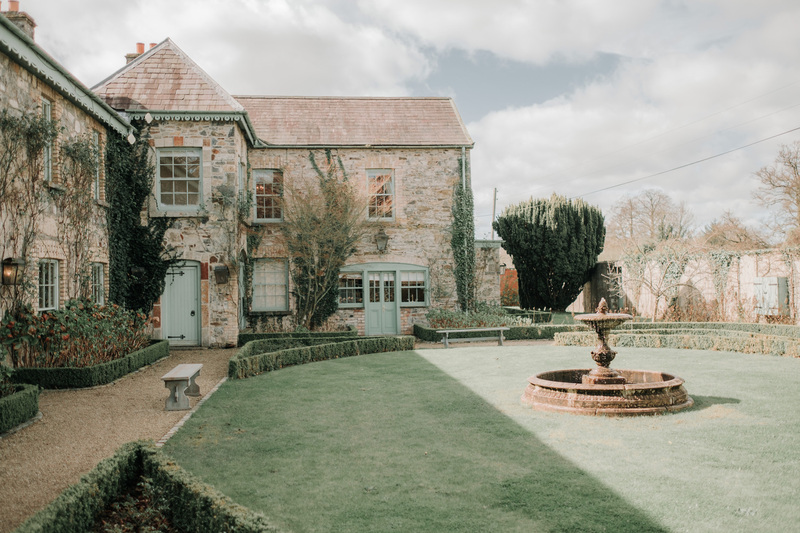 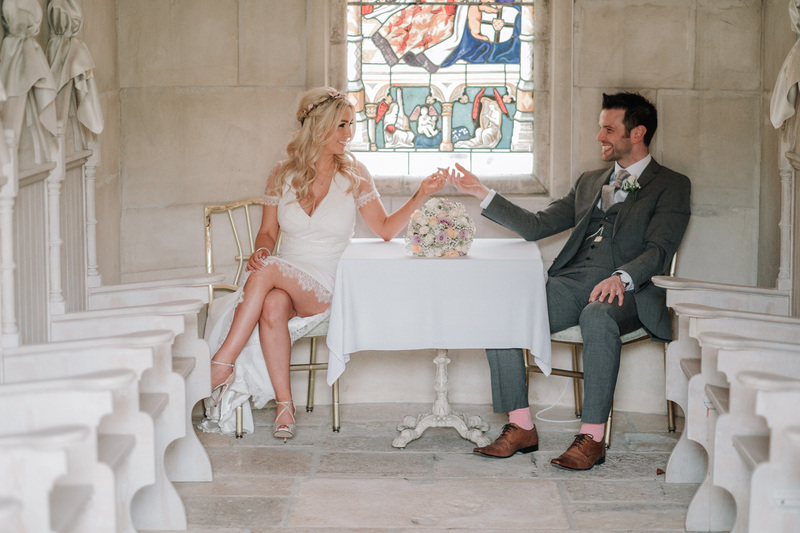 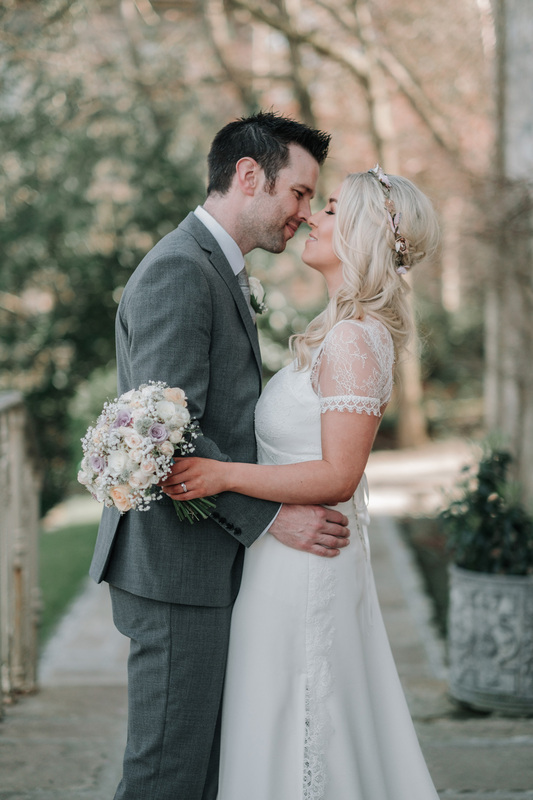 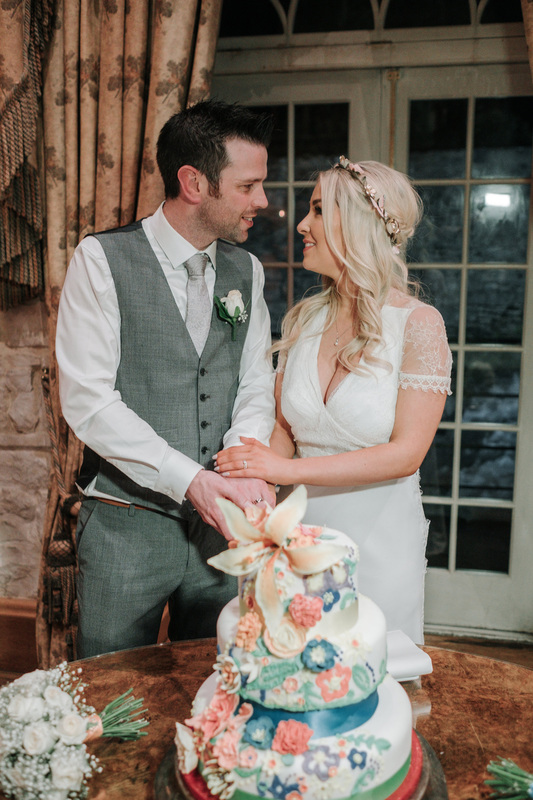 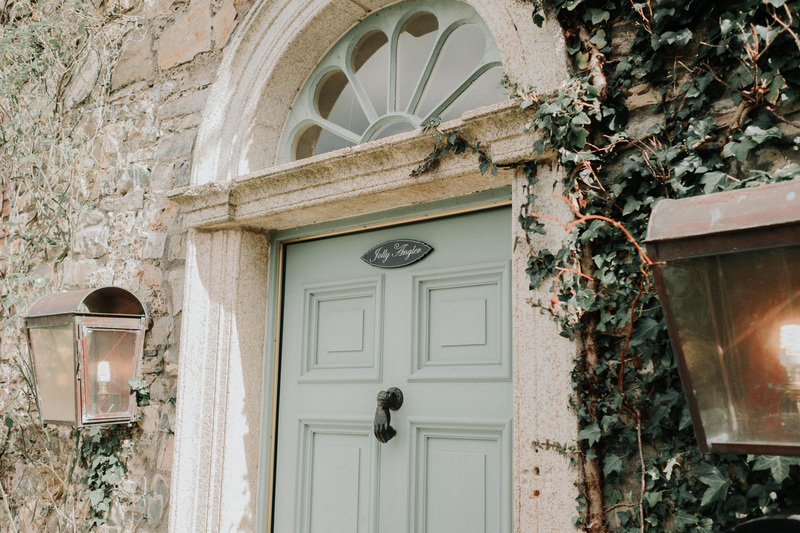 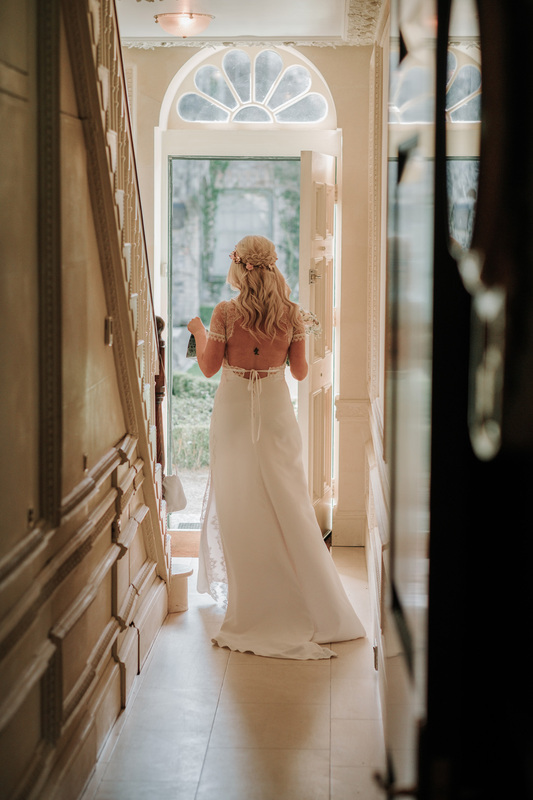 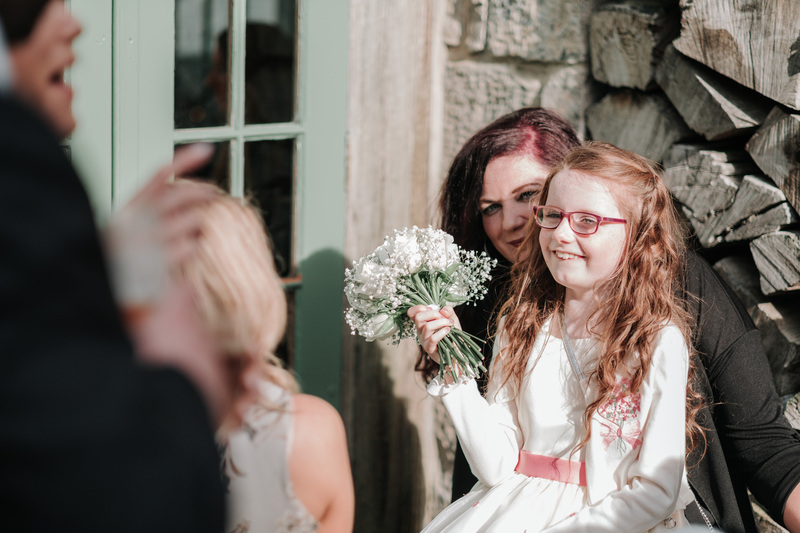 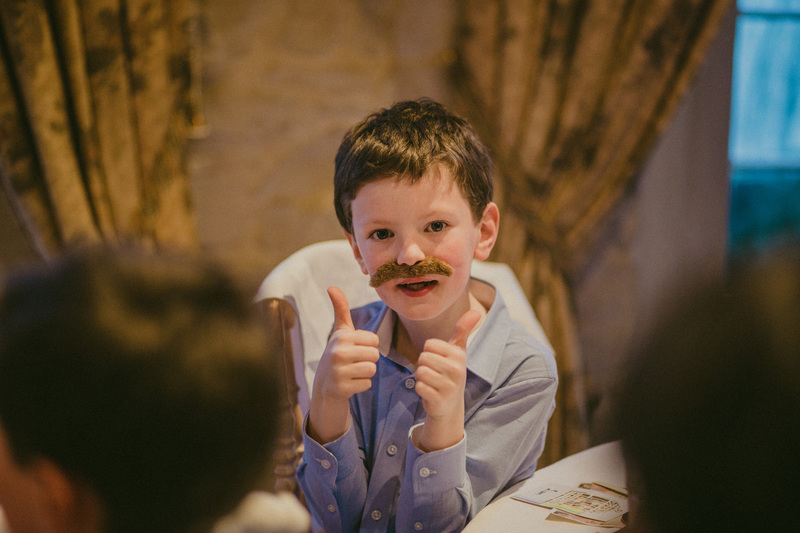 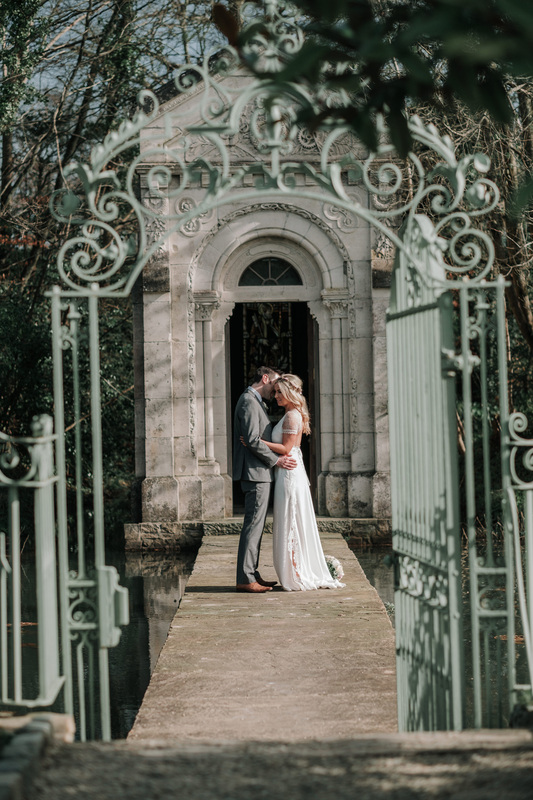 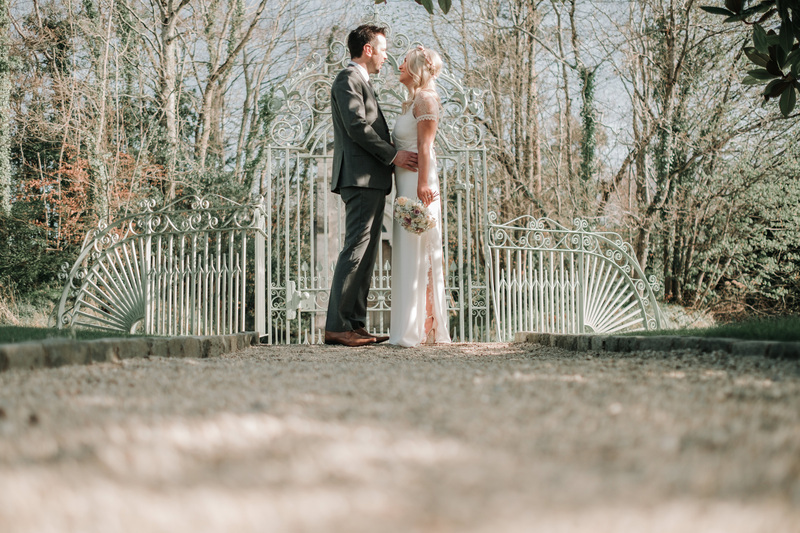 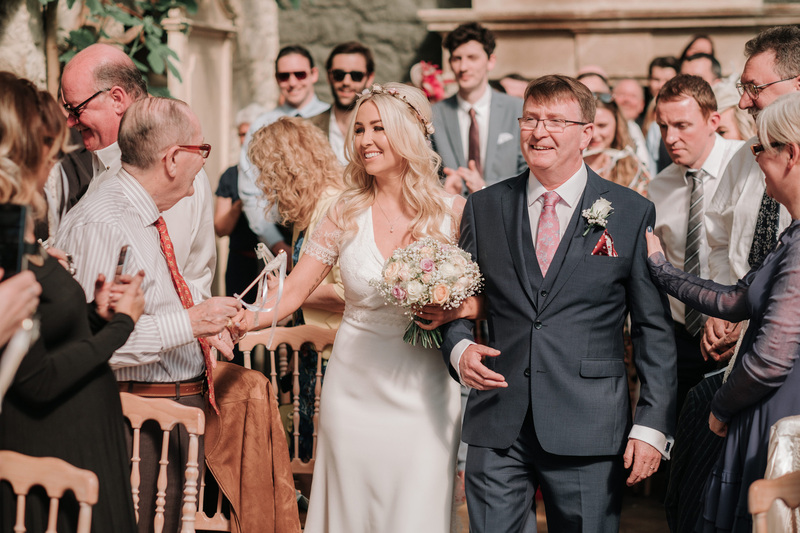 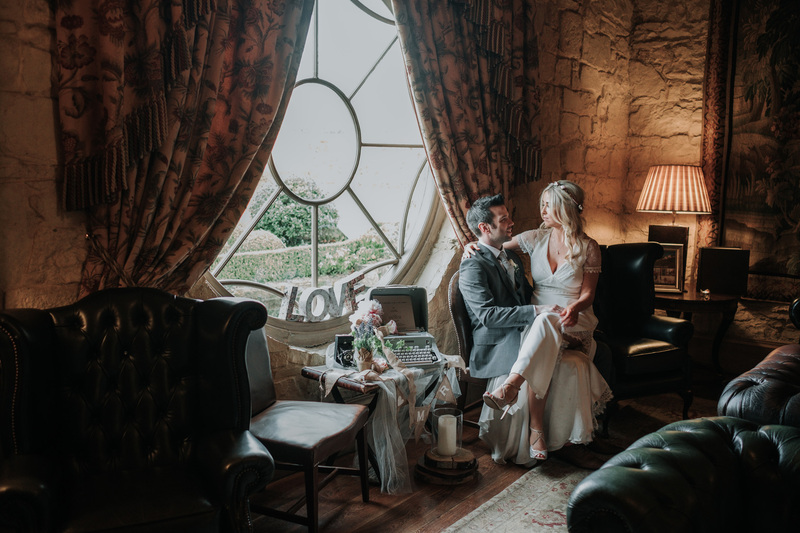 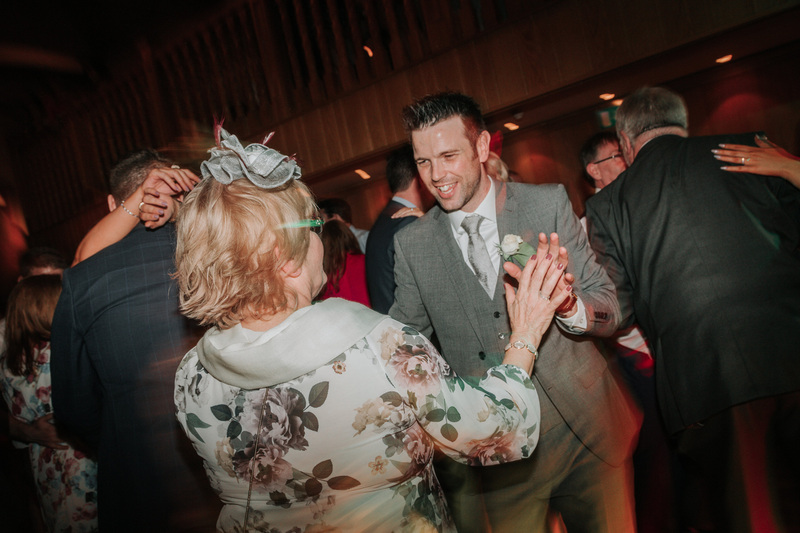 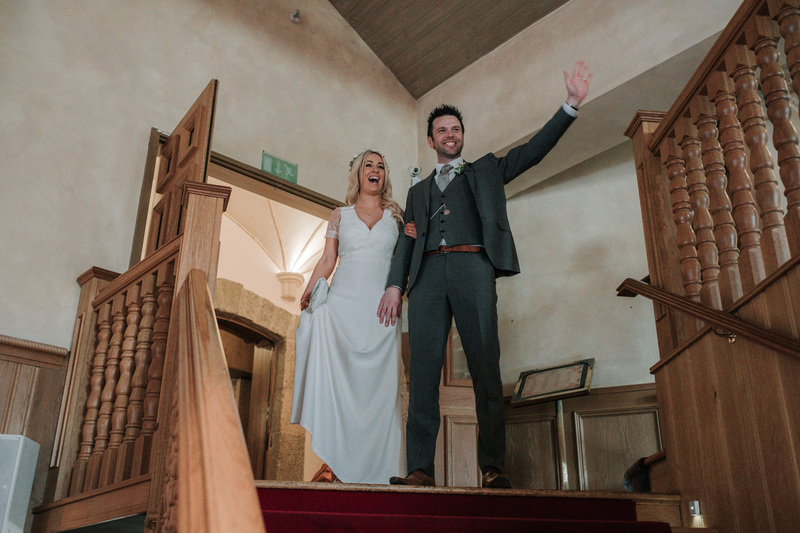 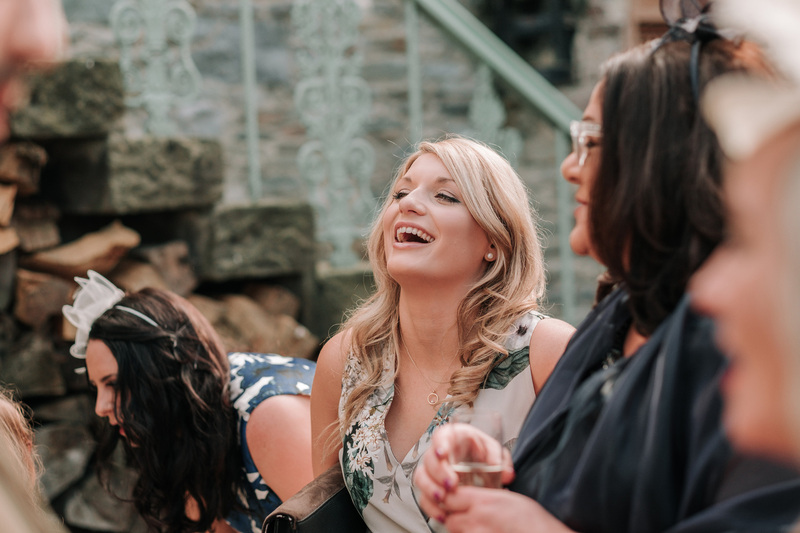 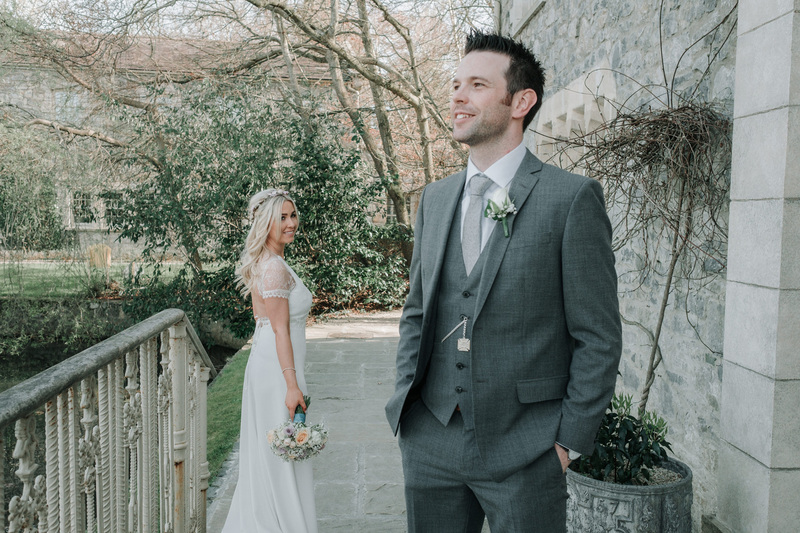 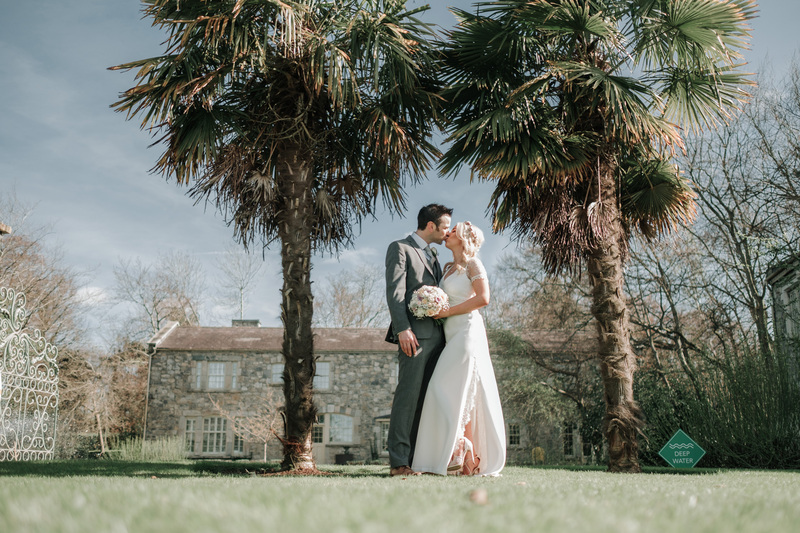 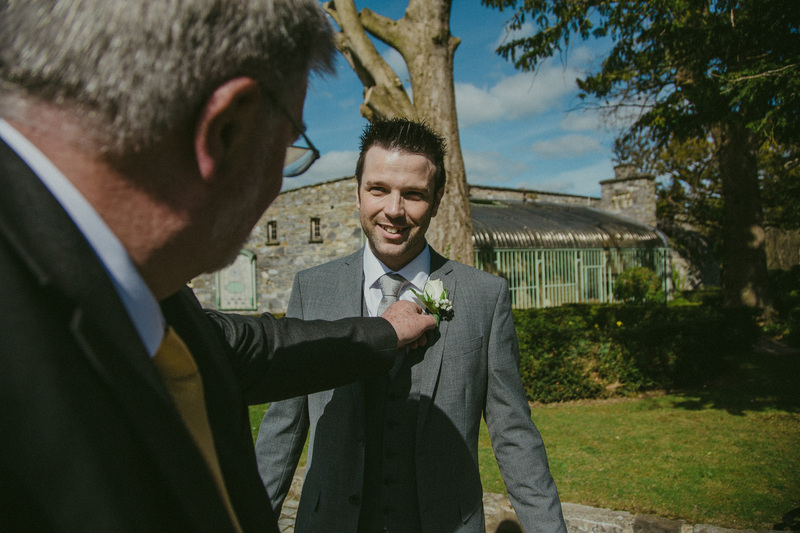 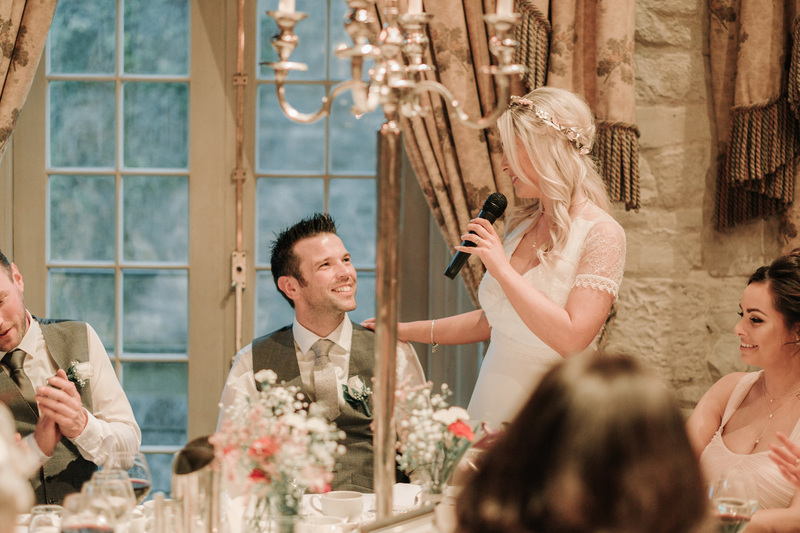 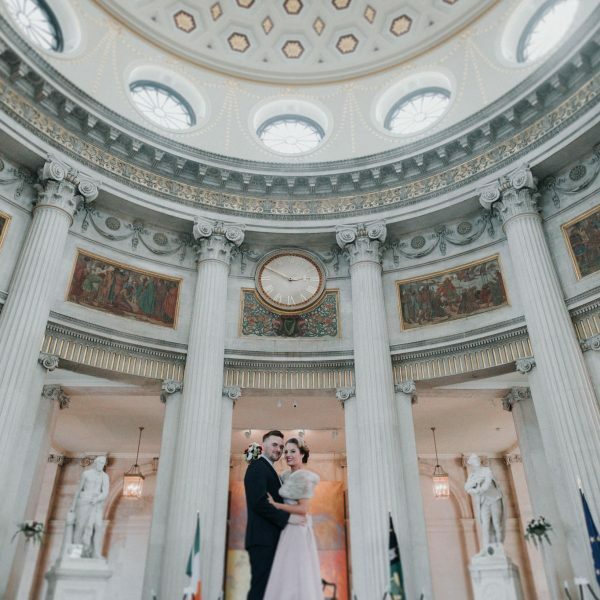 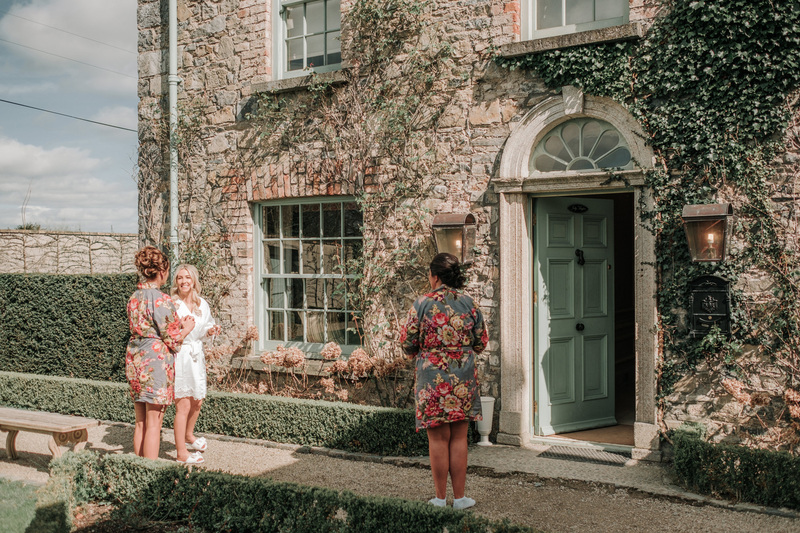 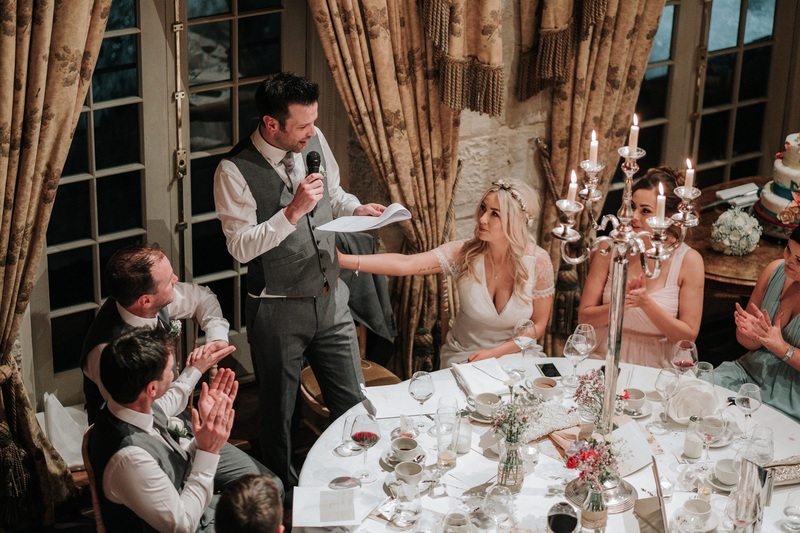 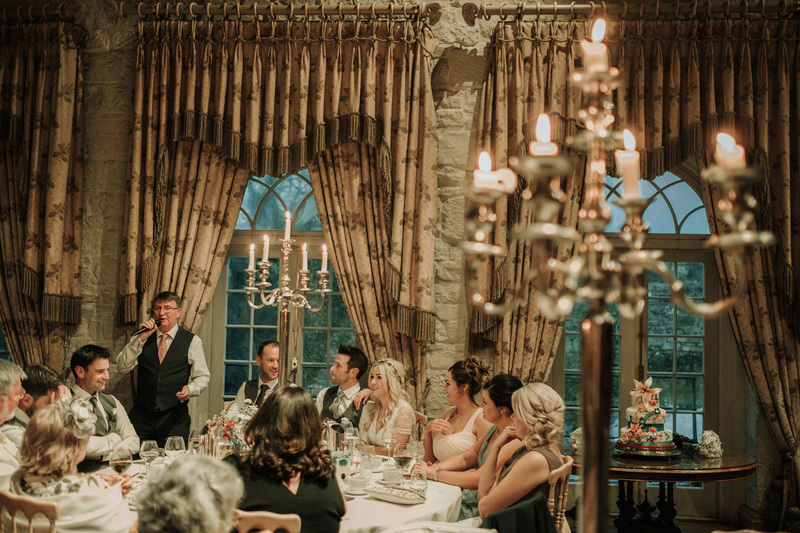 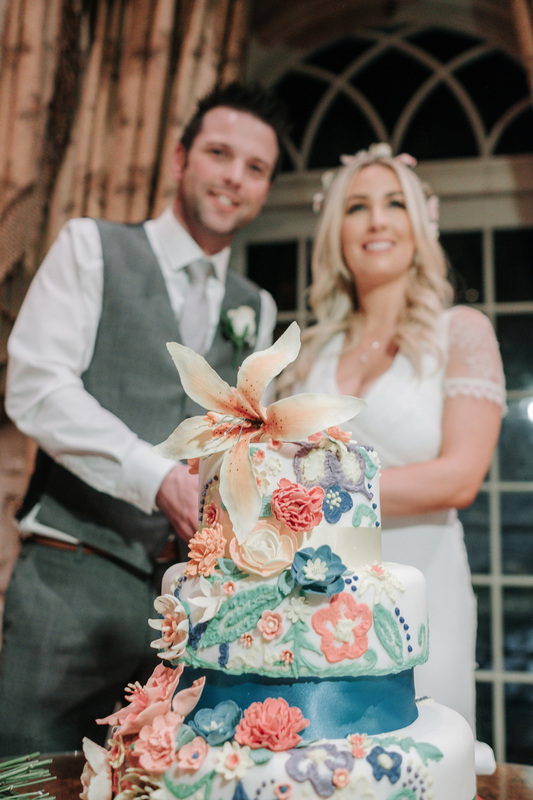 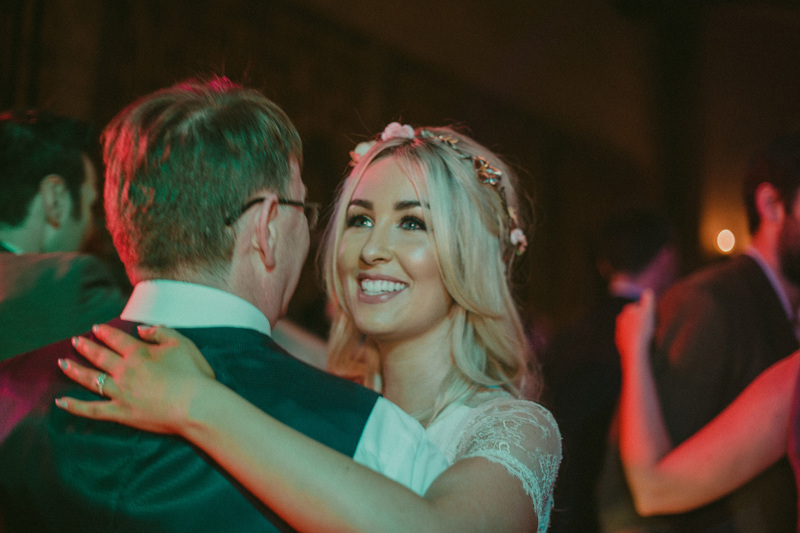 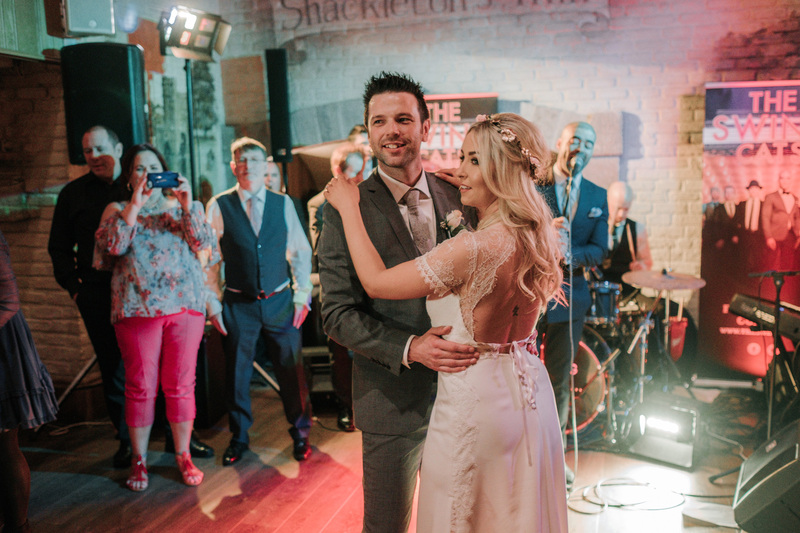 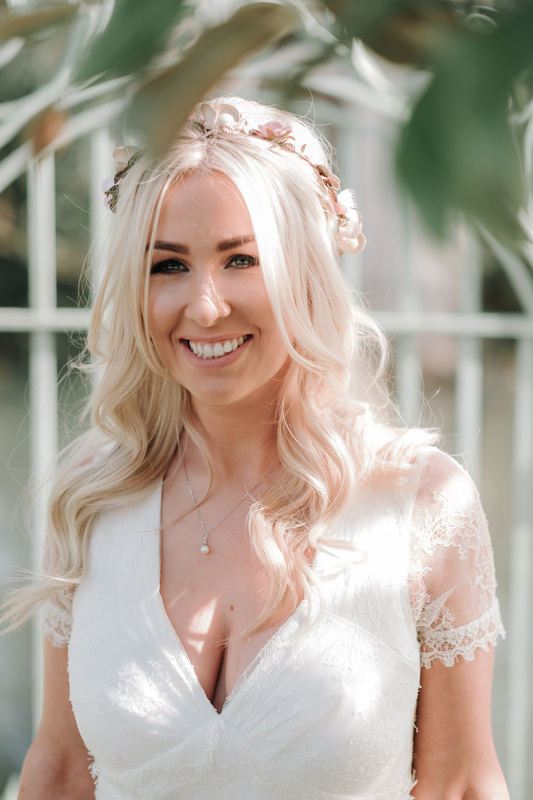 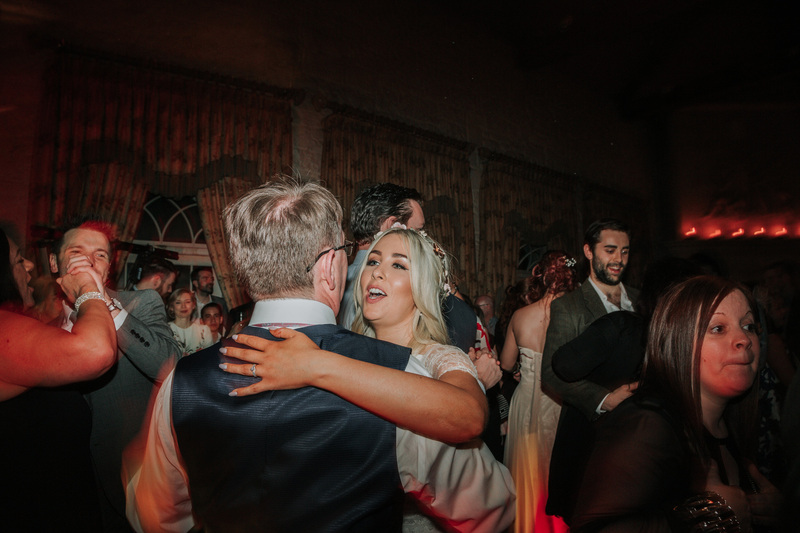 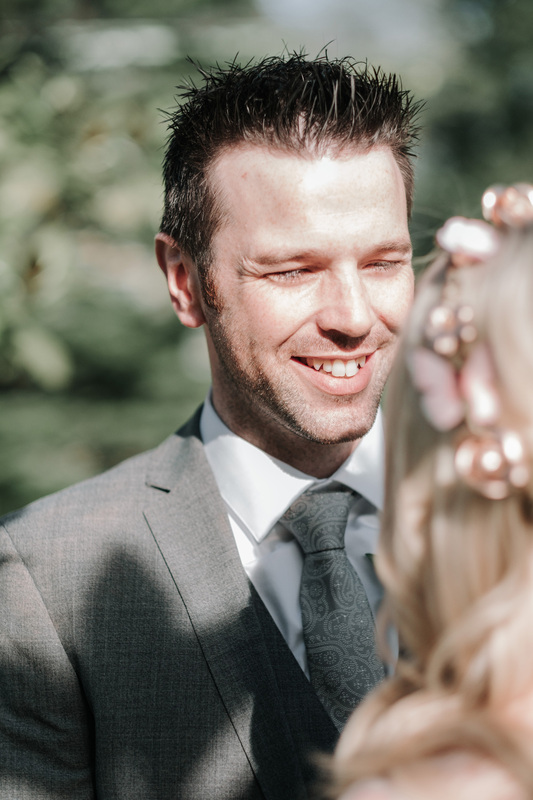 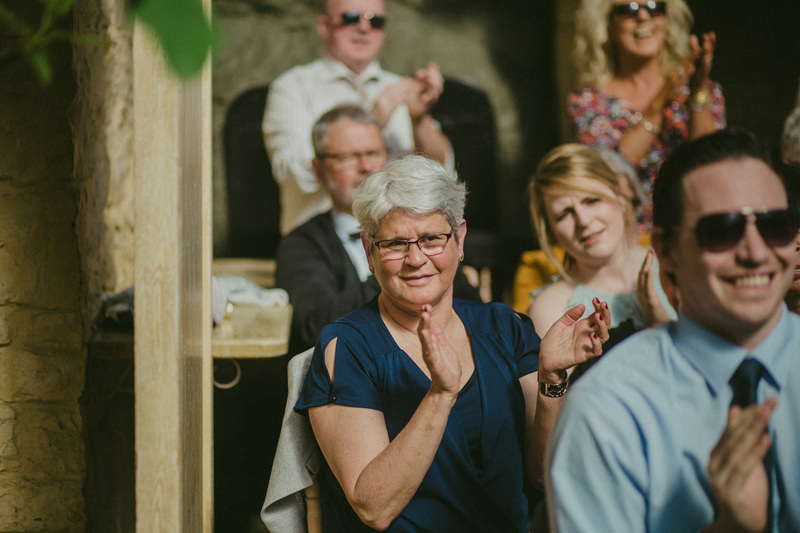 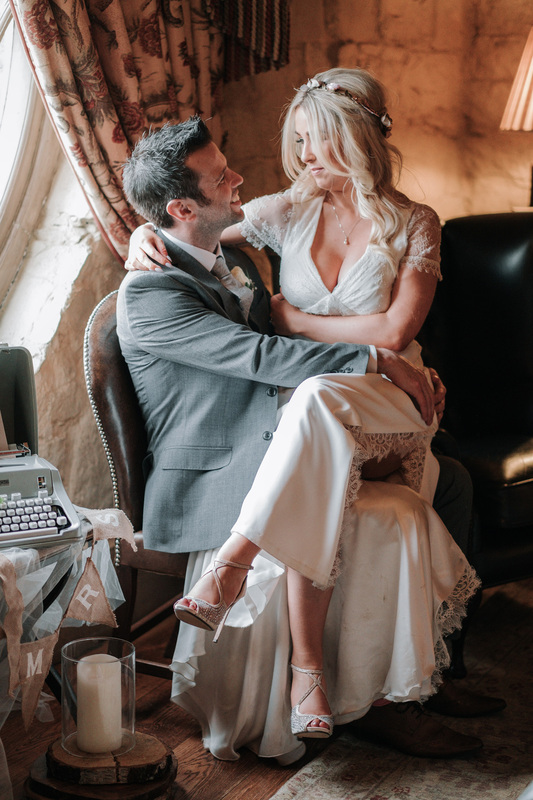 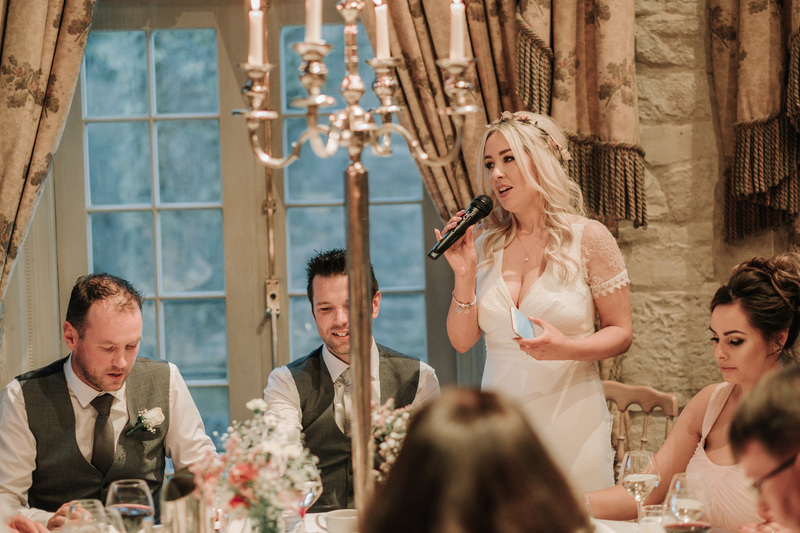 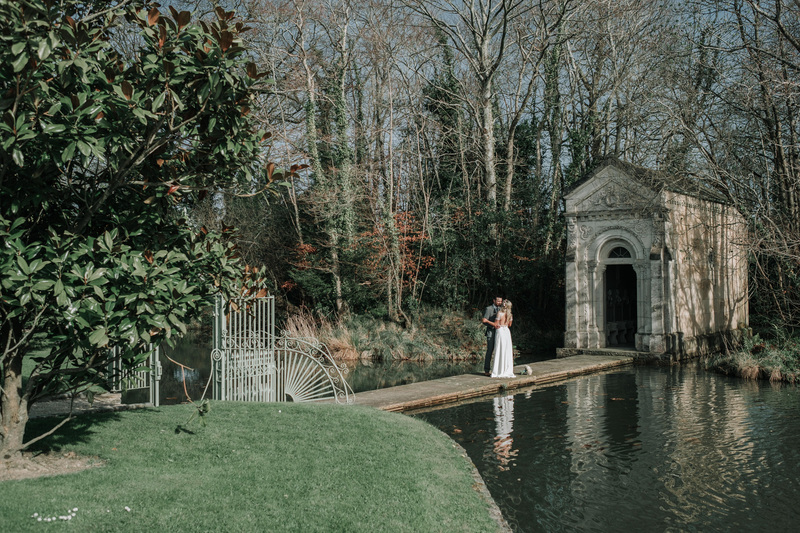 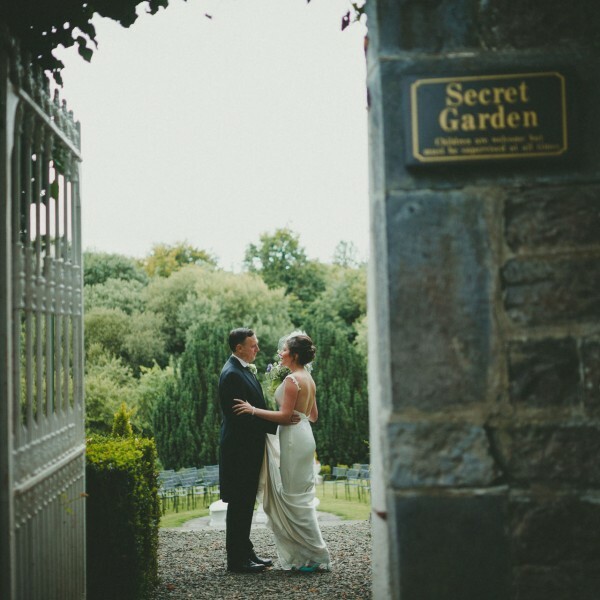 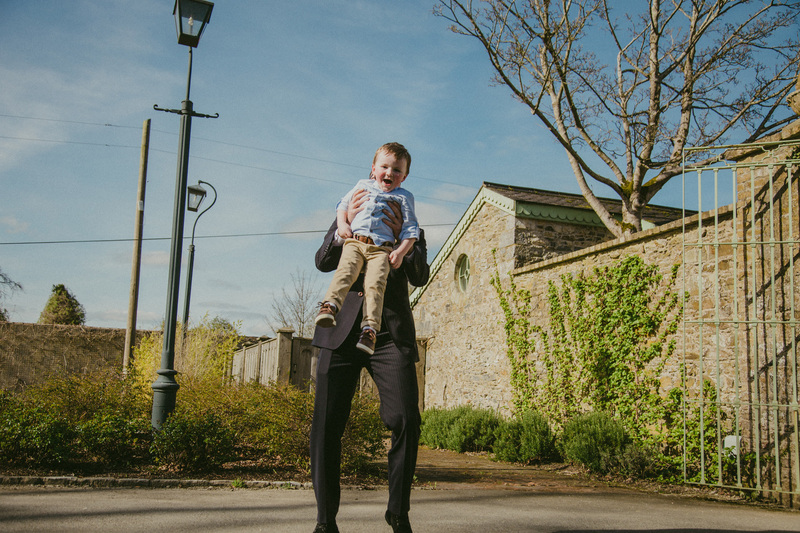 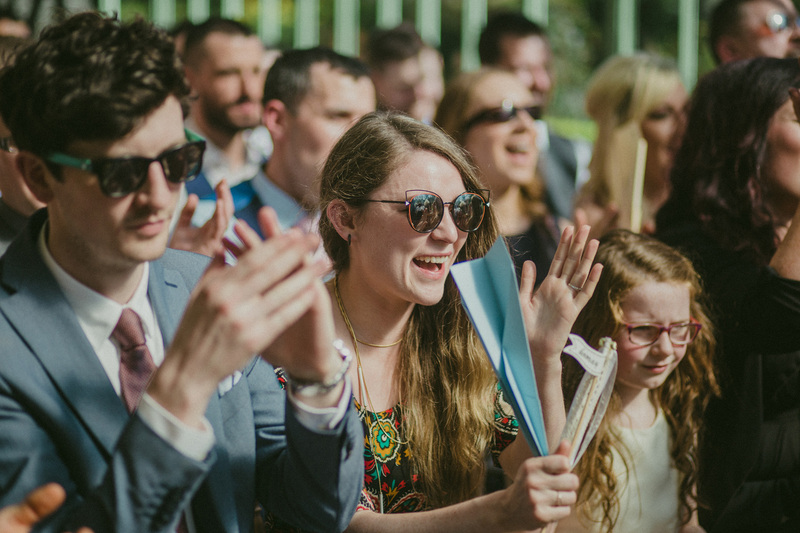 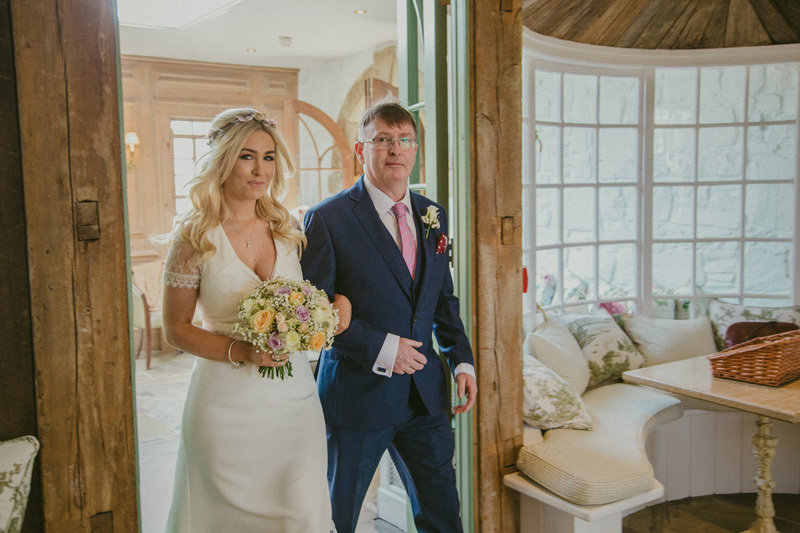 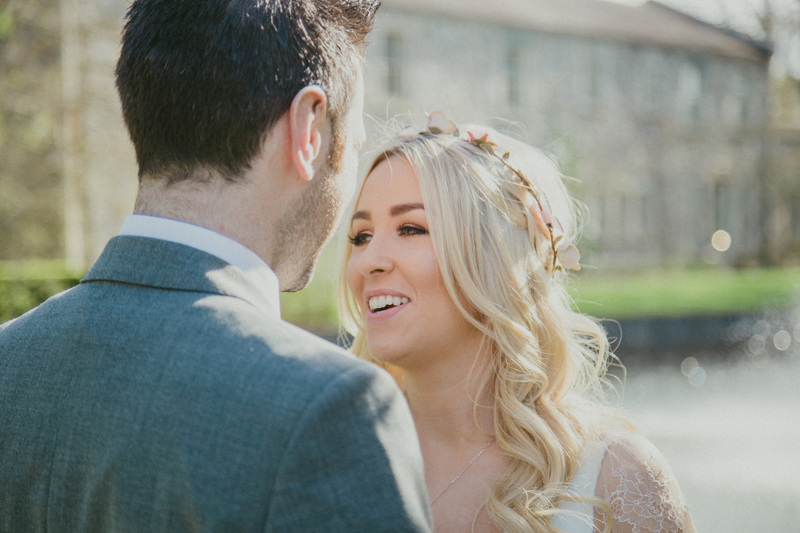 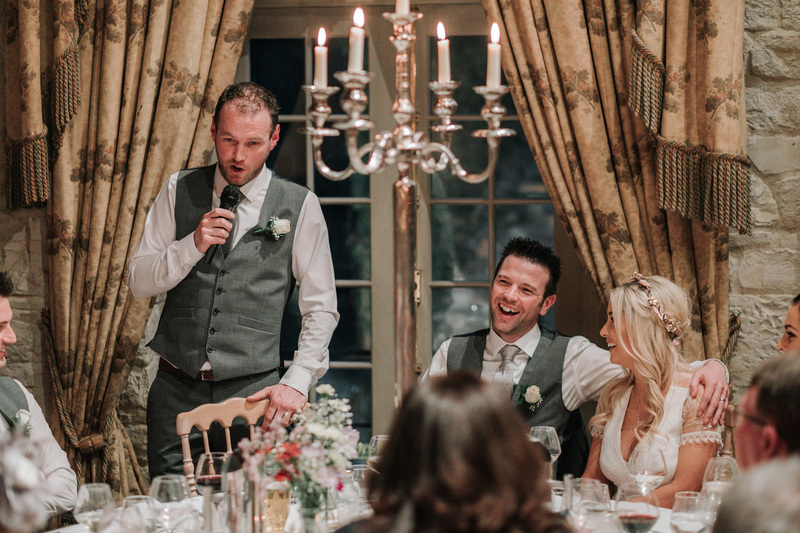 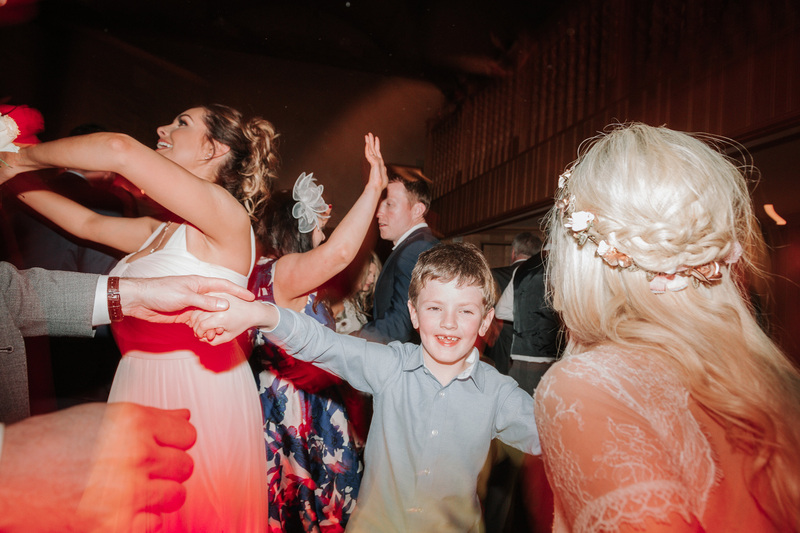 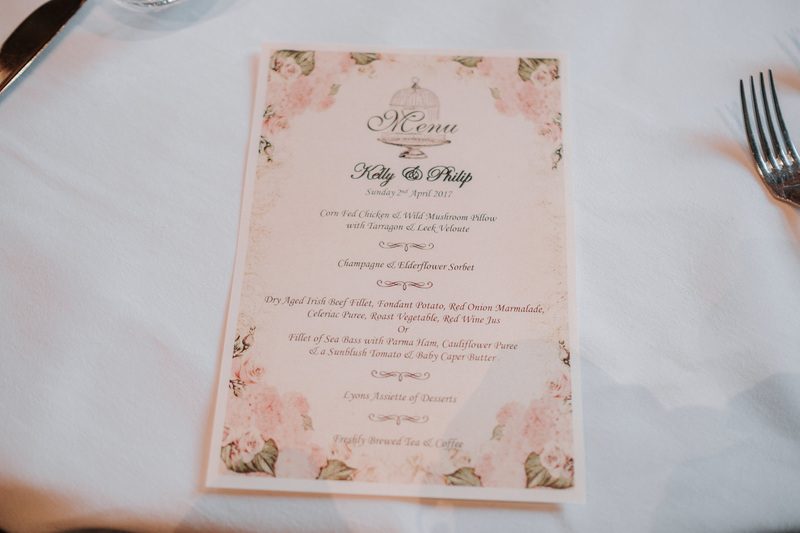 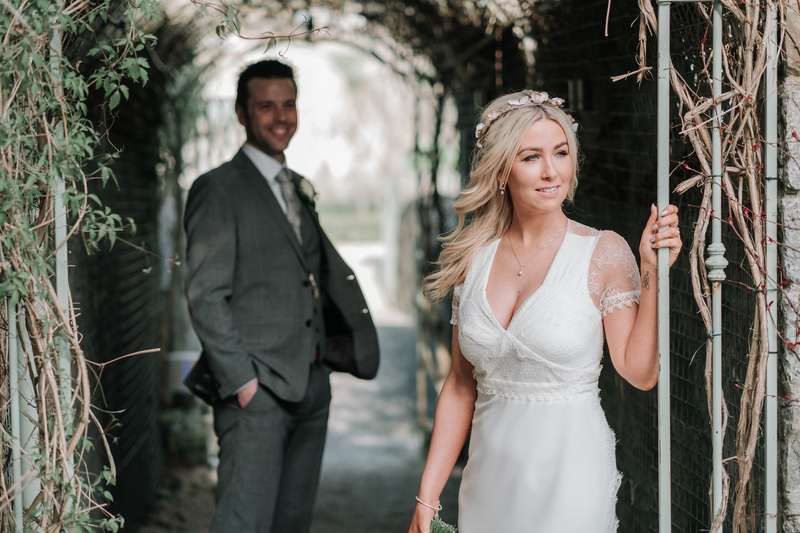 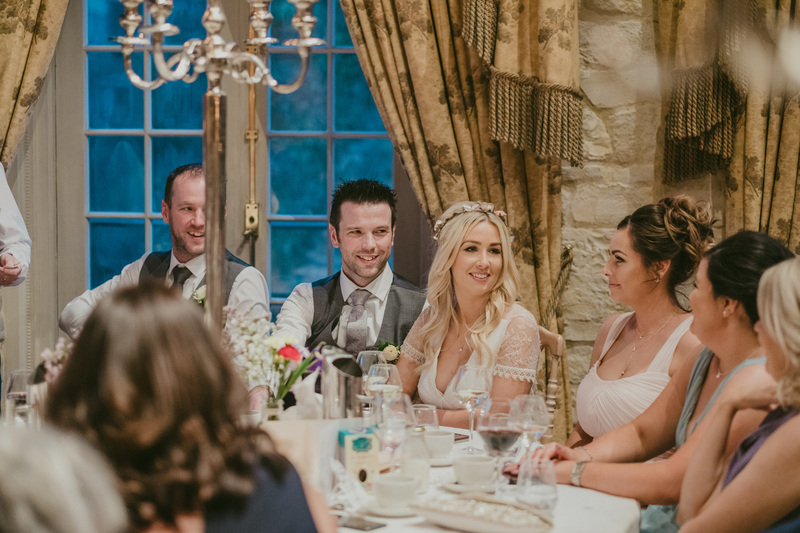 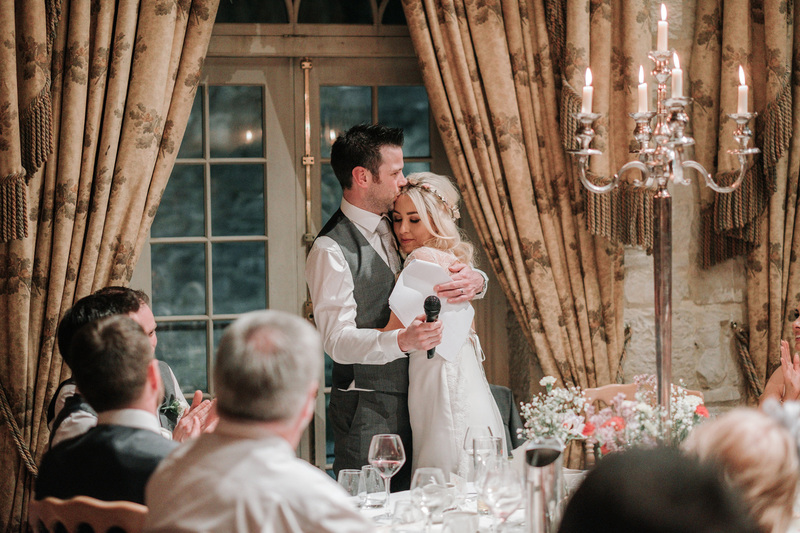 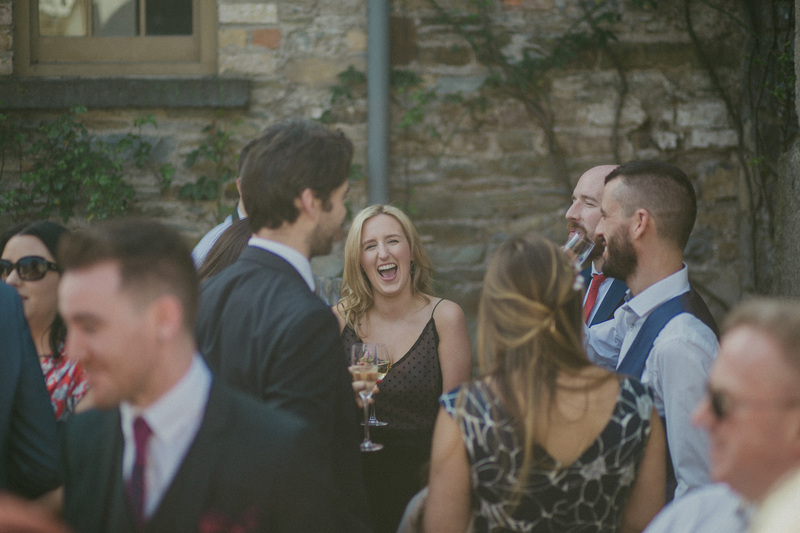 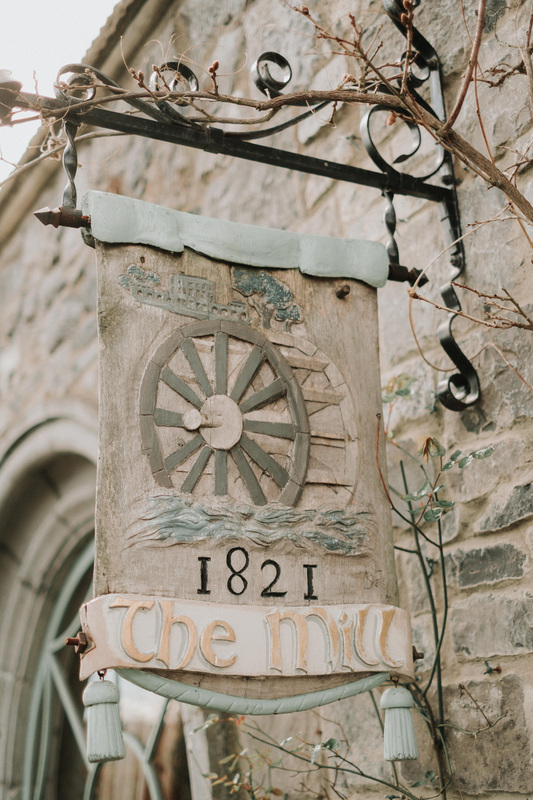 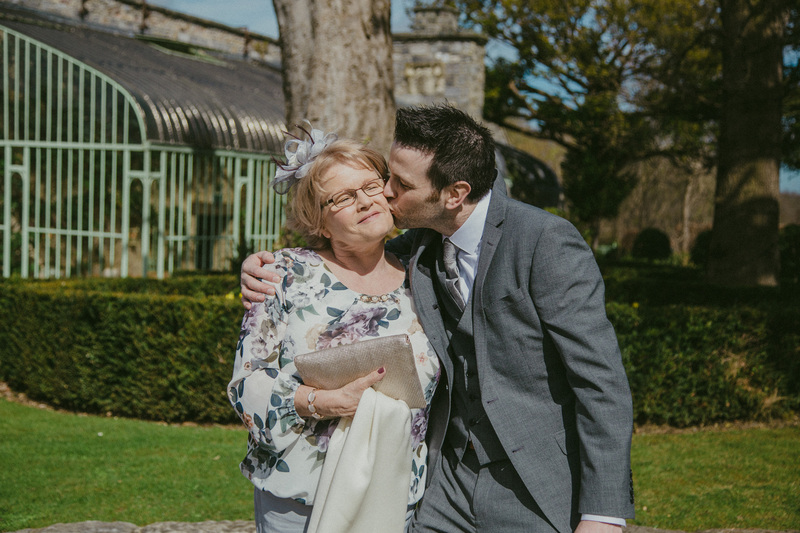 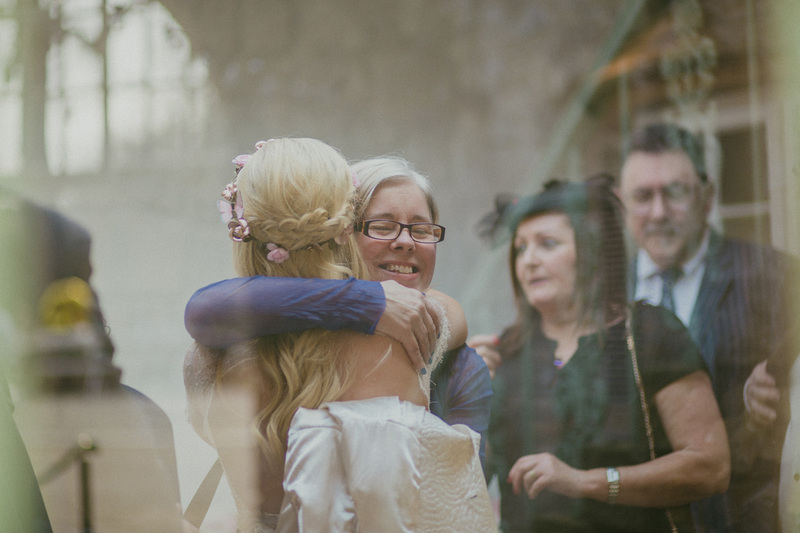 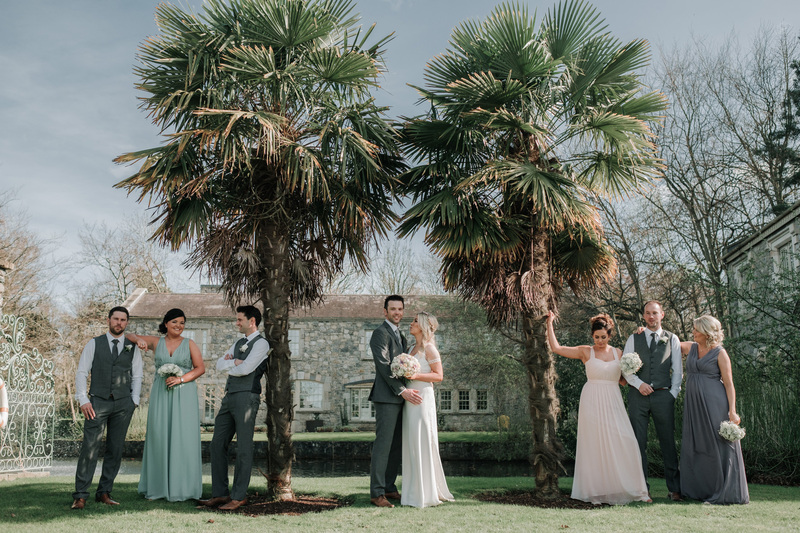 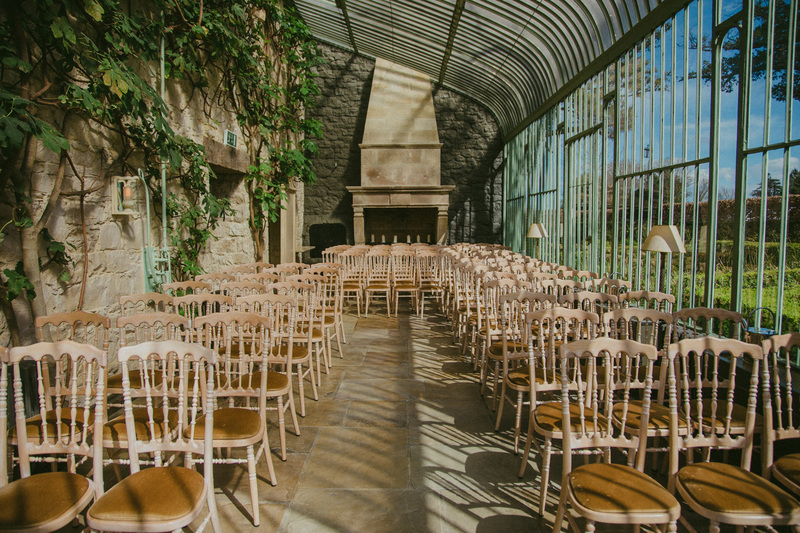 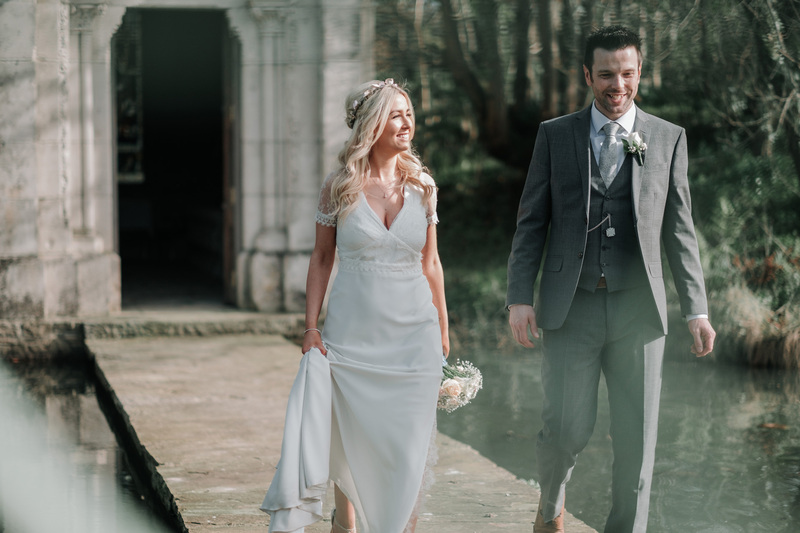 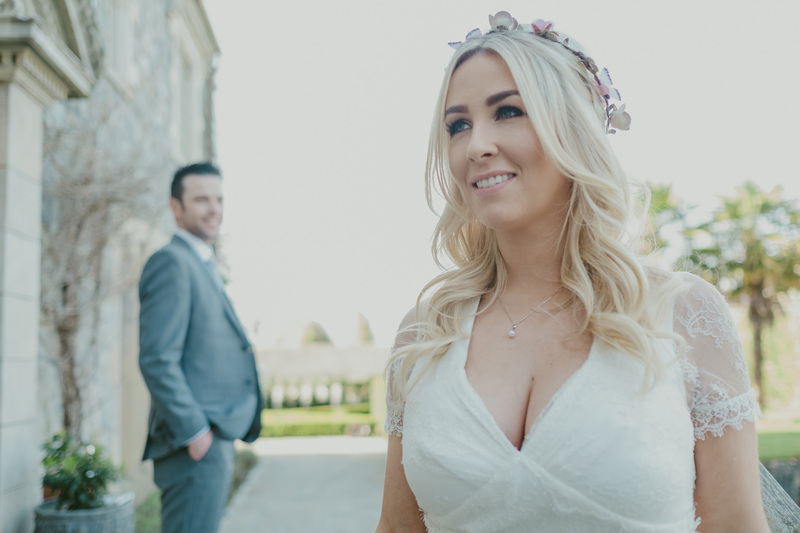 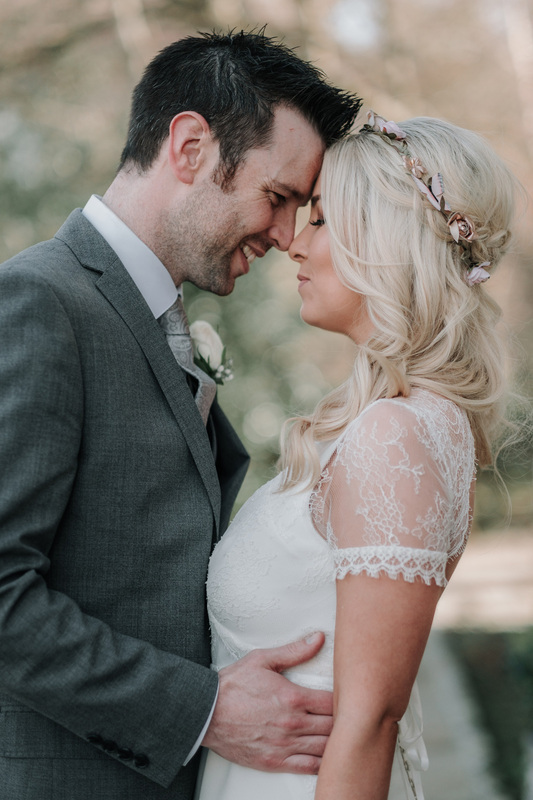 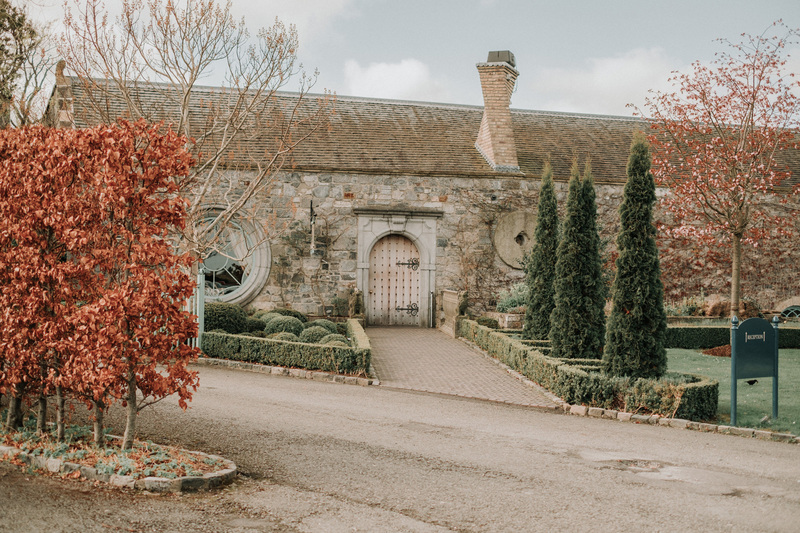 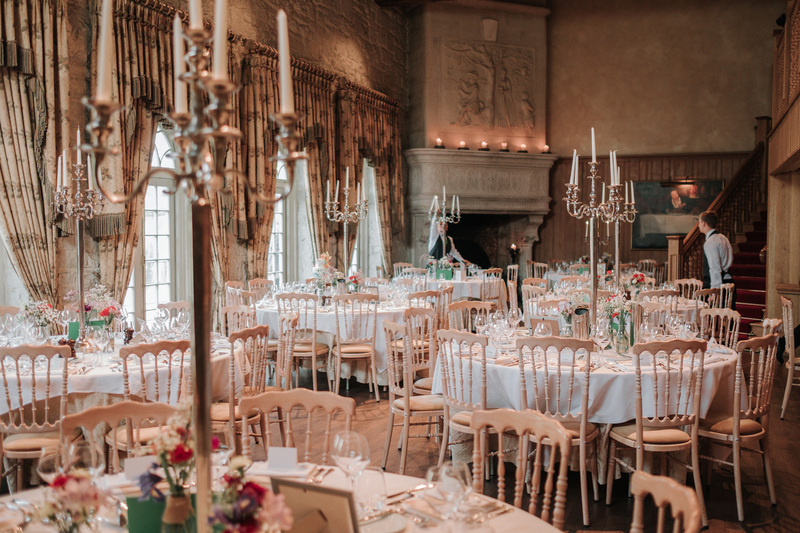 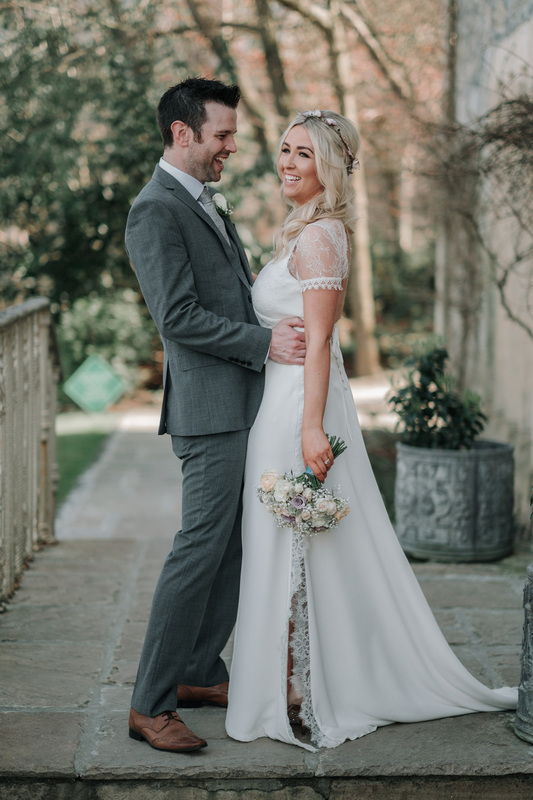 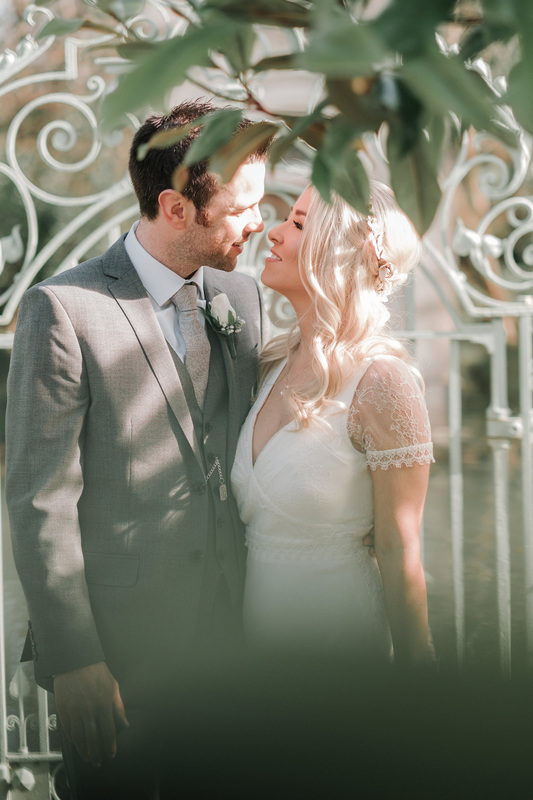 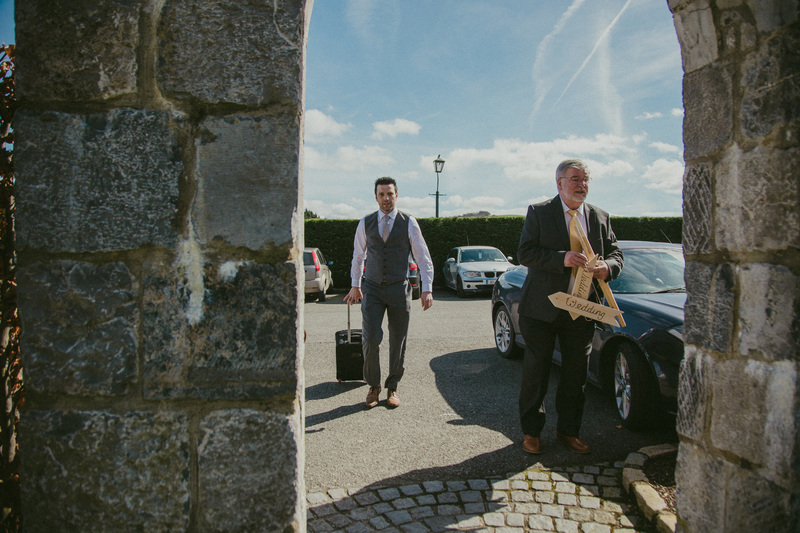 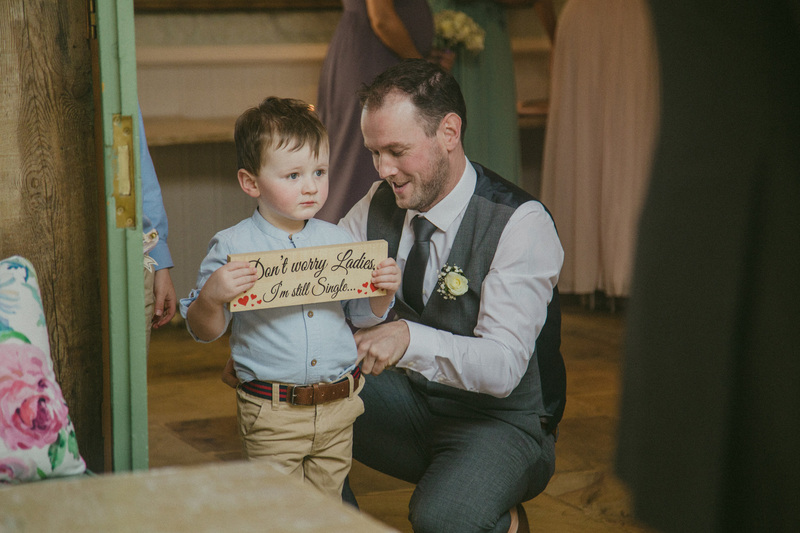 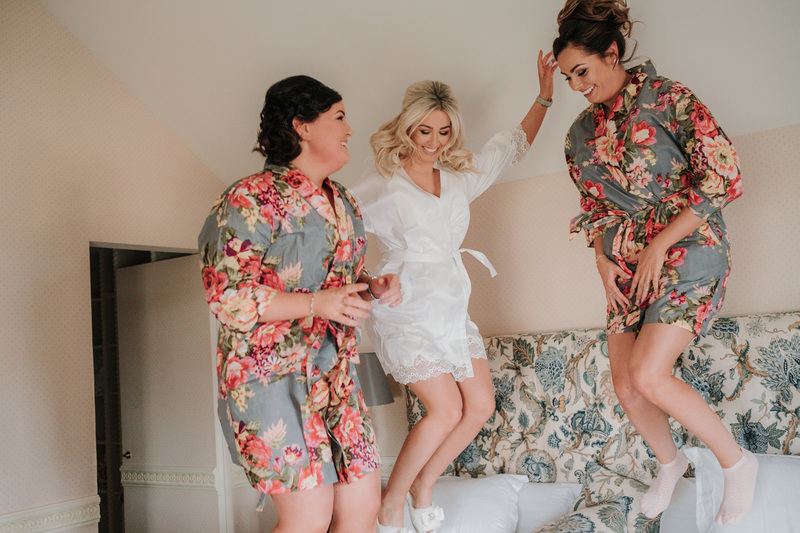 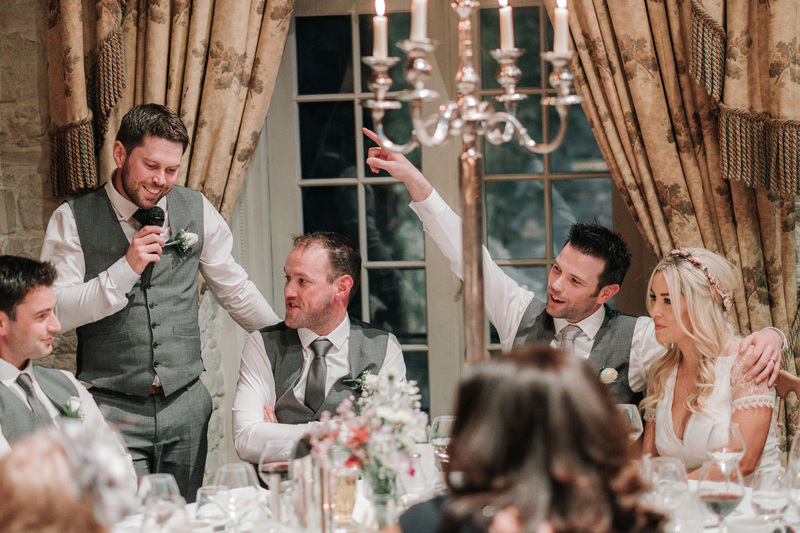 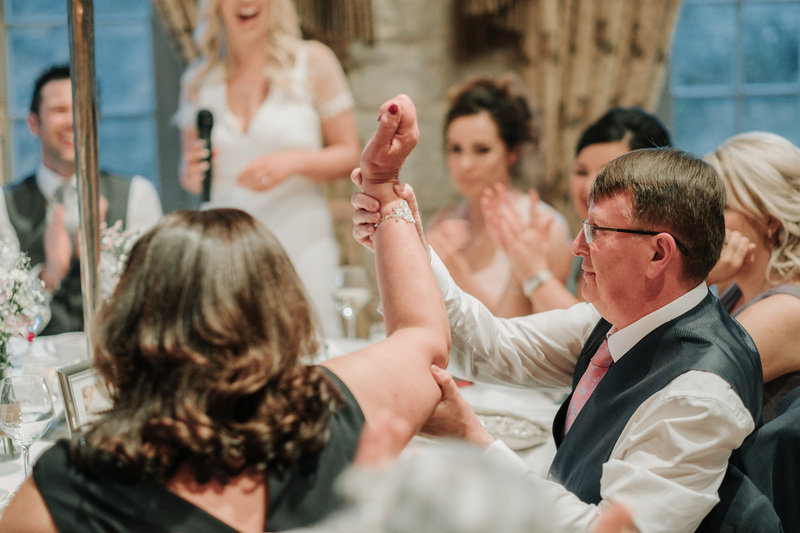 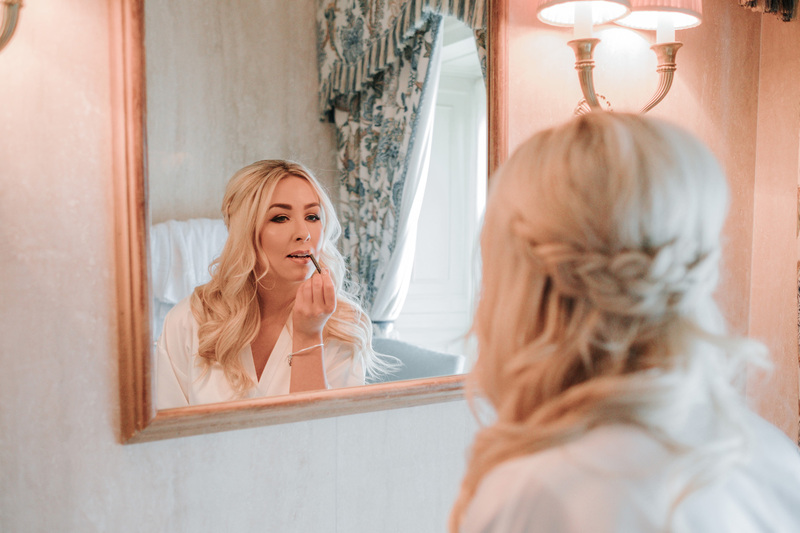 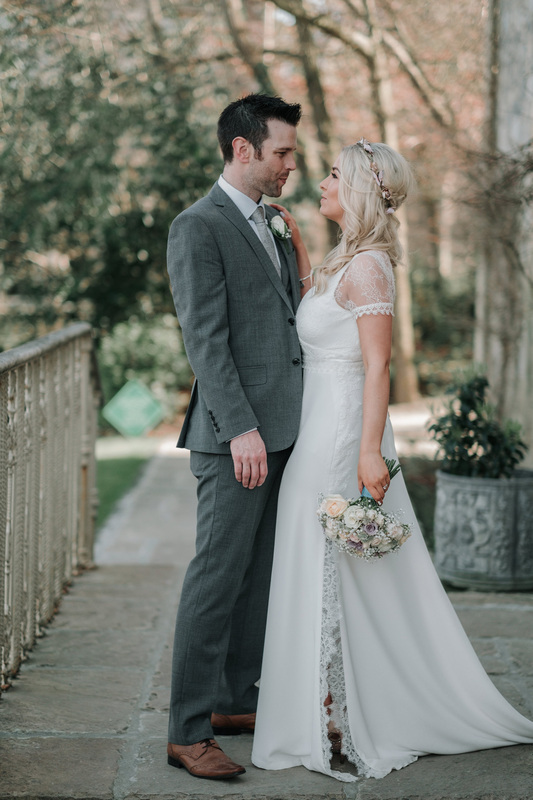 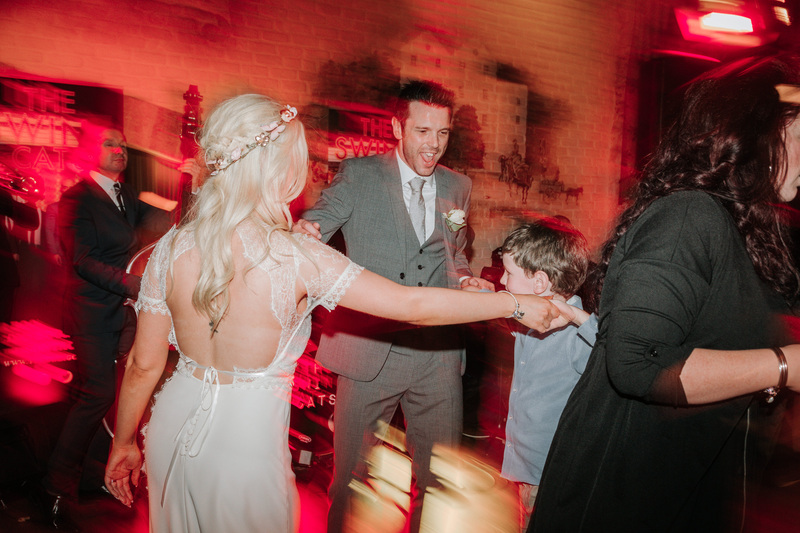 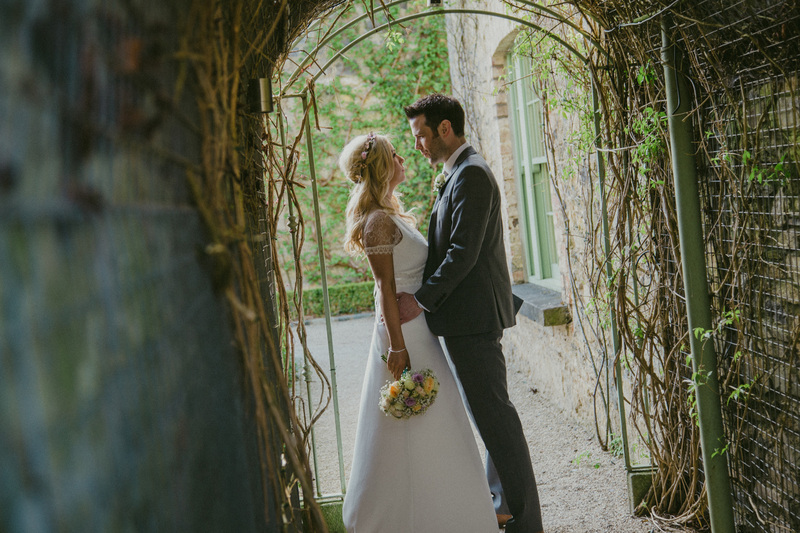 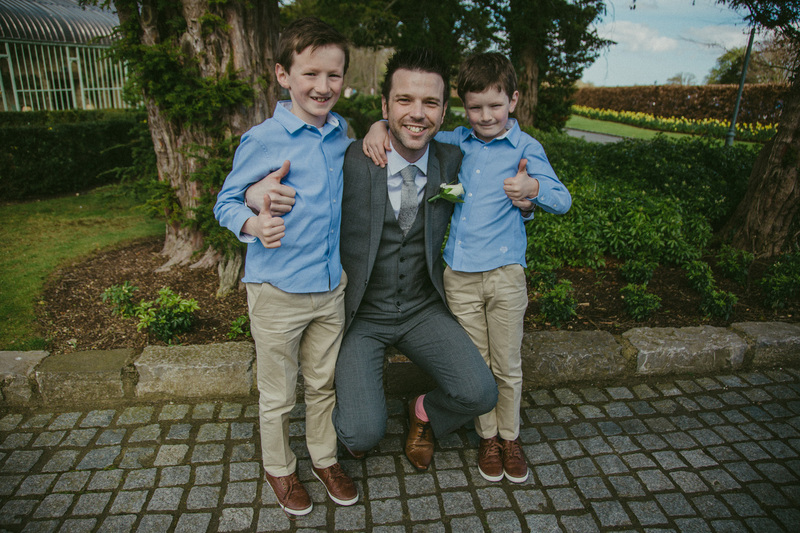 Kelly and Philip’s Cliff At Lyons wedding was a chic, bohemian style event, held at one of Ireland’s top wedding venues. 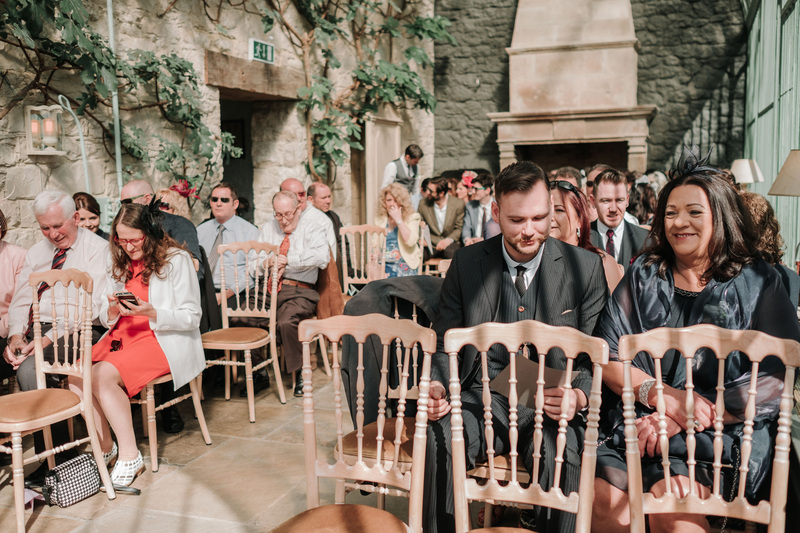 The sunshine was out in full force. 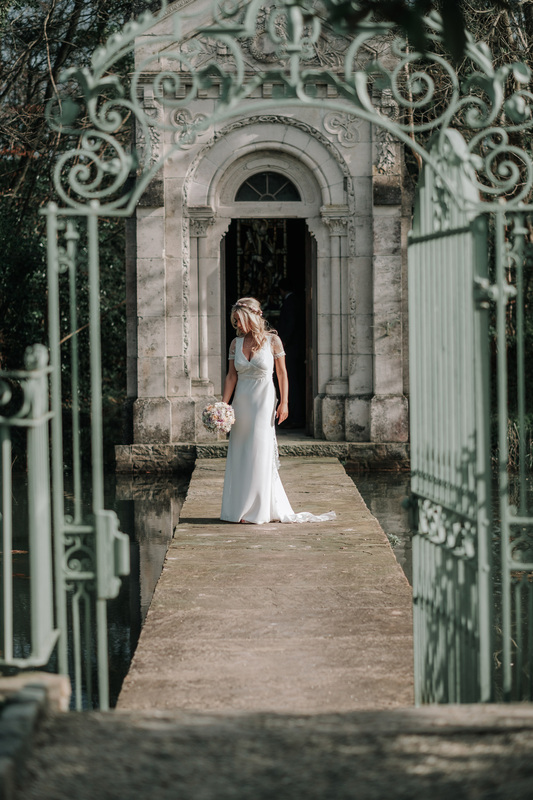 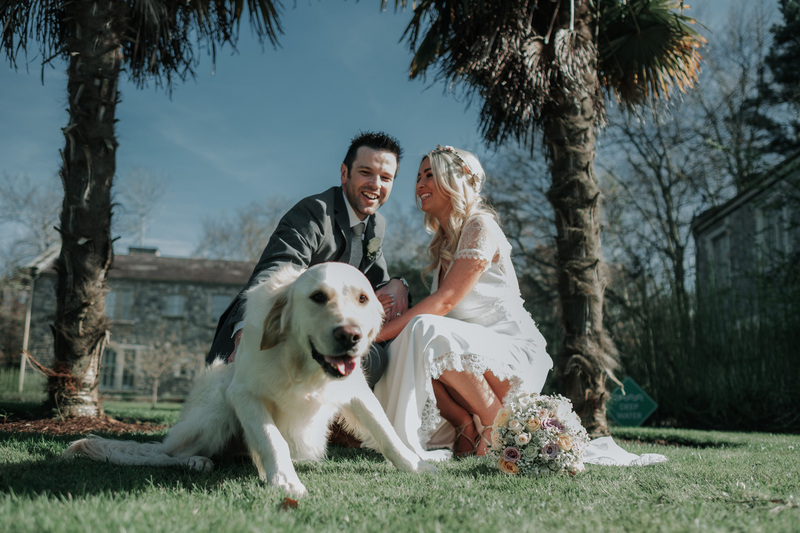 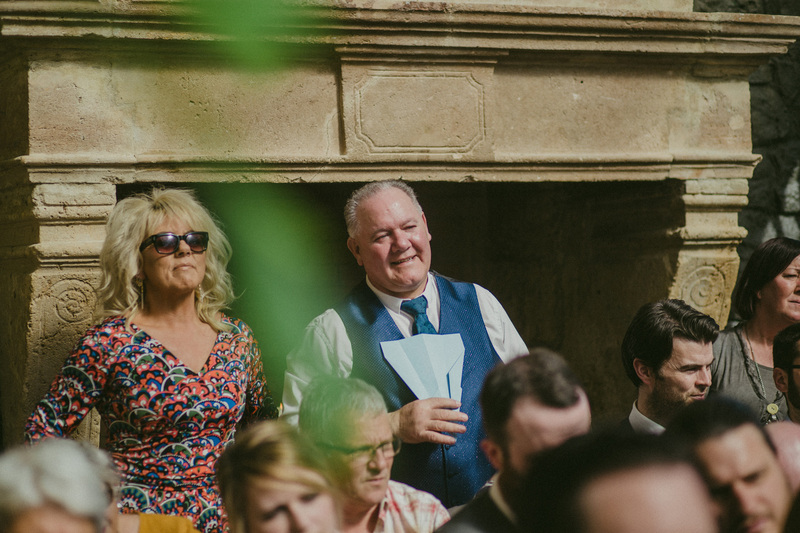 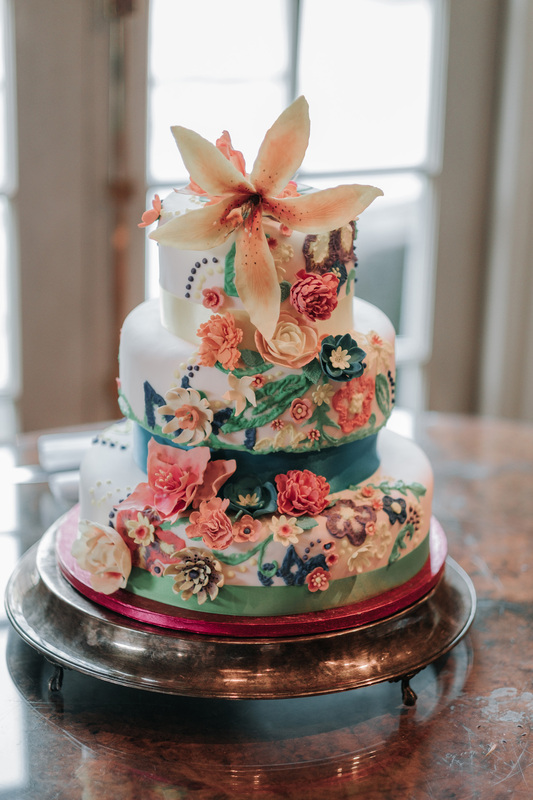 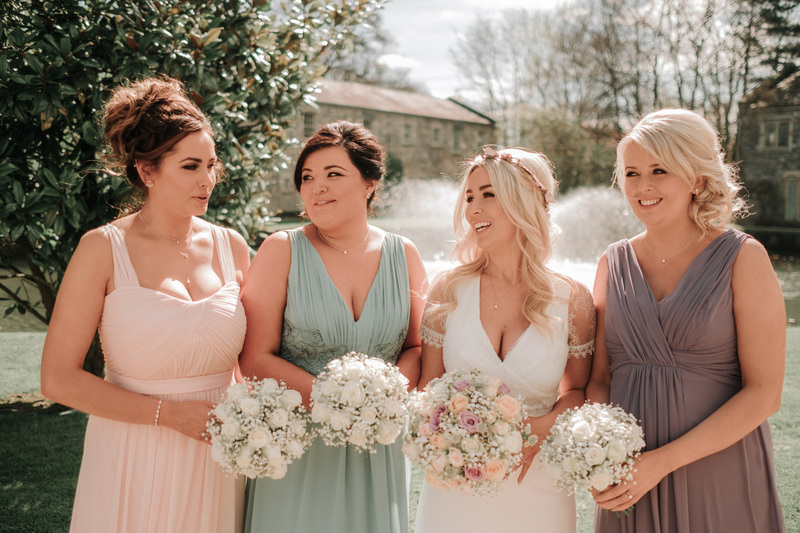 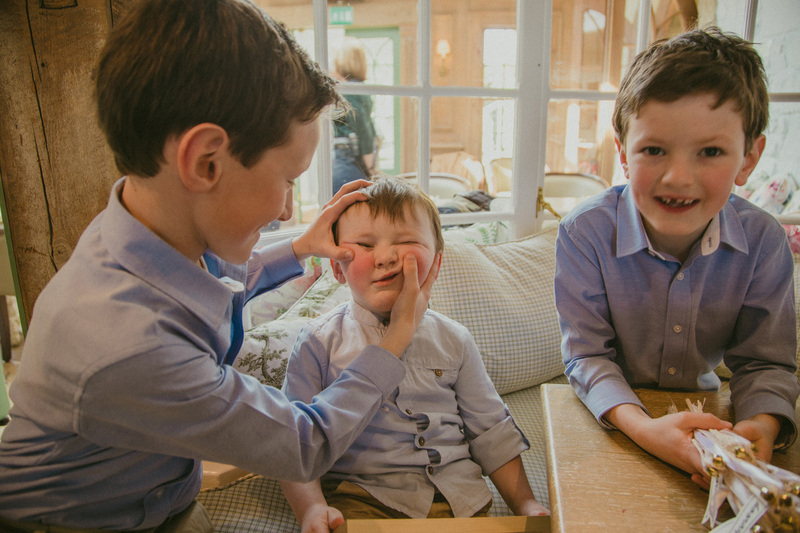 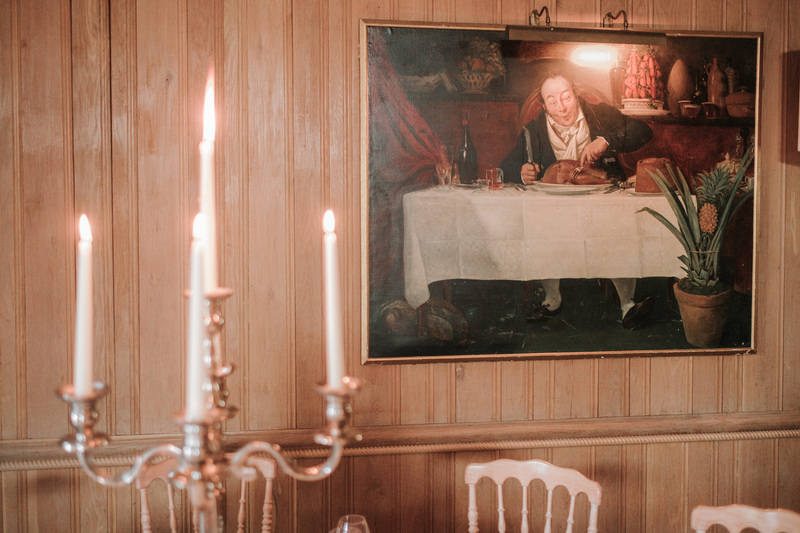 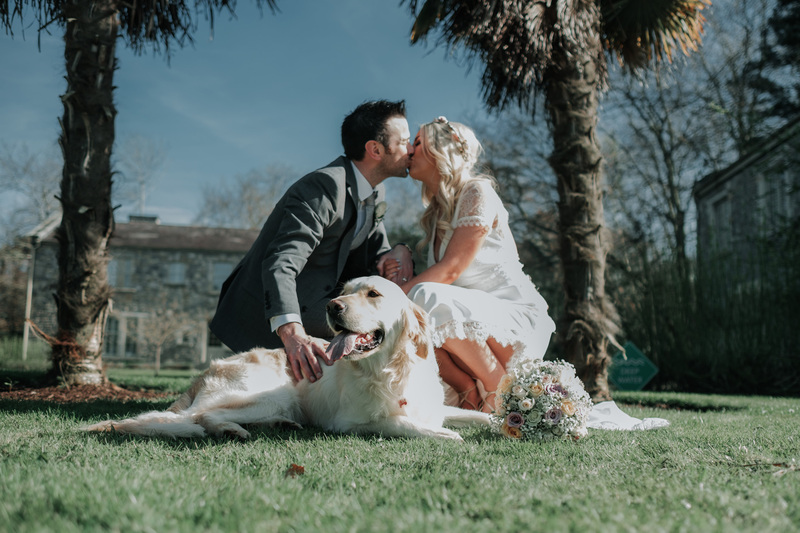 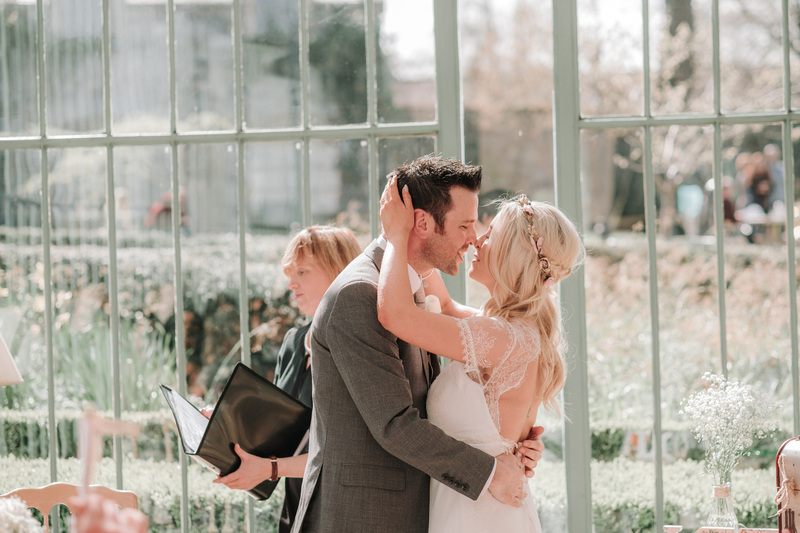 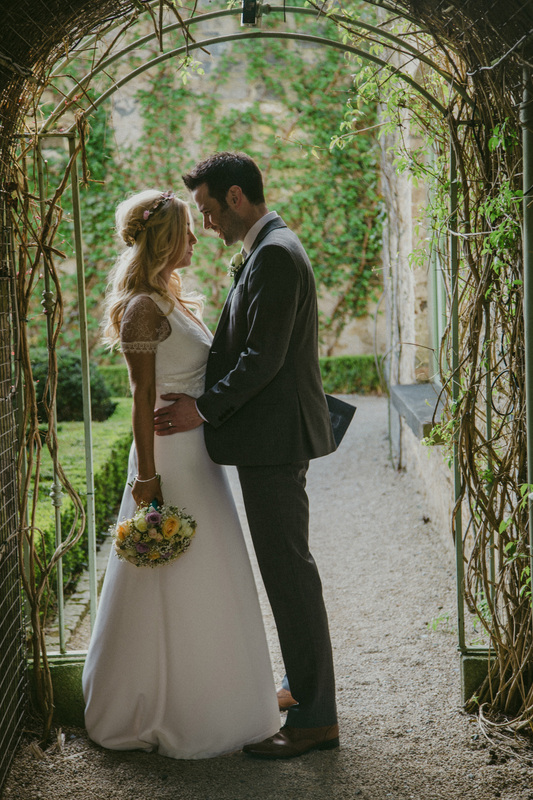 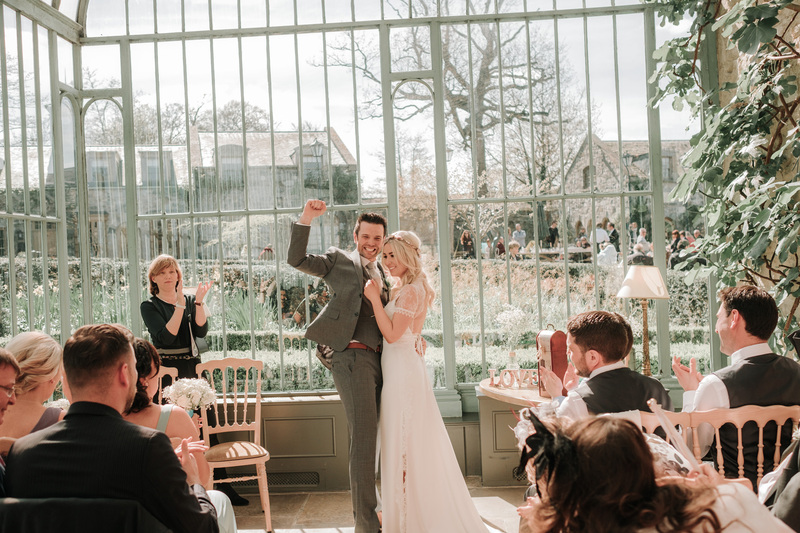 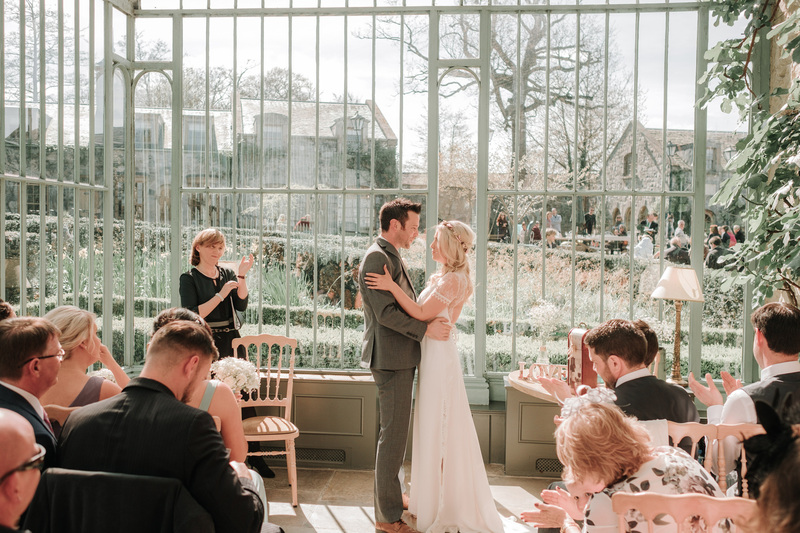 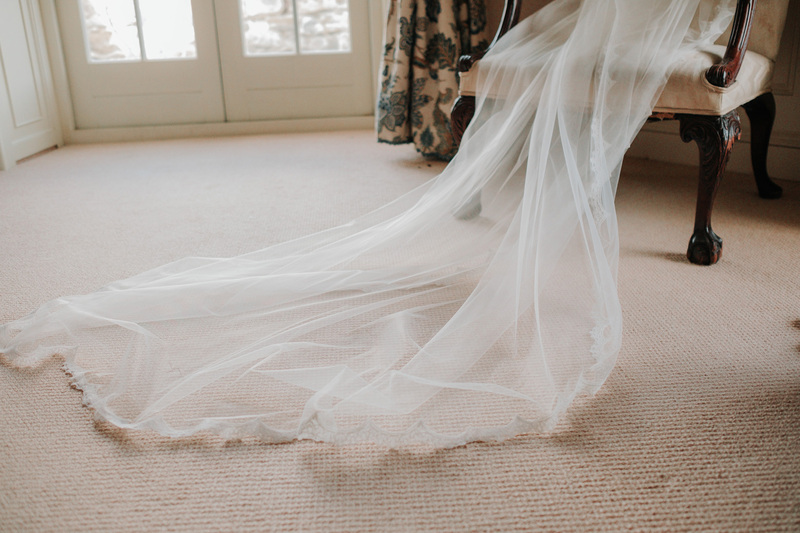 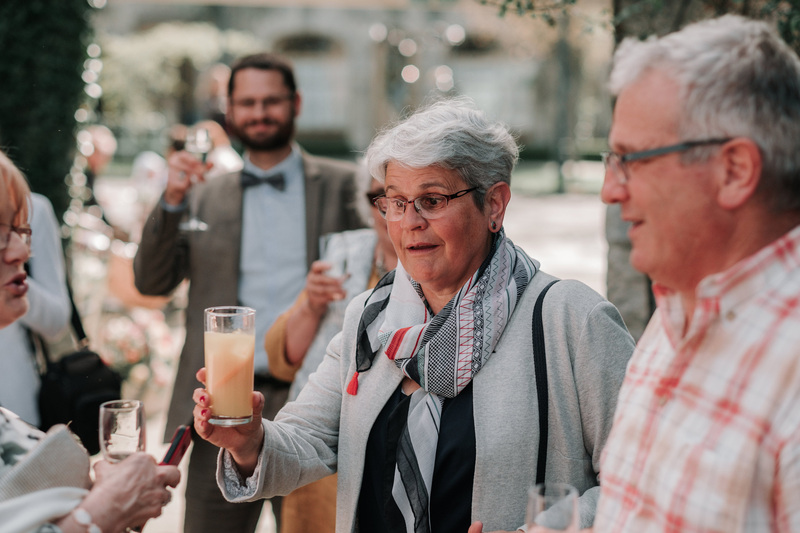 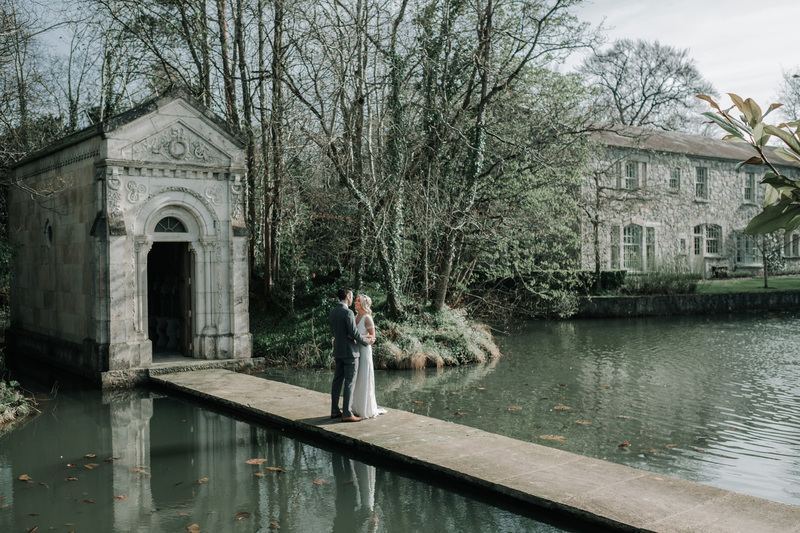 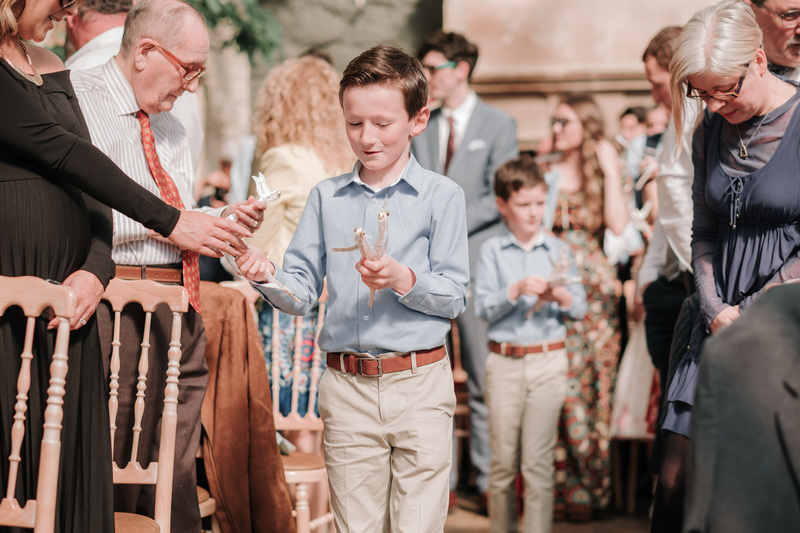 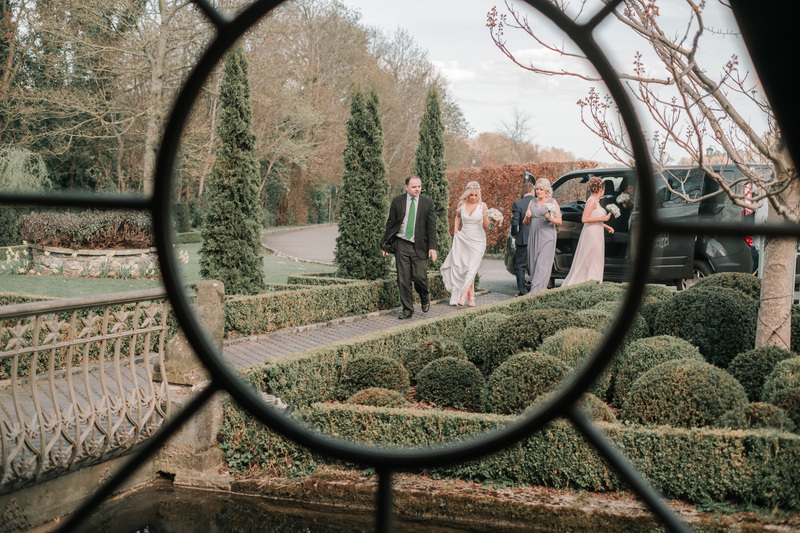 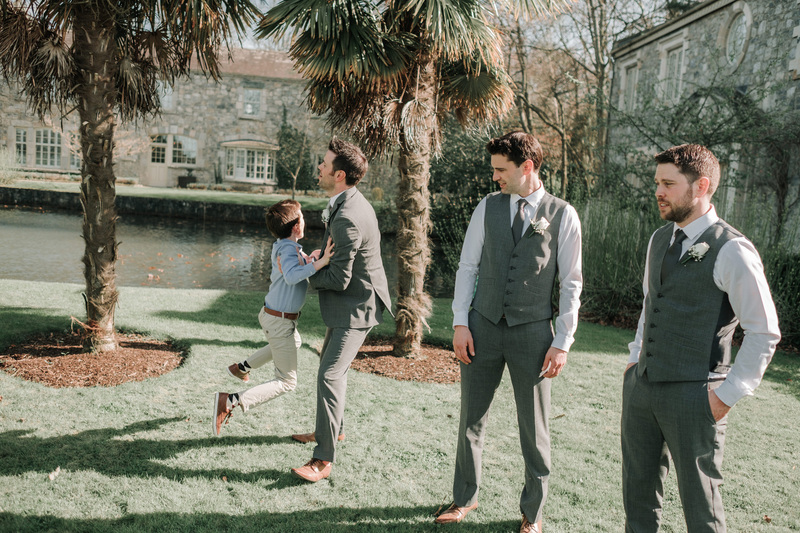 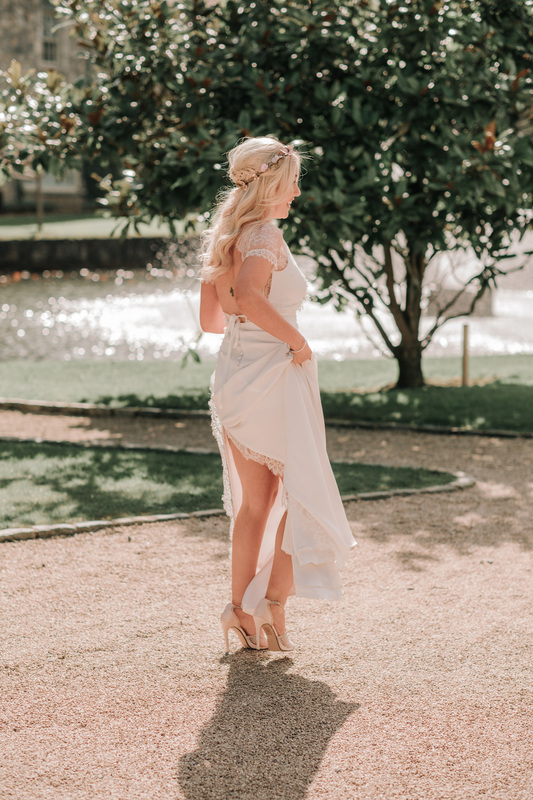 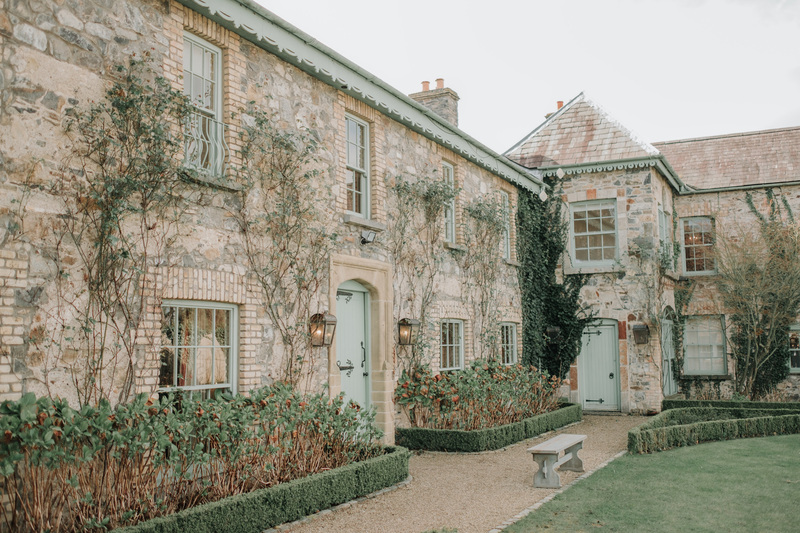 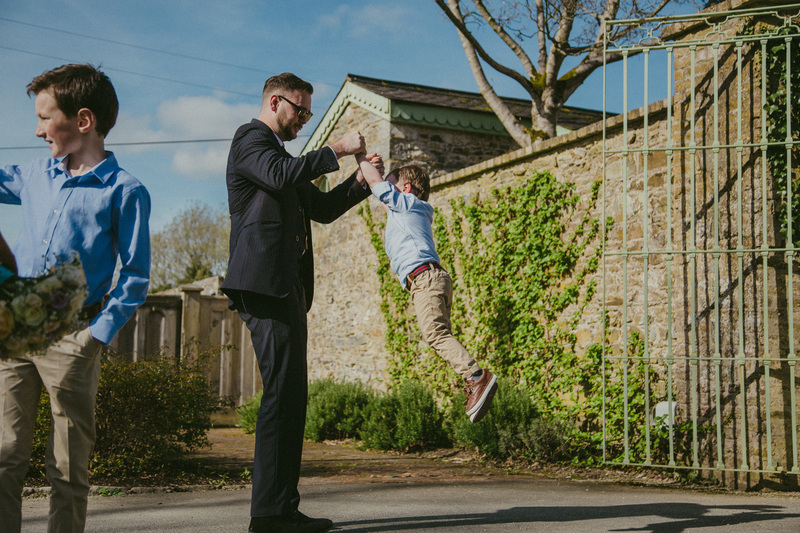 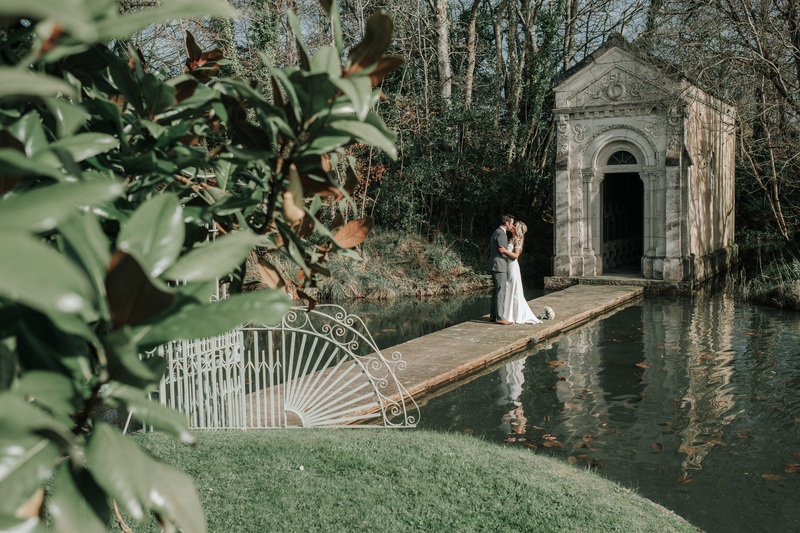 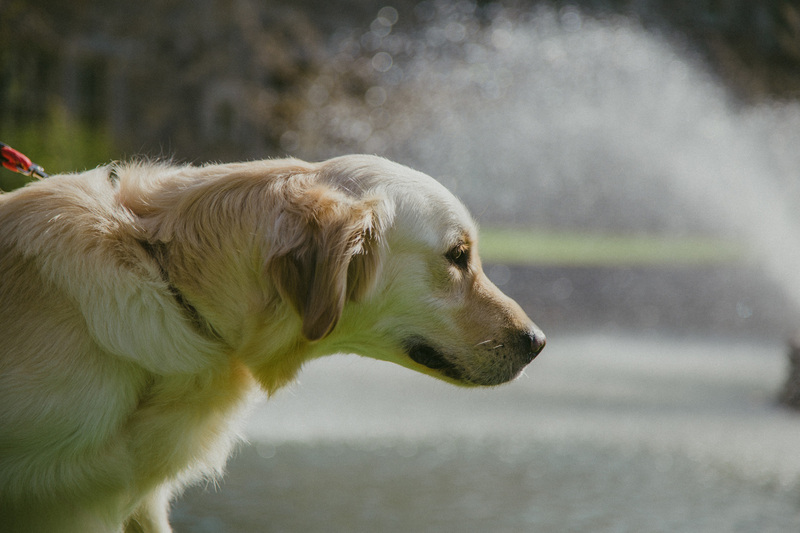 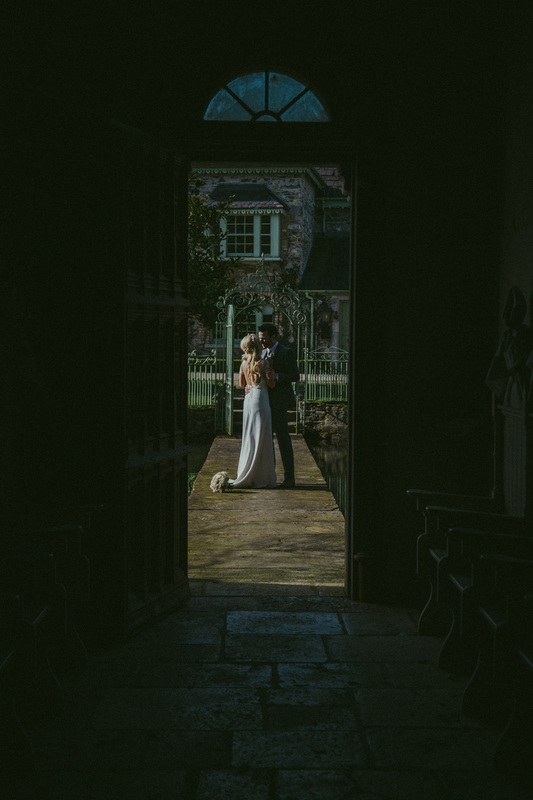 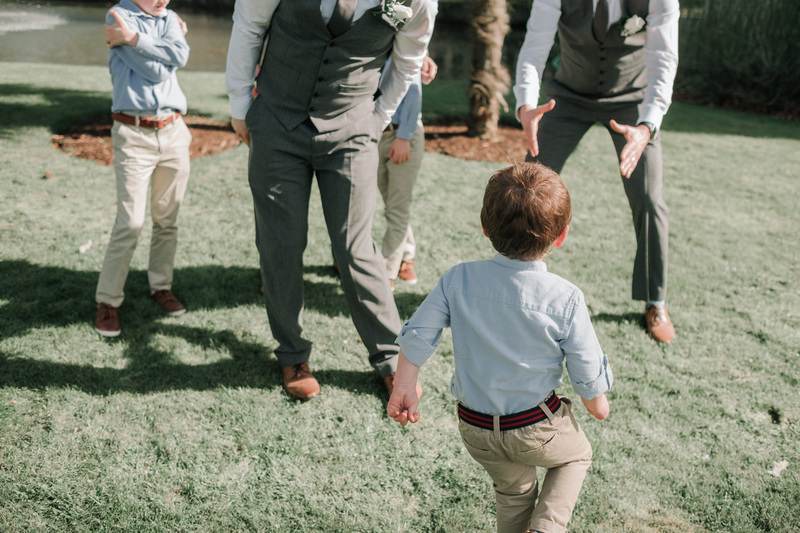 Warm winds, laughter, pastel hues, and the couples Labrador dog, who acted as ring bearer to a atrium full of surprised wedding guests, all helped add to the relaxed feel of their French style wedding. 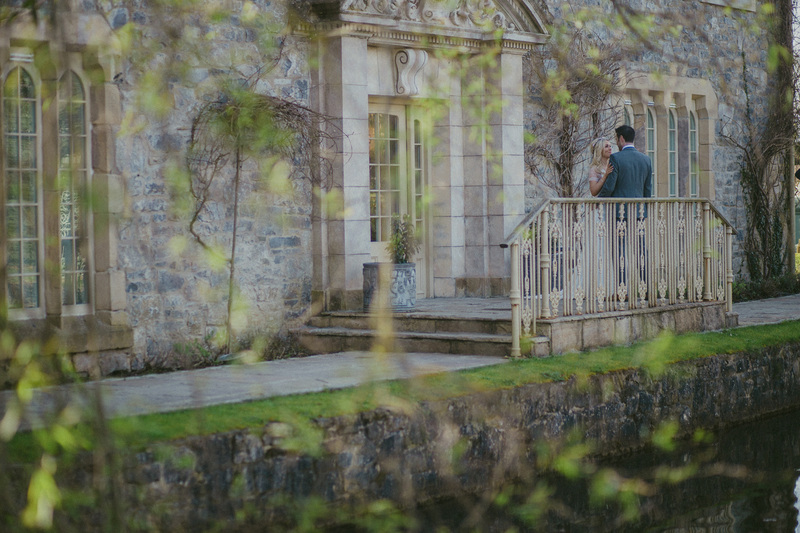 The day started on the stunning grounds of Cliff At Lyons. 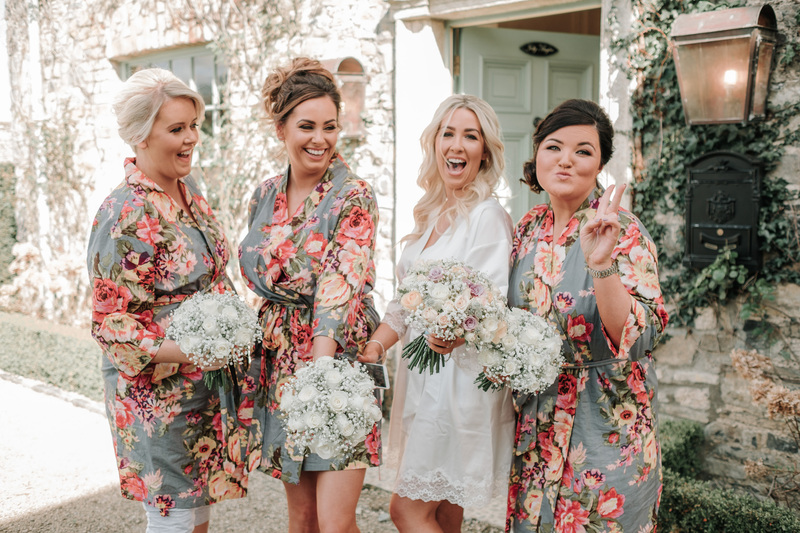 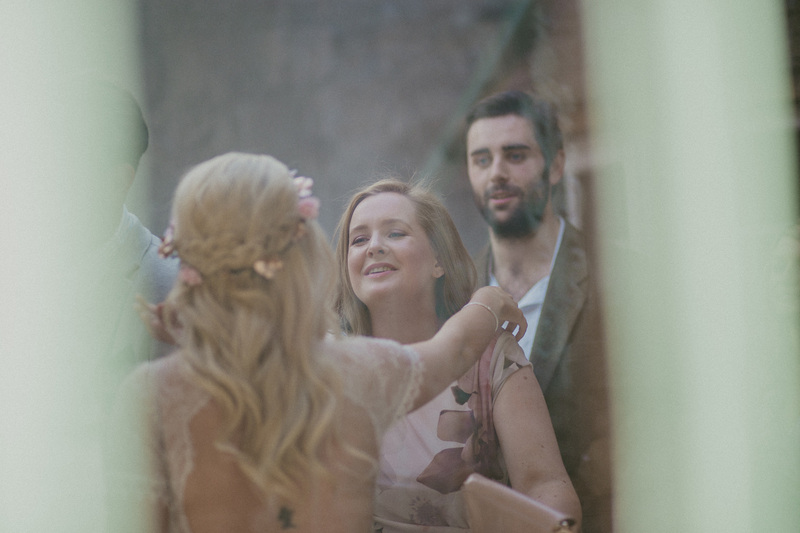 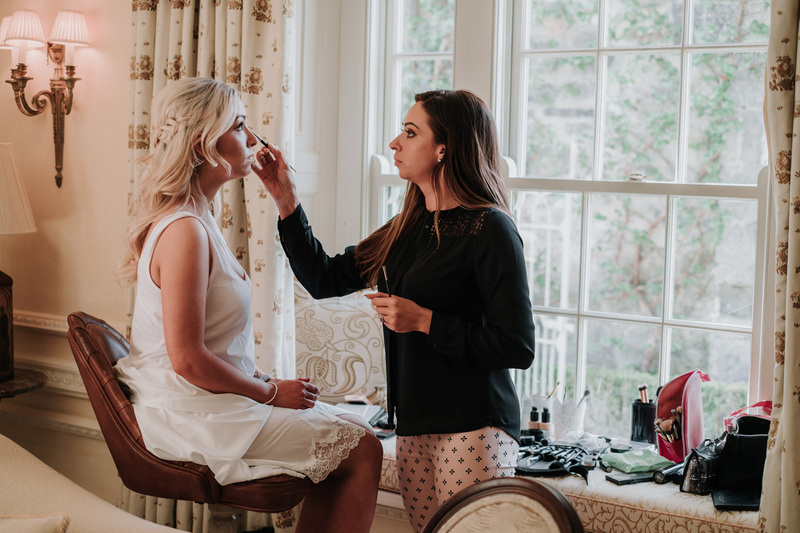 Kelly and her bridal party prepared themselves in one of the venues quaint cottages. 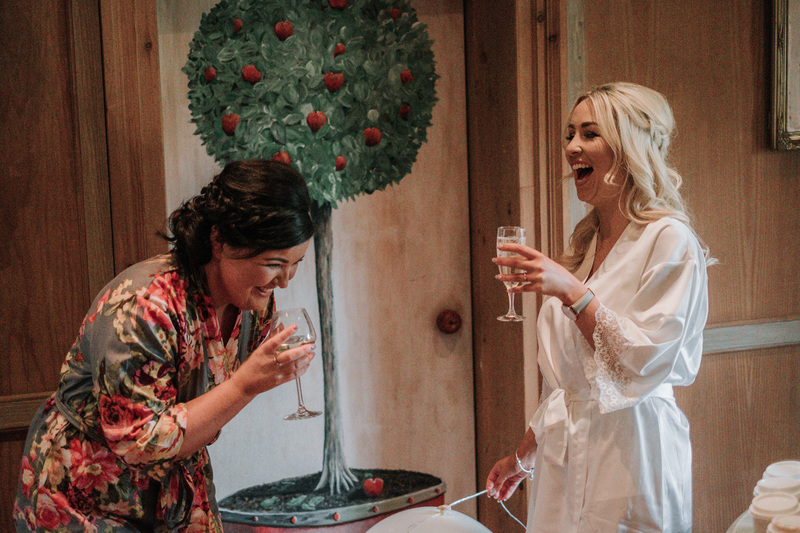 Bubbly refreshments, laughter, and excitement filled the rooms. 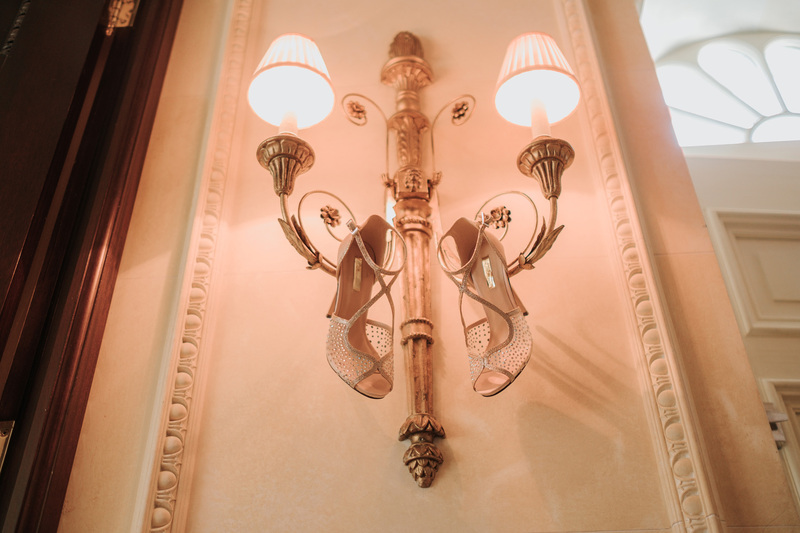 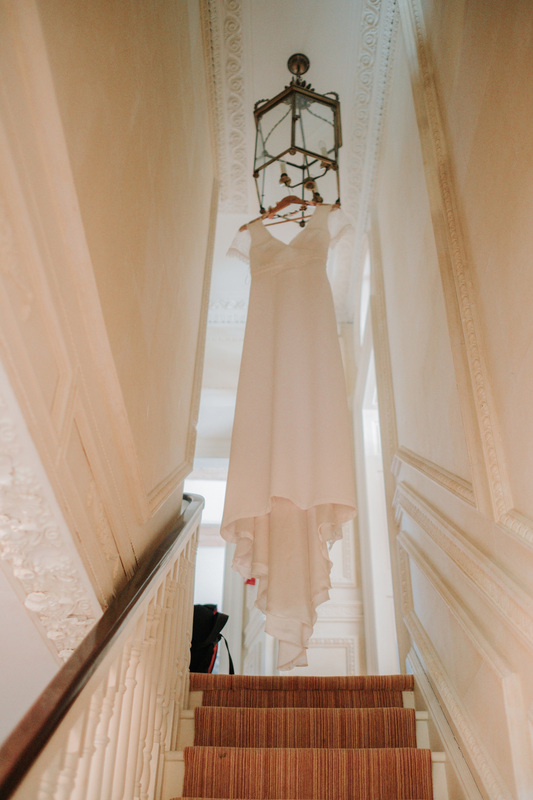 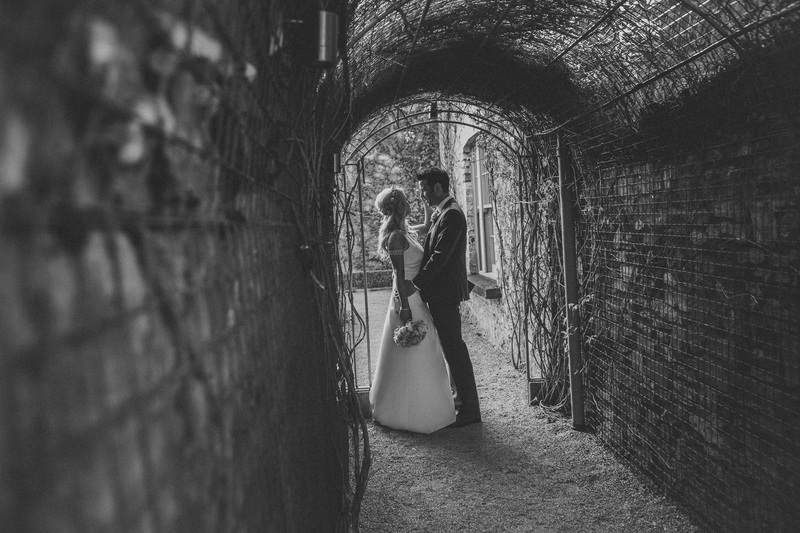 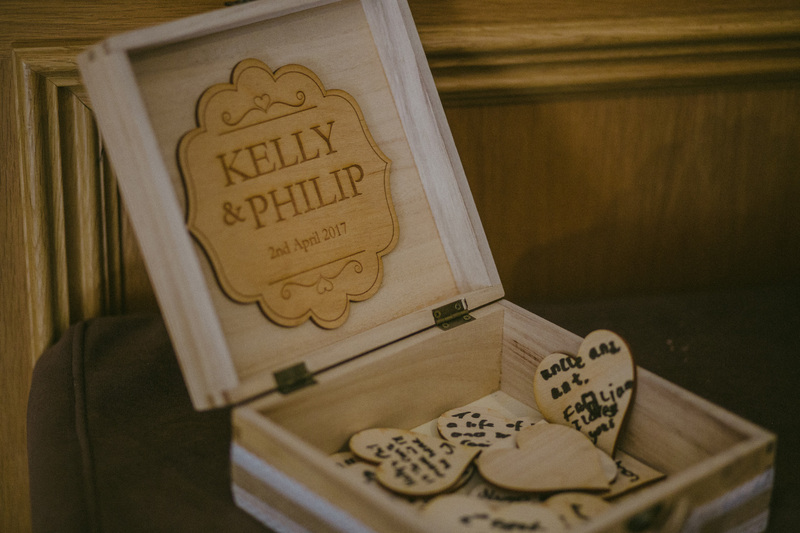 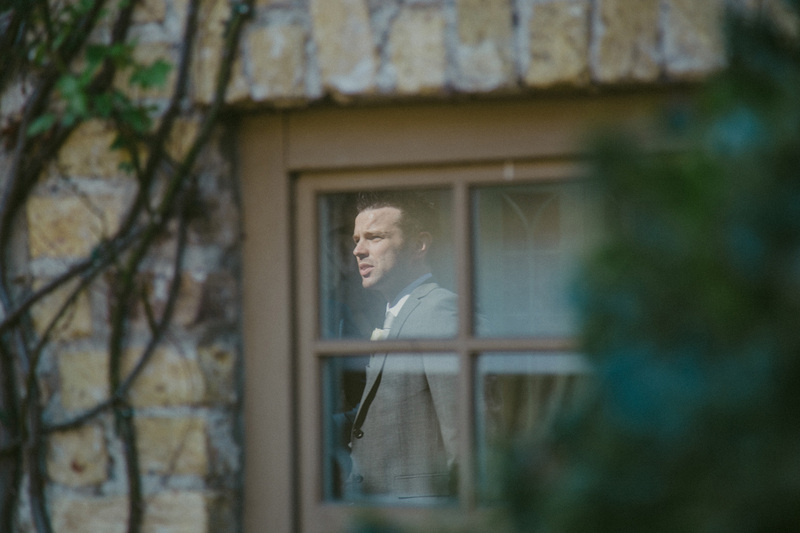 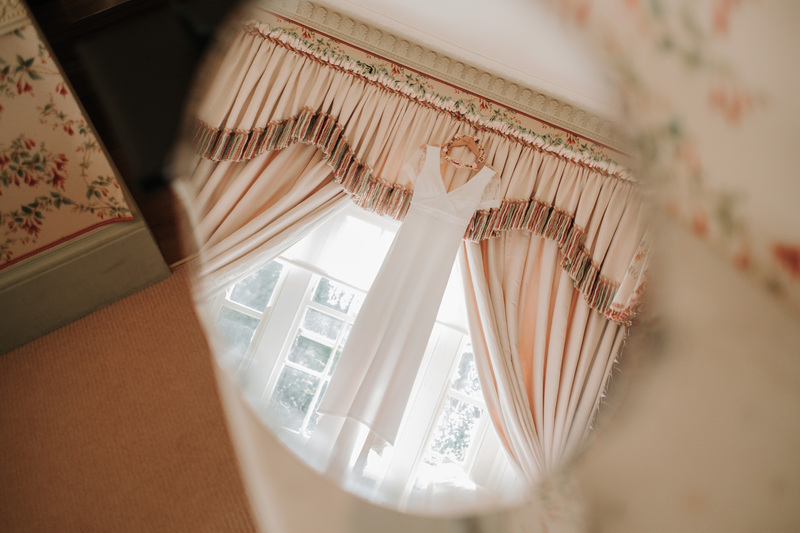 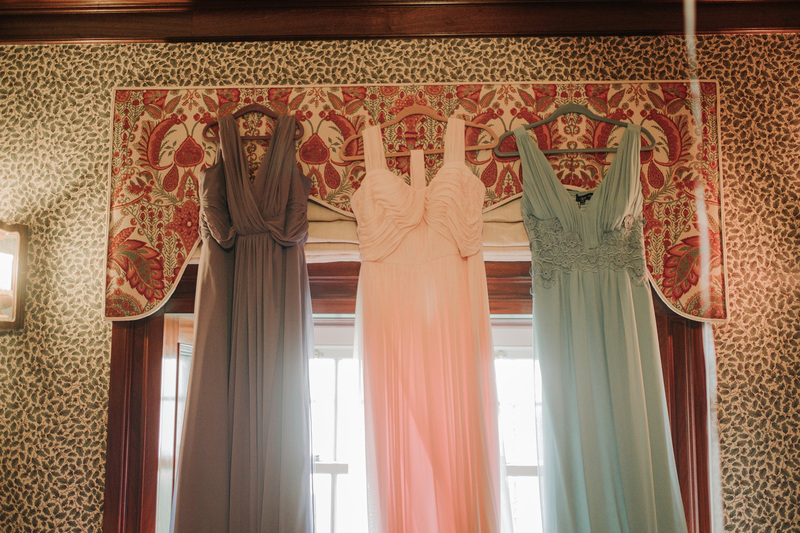 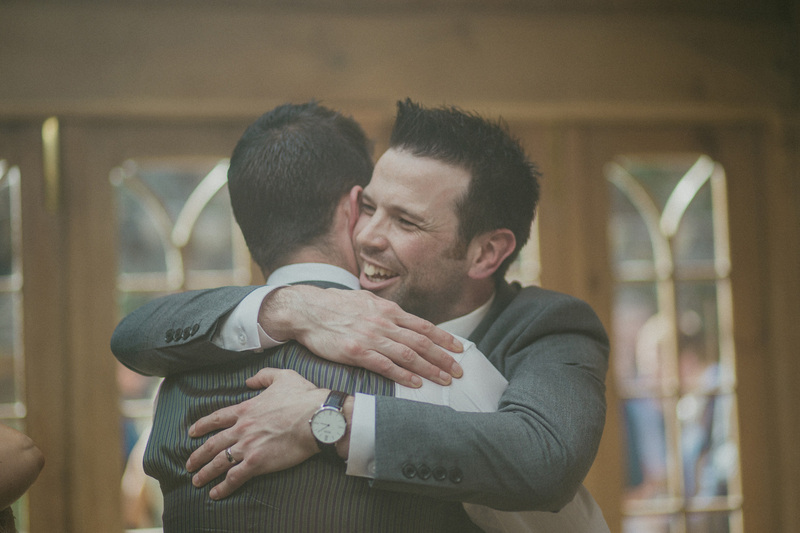 Philip and Kelly put much thought and effort into the details of their special day. 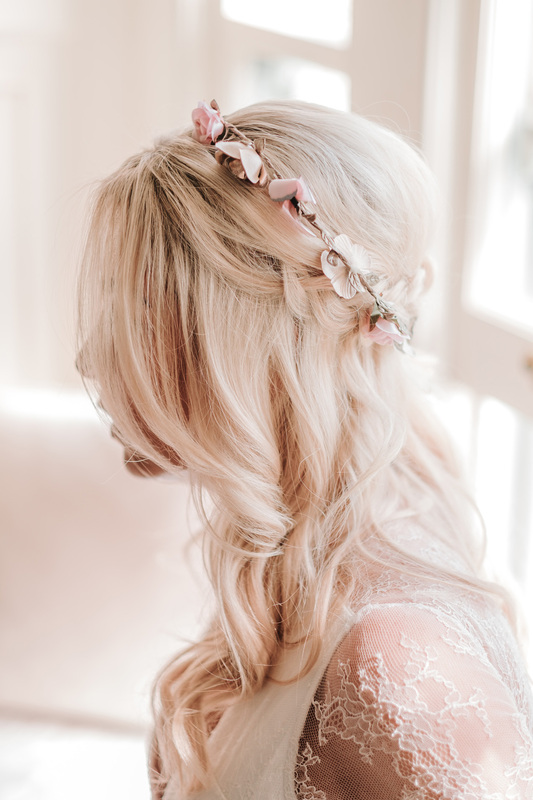 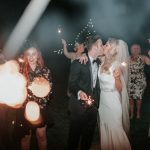 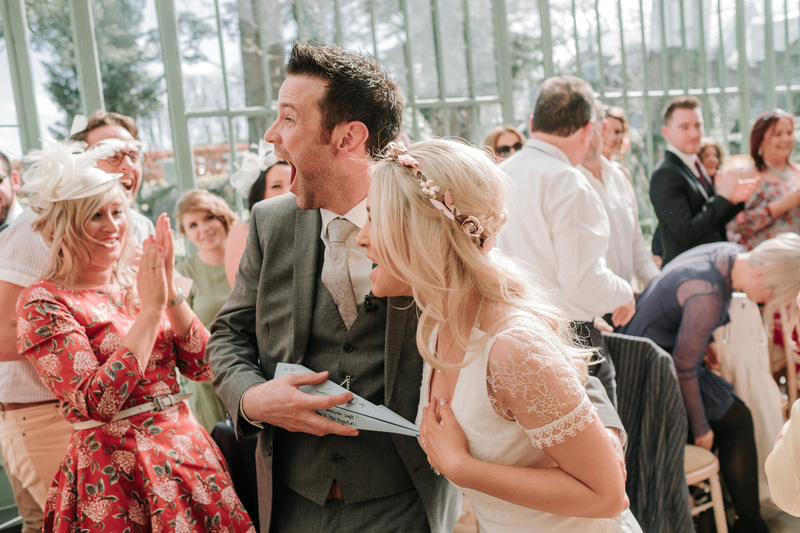 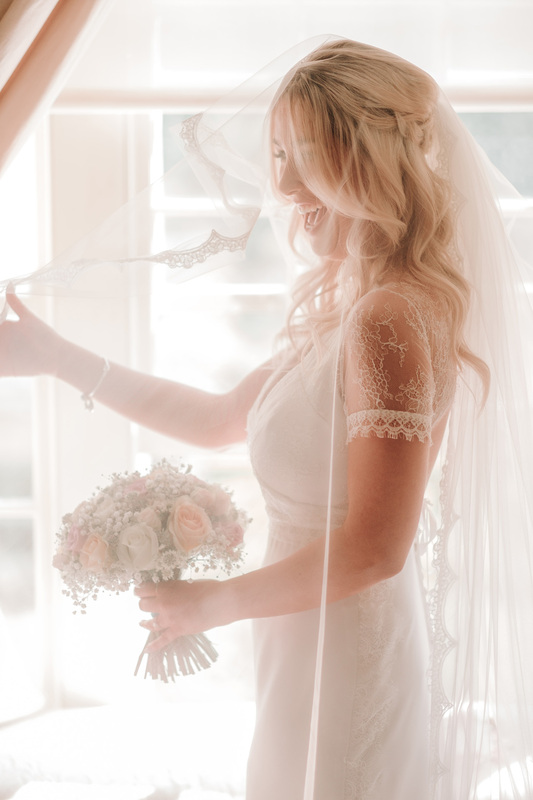 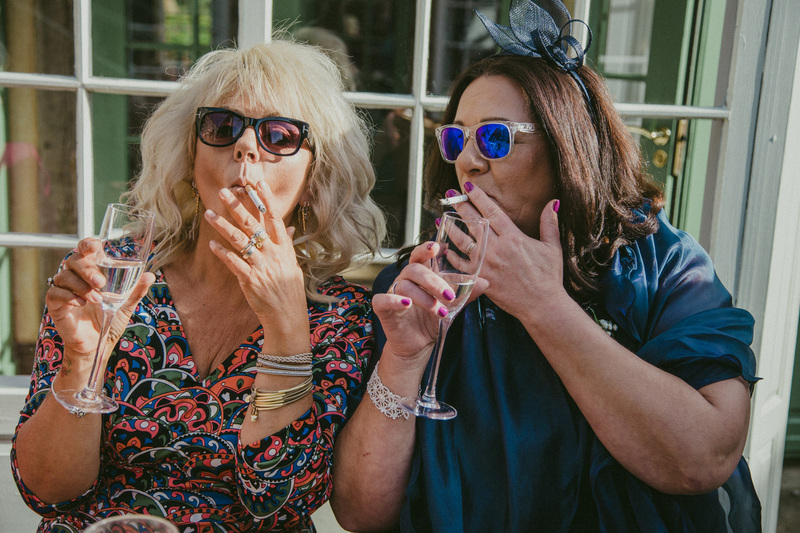 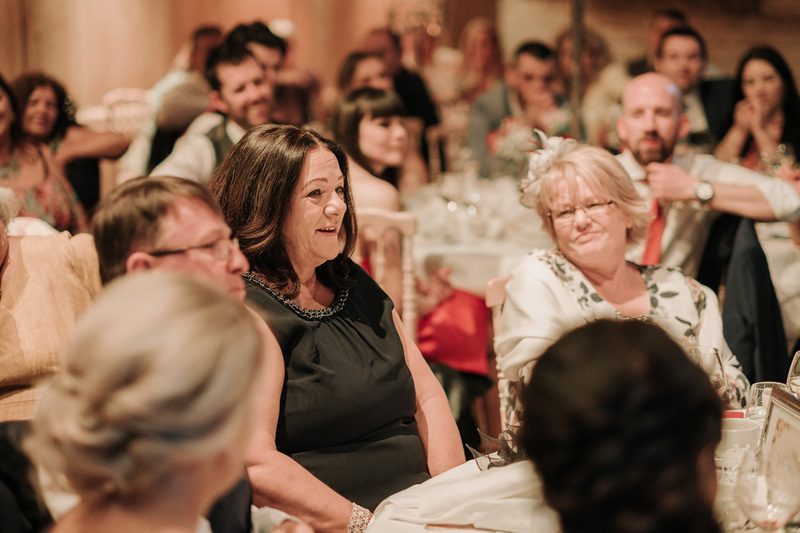 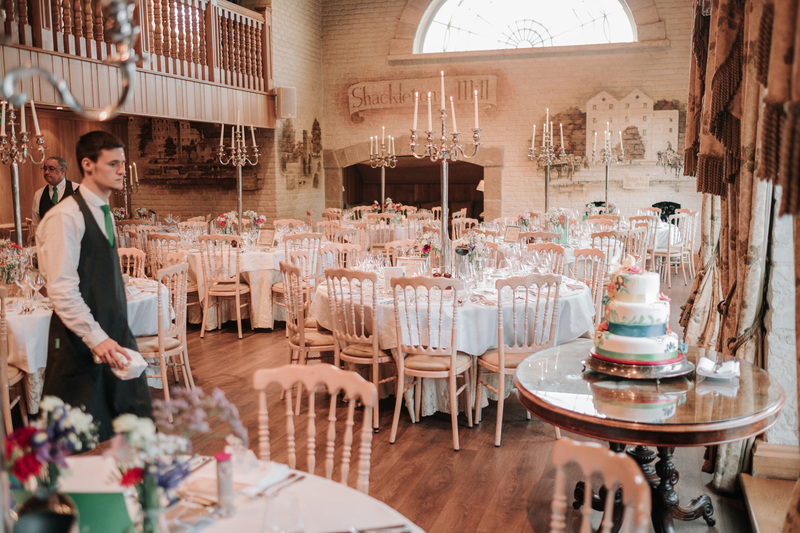 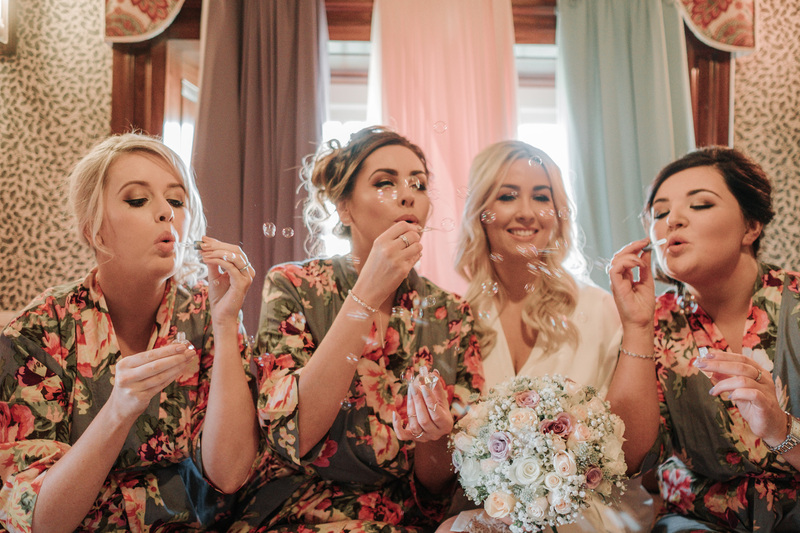 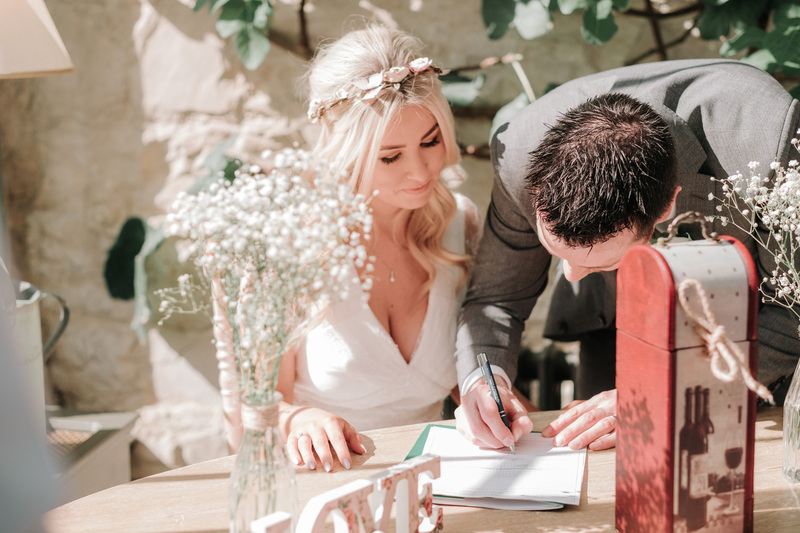 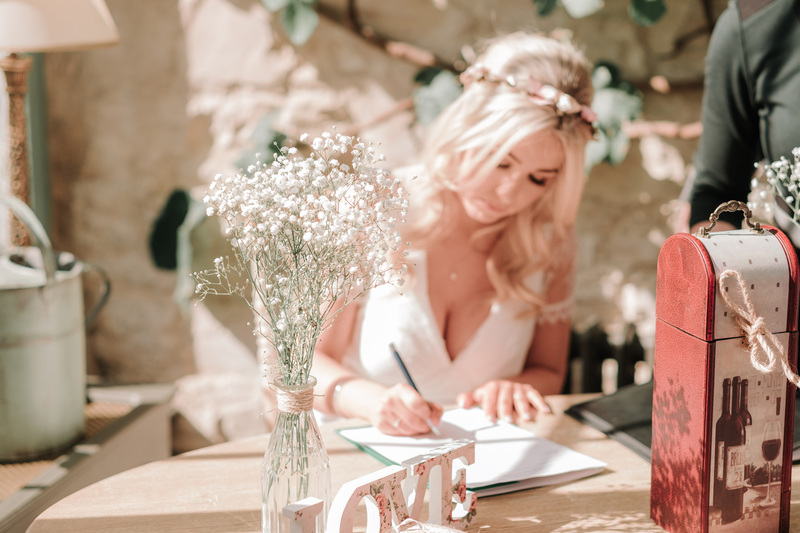 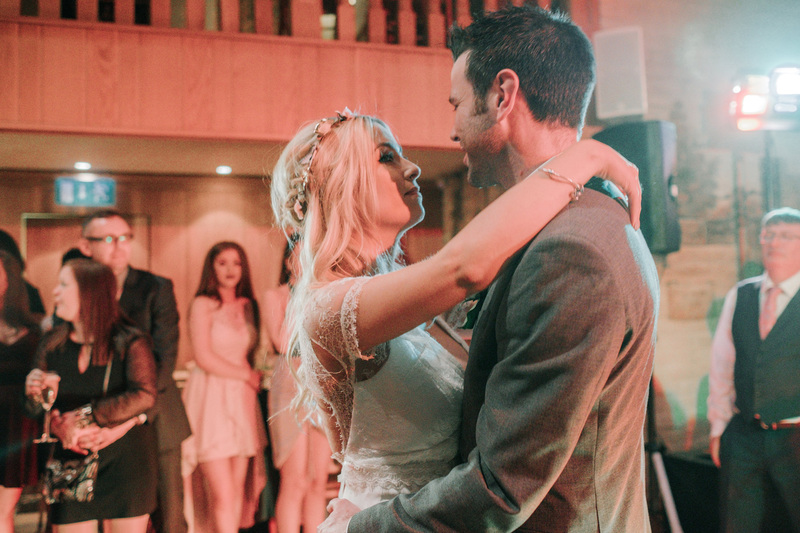 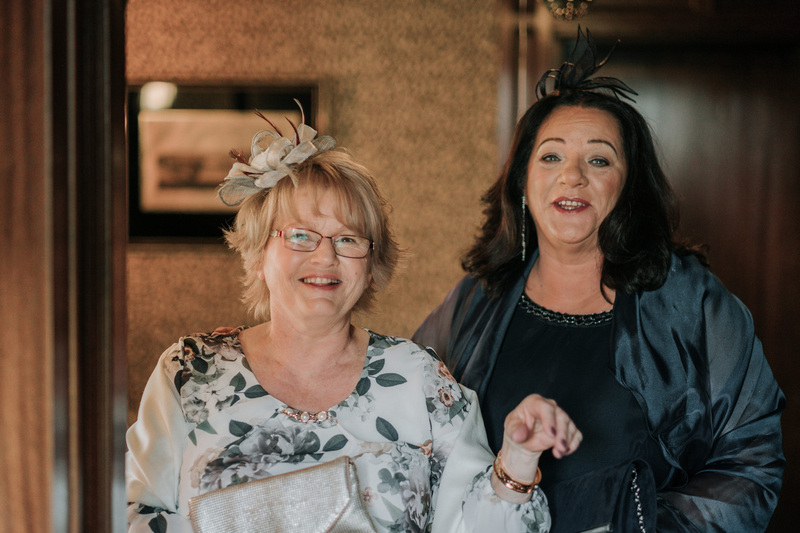 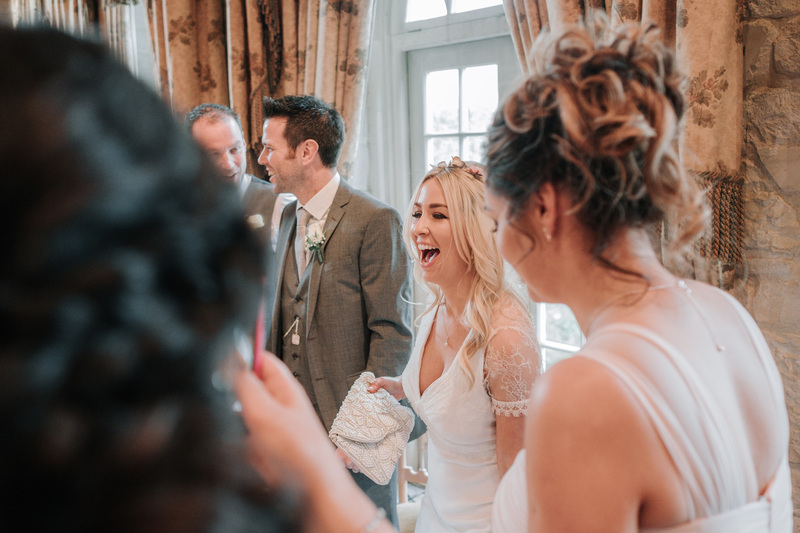 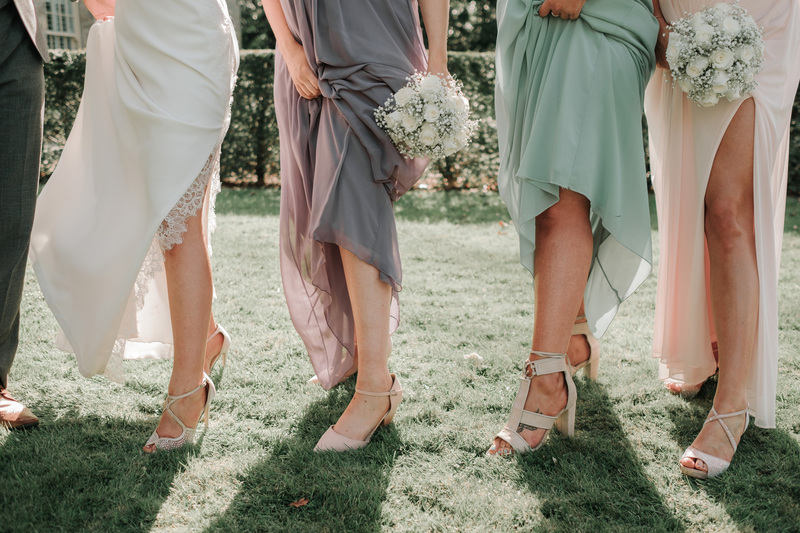 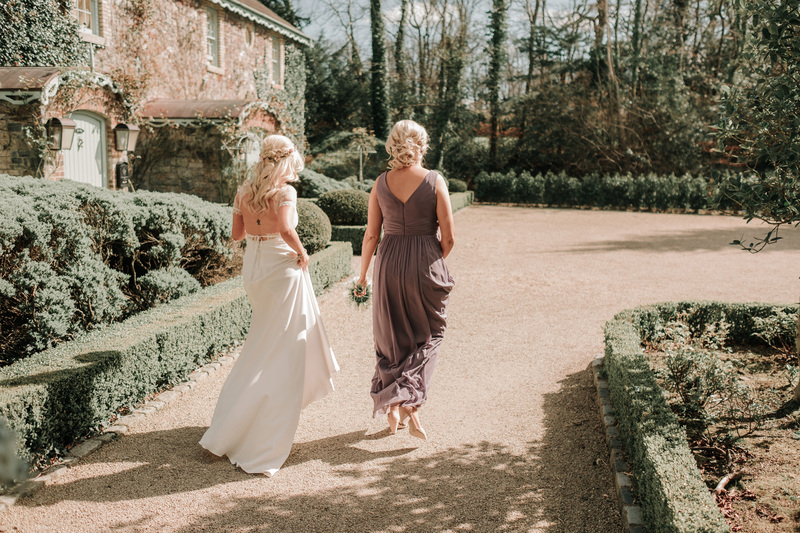 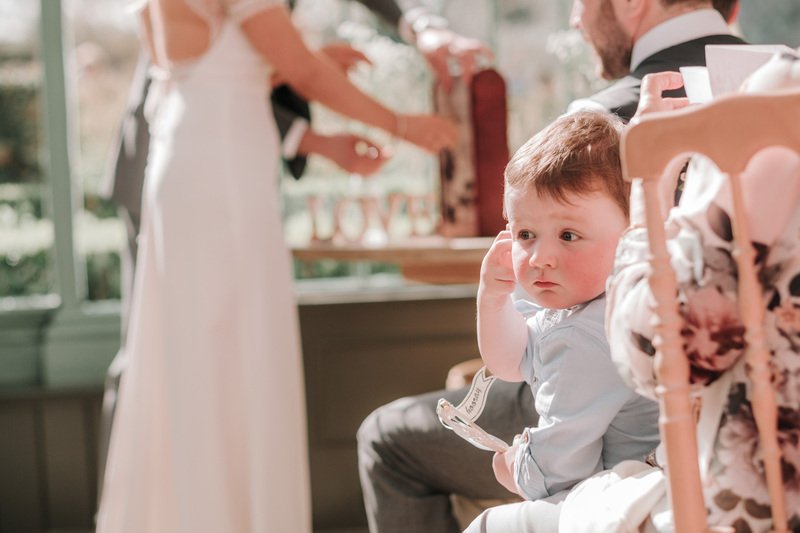 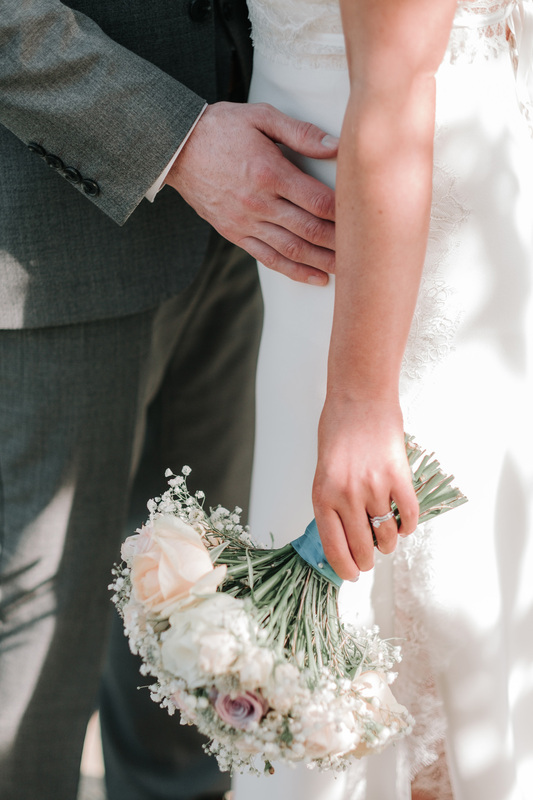 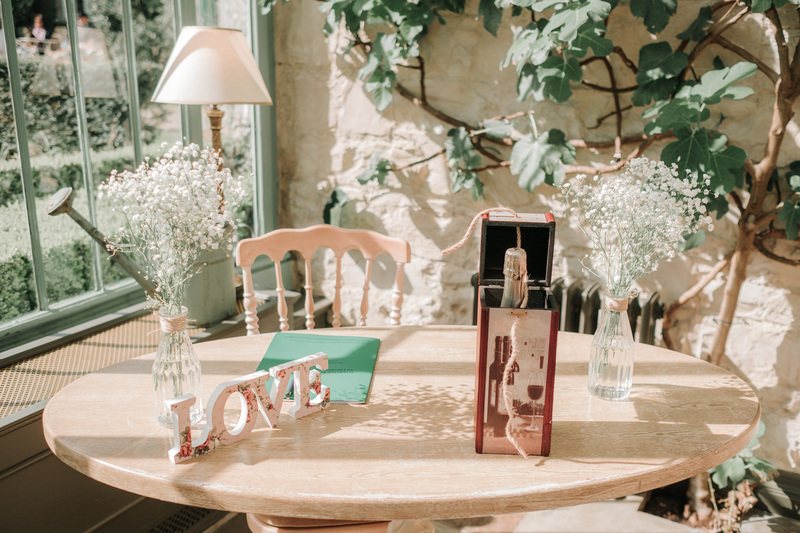 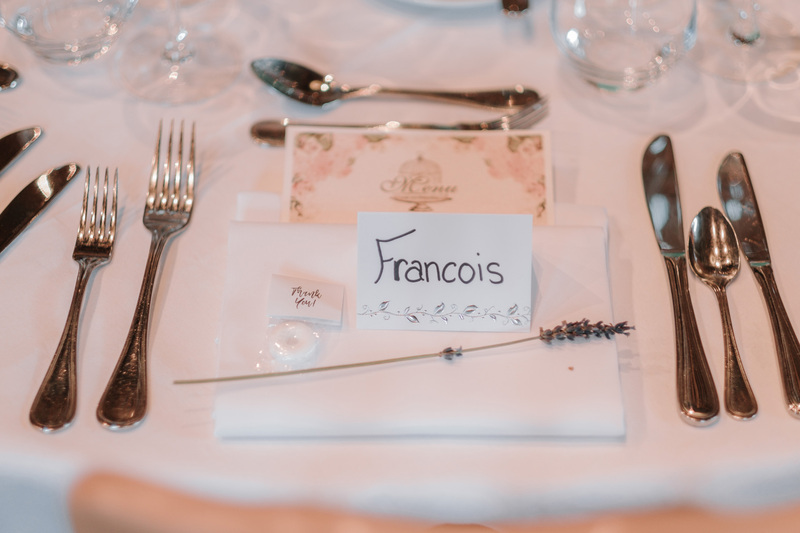 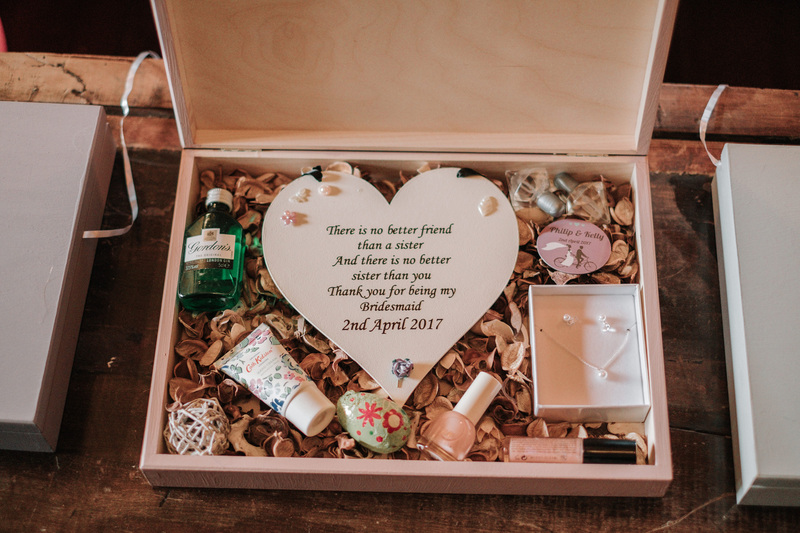 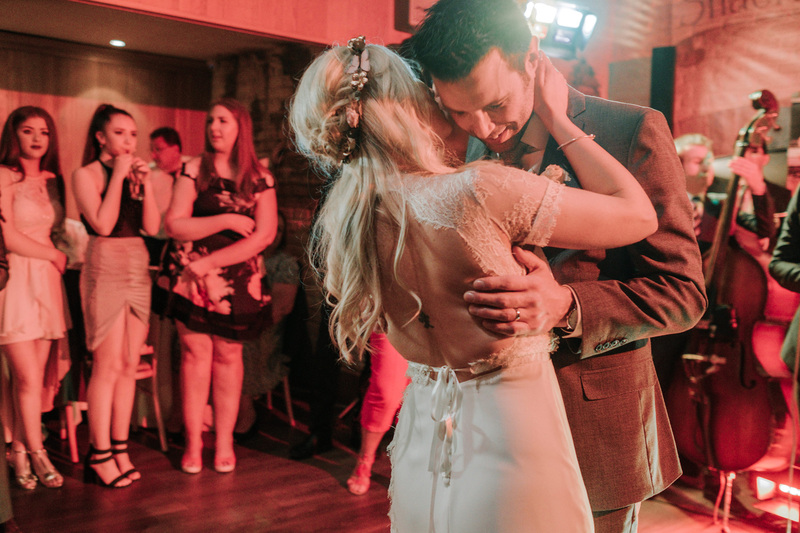 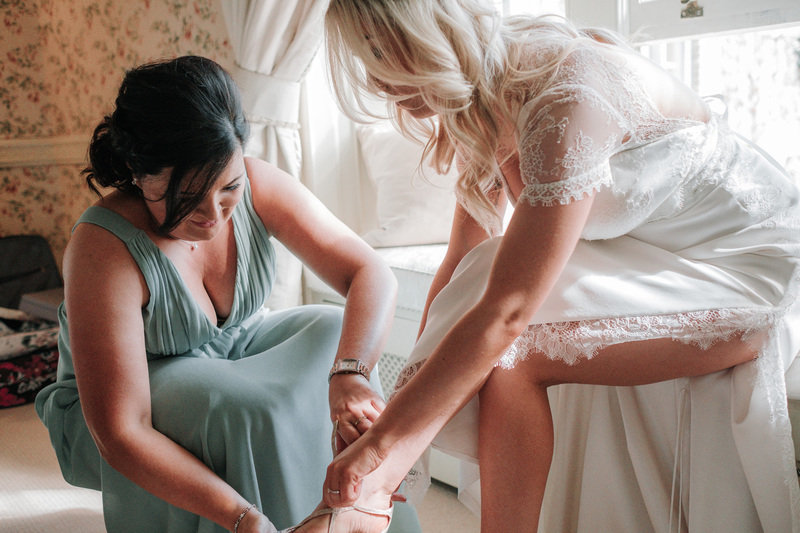 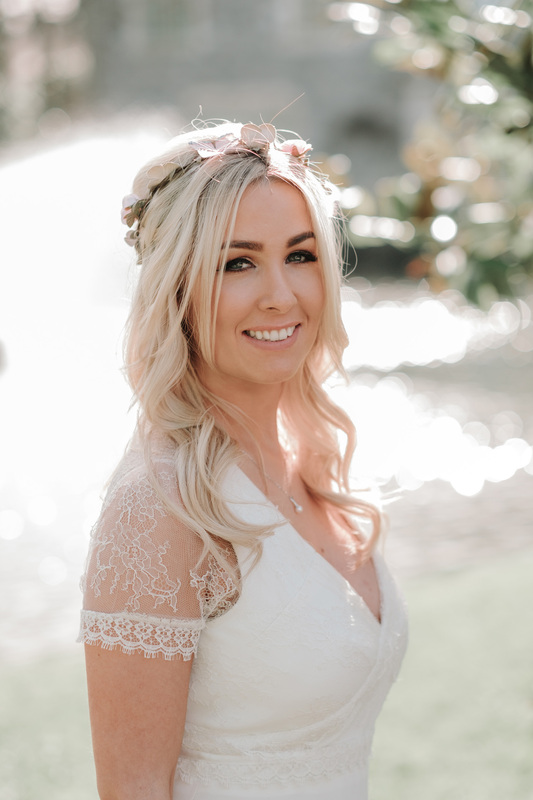 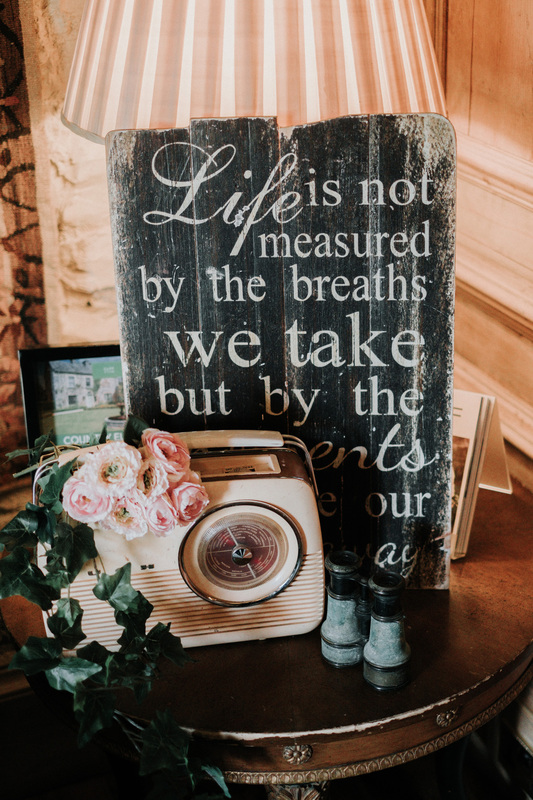 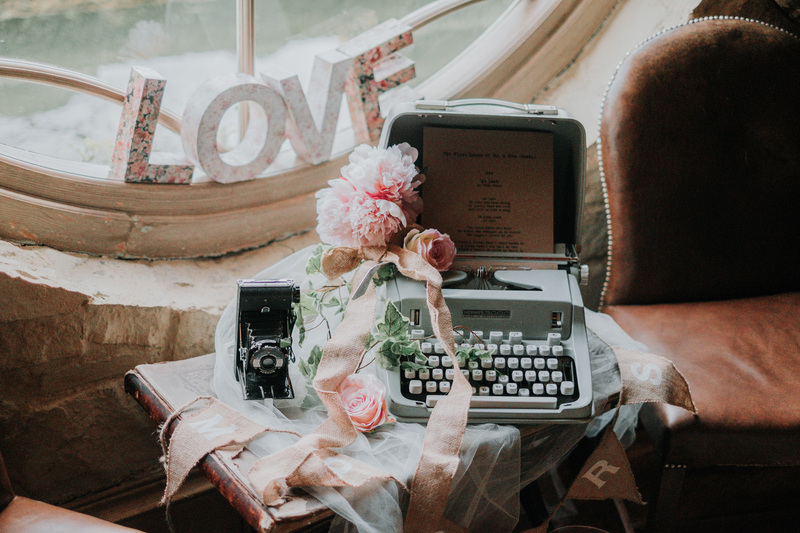 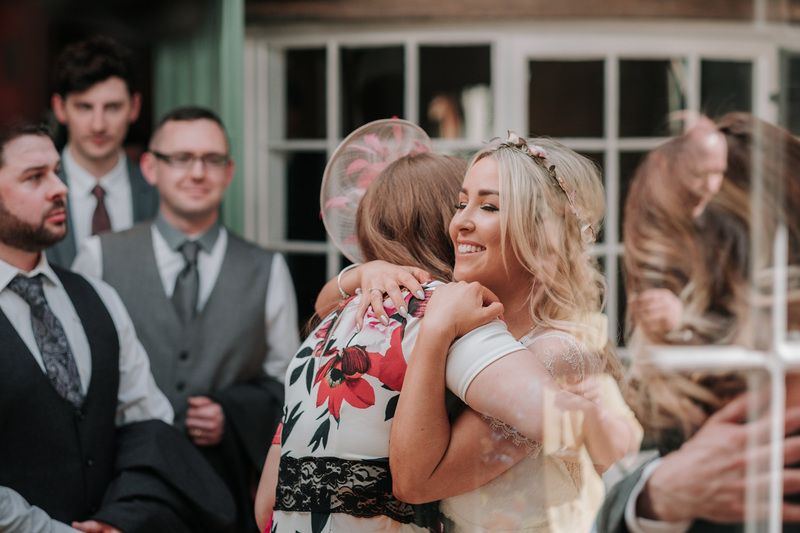 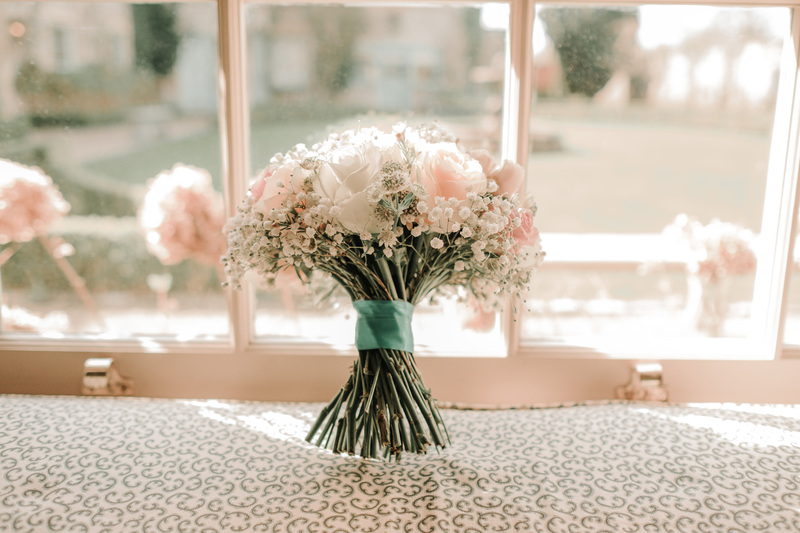 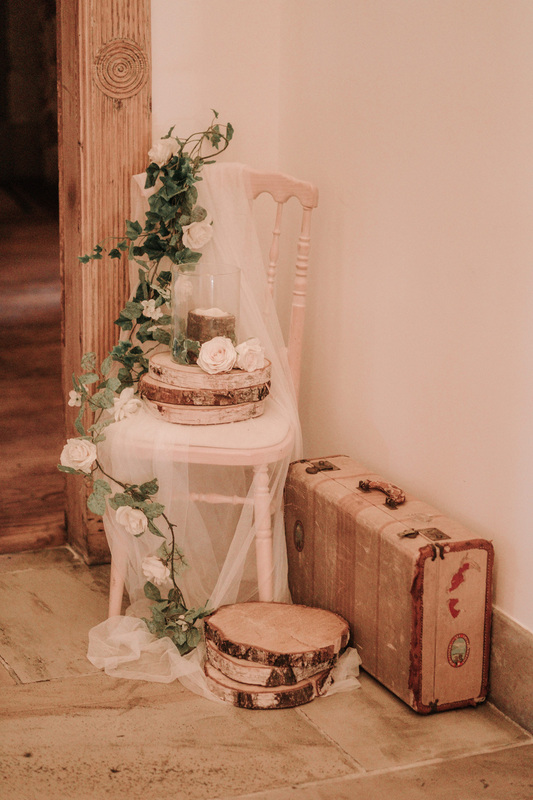 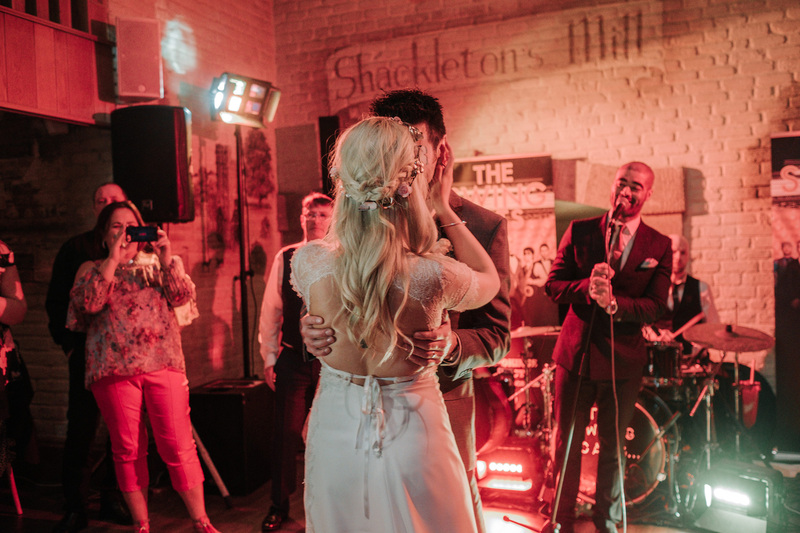 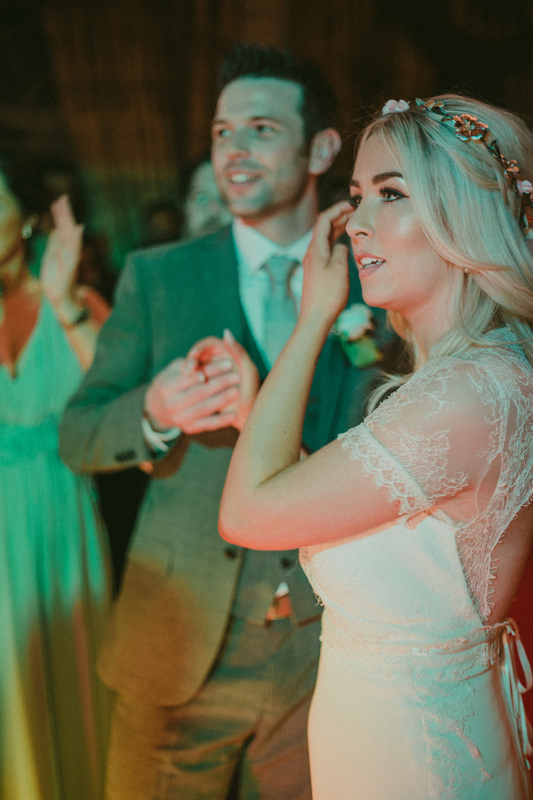 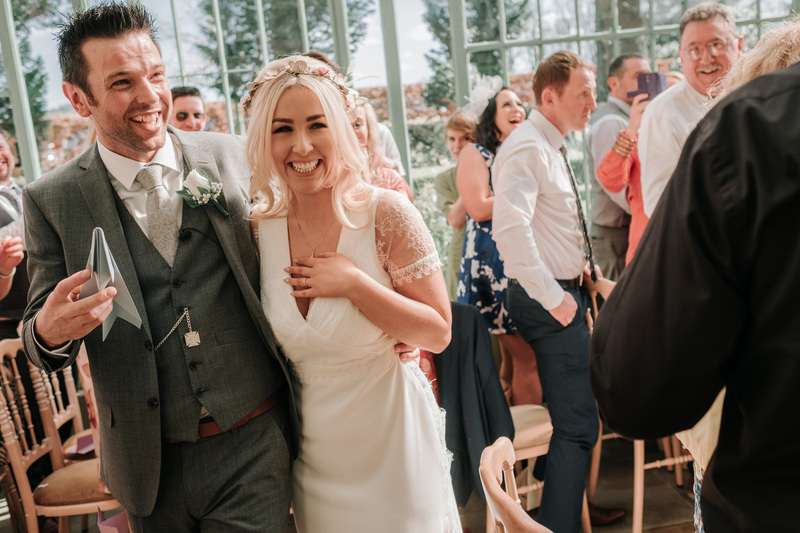 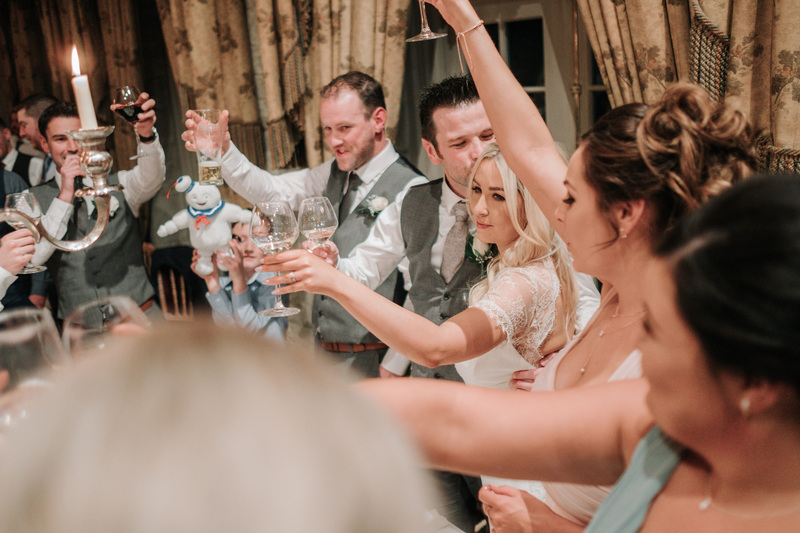 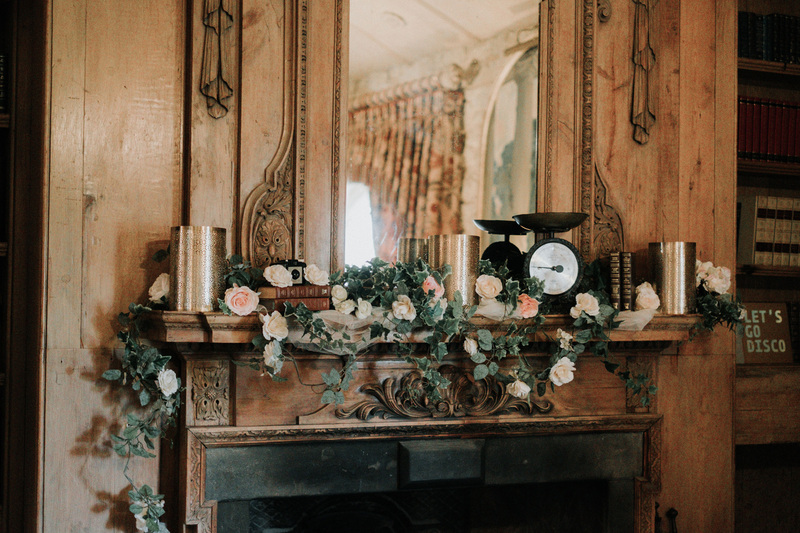 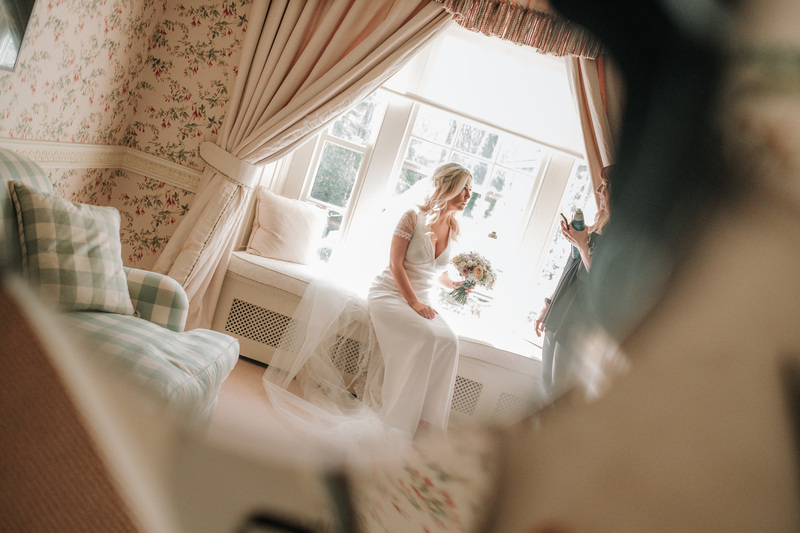 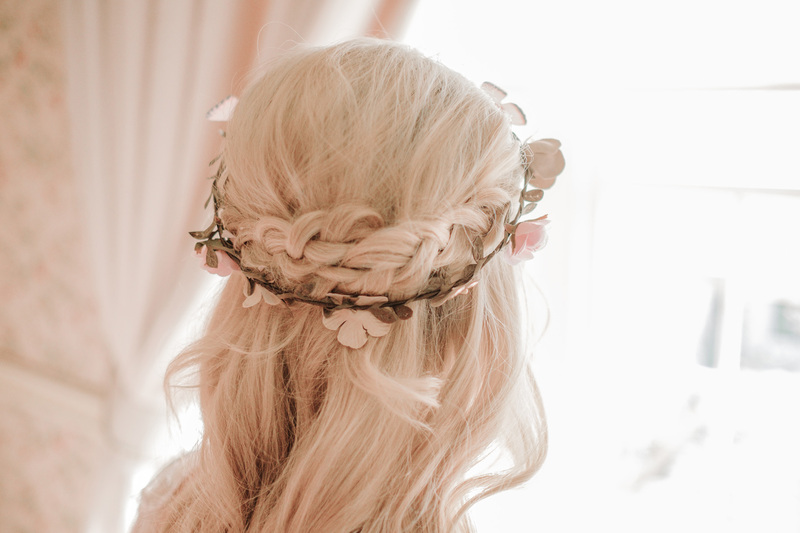 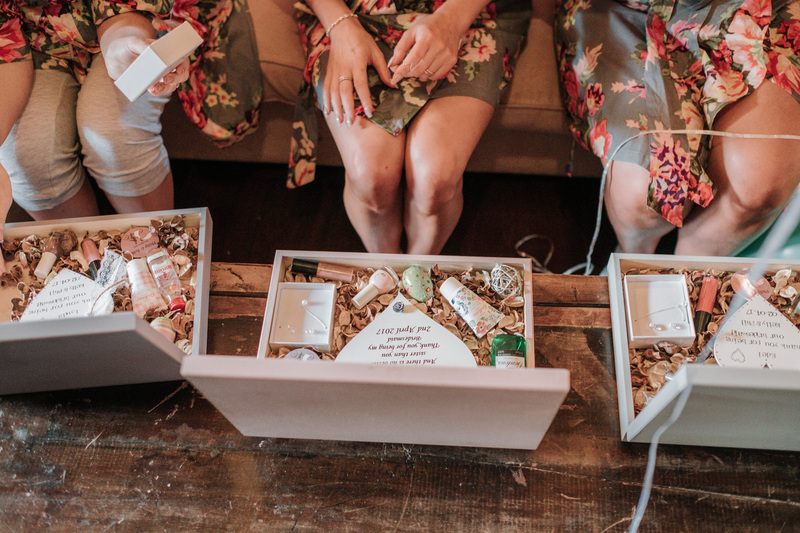 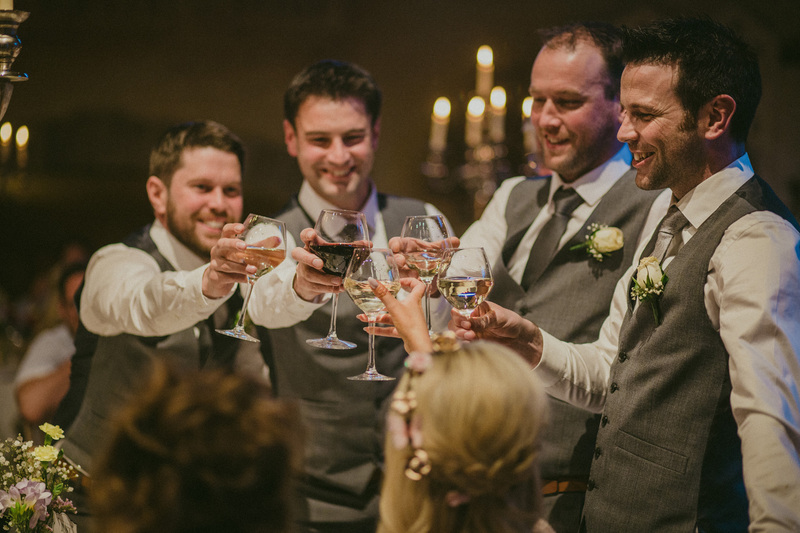 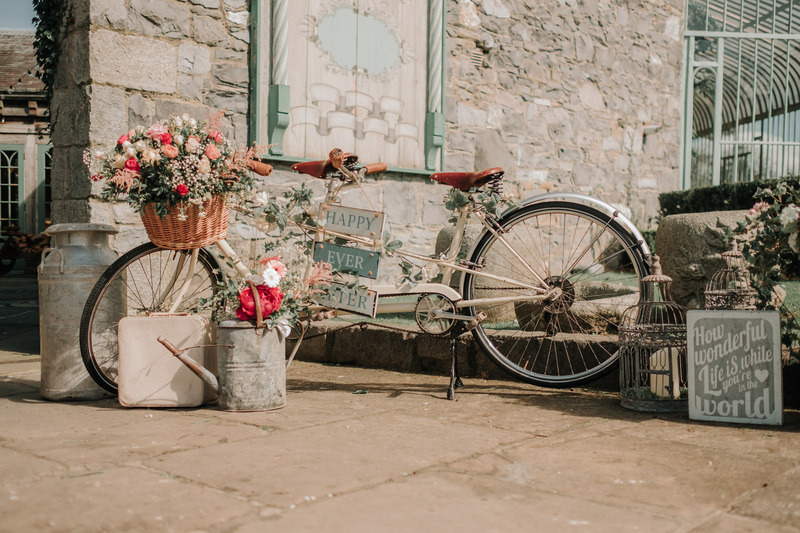 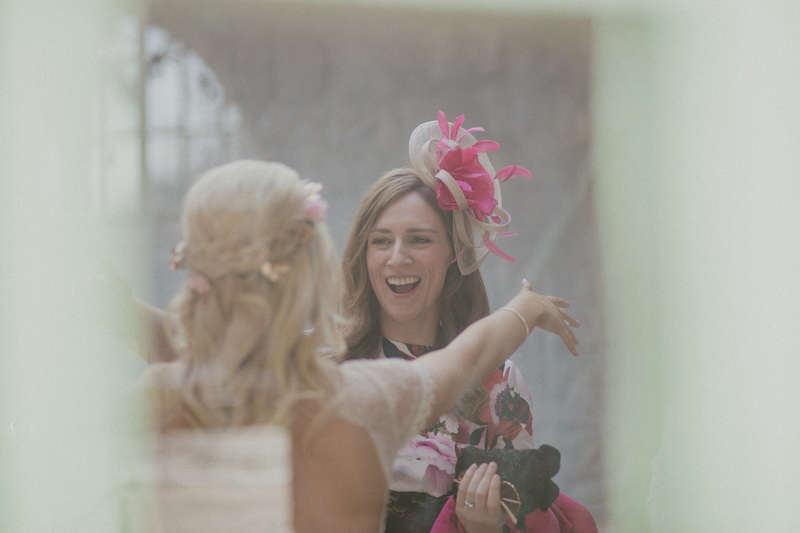 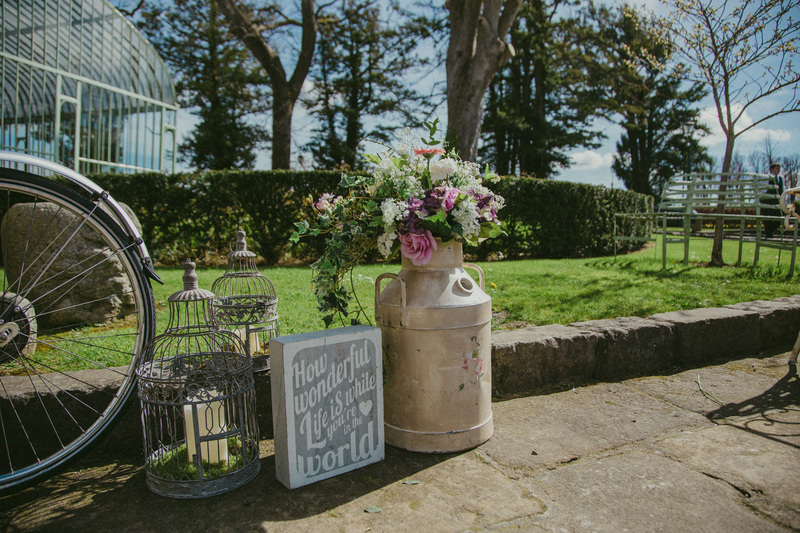 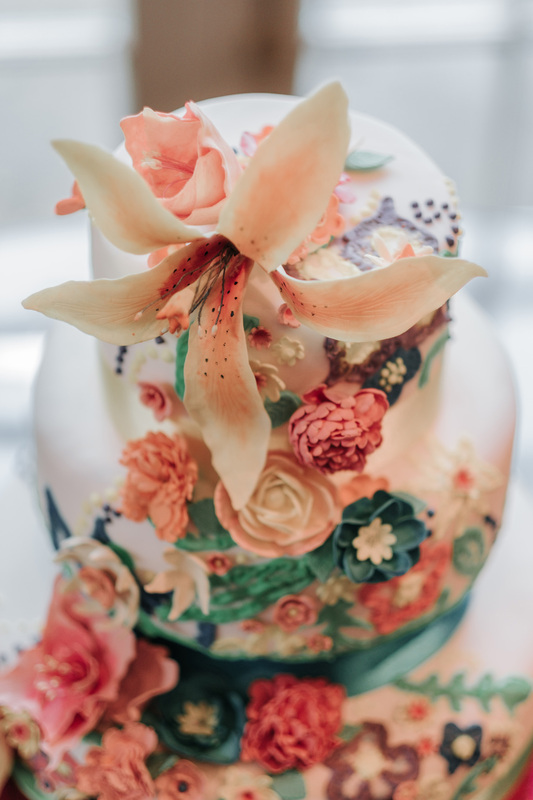 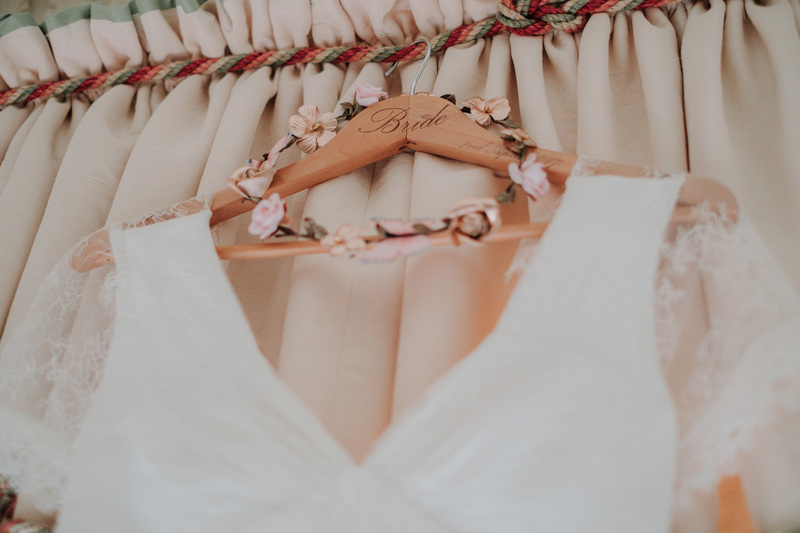 Everything from personalised wooden boxes filled with gifts for their bridal party, vintage bicycles, typewritters with notes of love, and picnic baskets filled with pastel flowers were among the bohemian style decorations strewn around the venue. 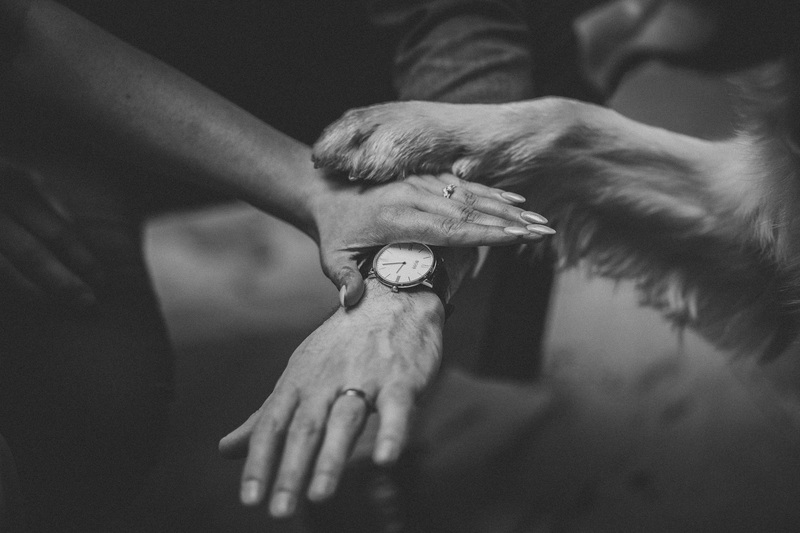 A gesture that really encapsulates who Kelly and Philip are was the inclusion of their Labrador dog baby in as many aspects of the day as possible. 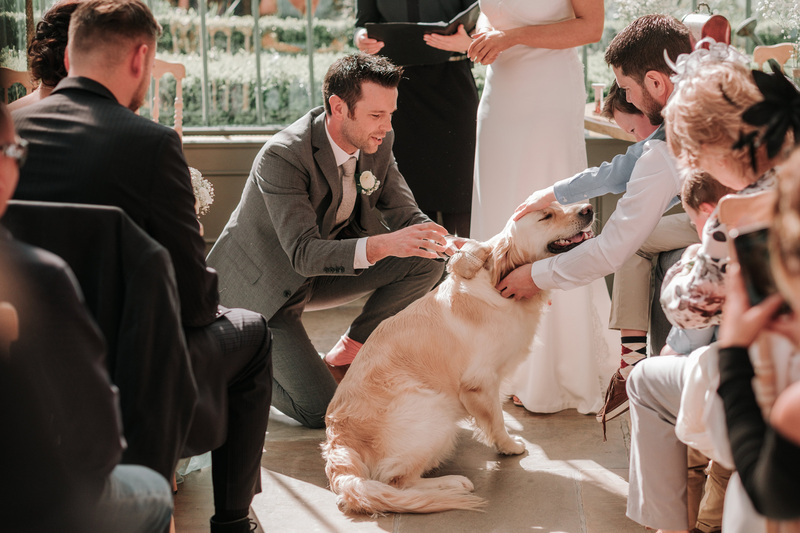 Their wedding guests were as much surprised as they were delighted by their pooch running up the aisles with the wedding rings attached to his collar. 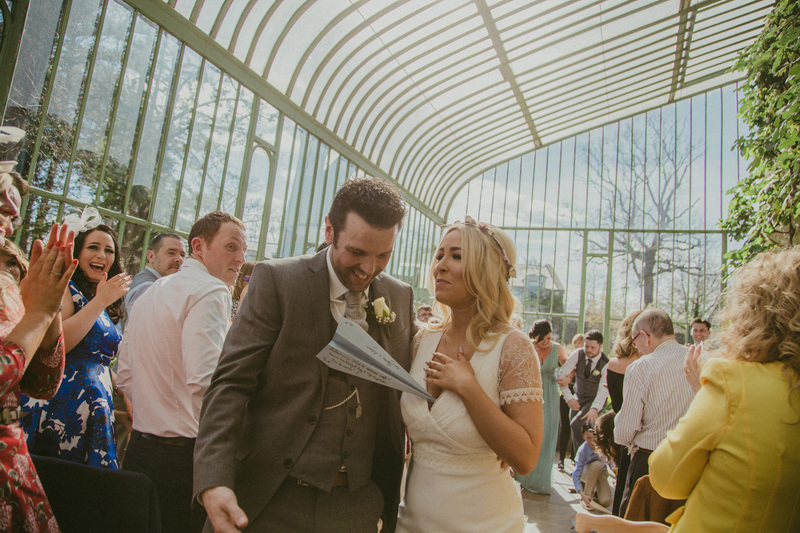 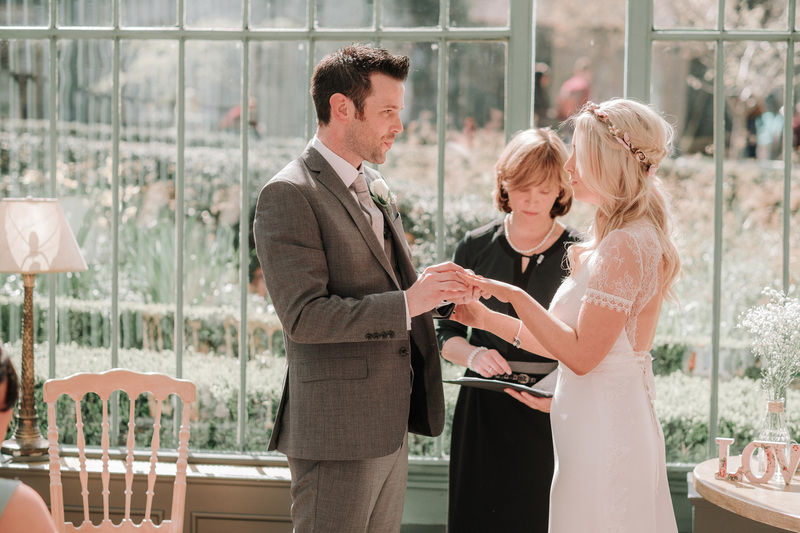 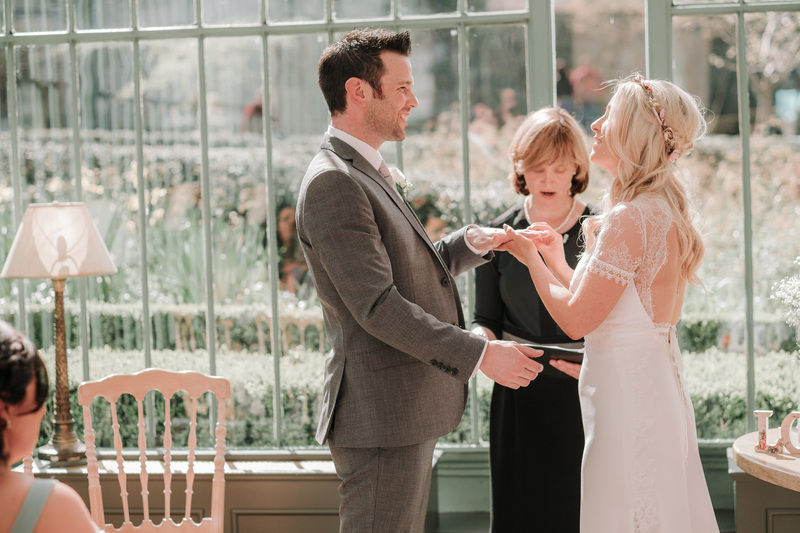 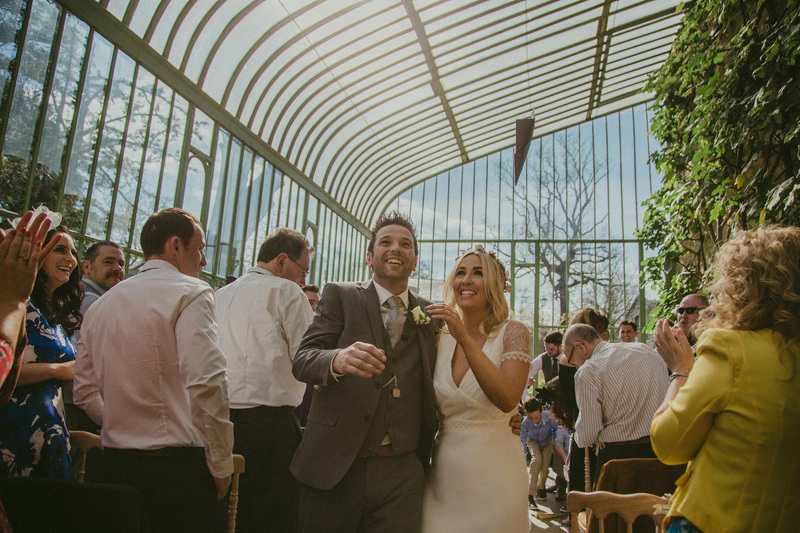 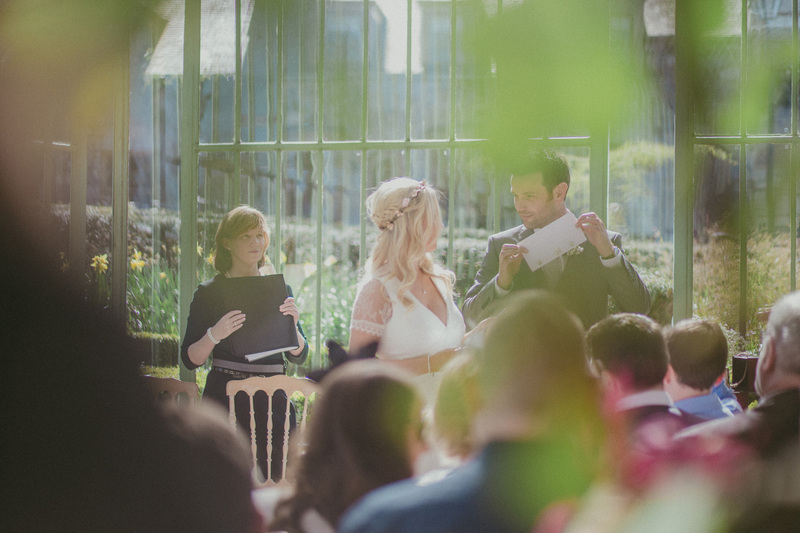 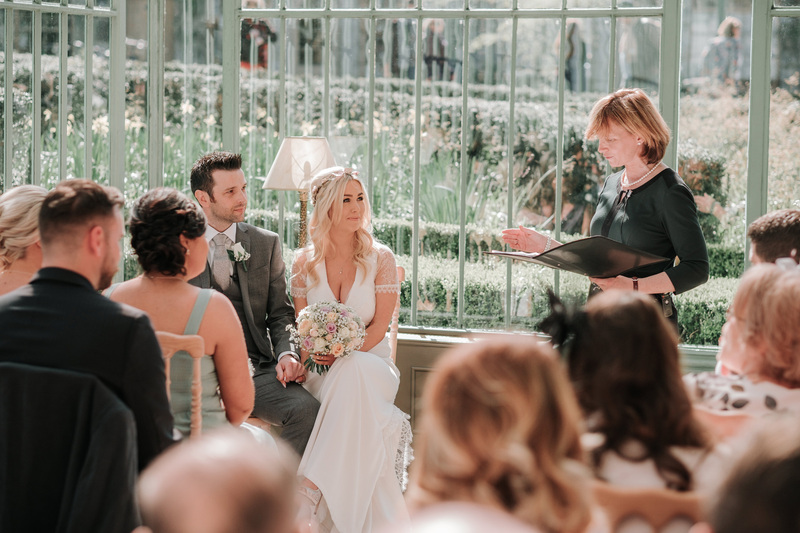 Their service was beautiful and the sunlight surrounded the couple as it shone through the atrium’s glass walls. 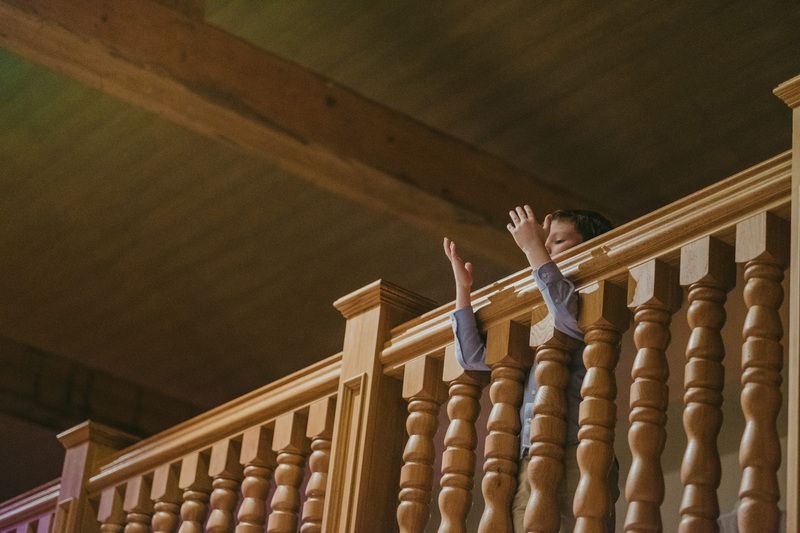 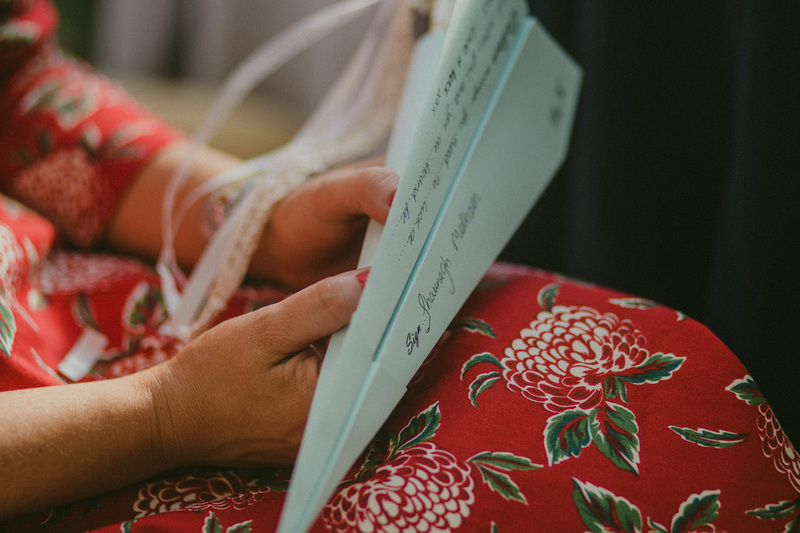 As they exited as husband and wife, their guests threw paper airplanes with handwritten messages of love which was a wonderful idea. 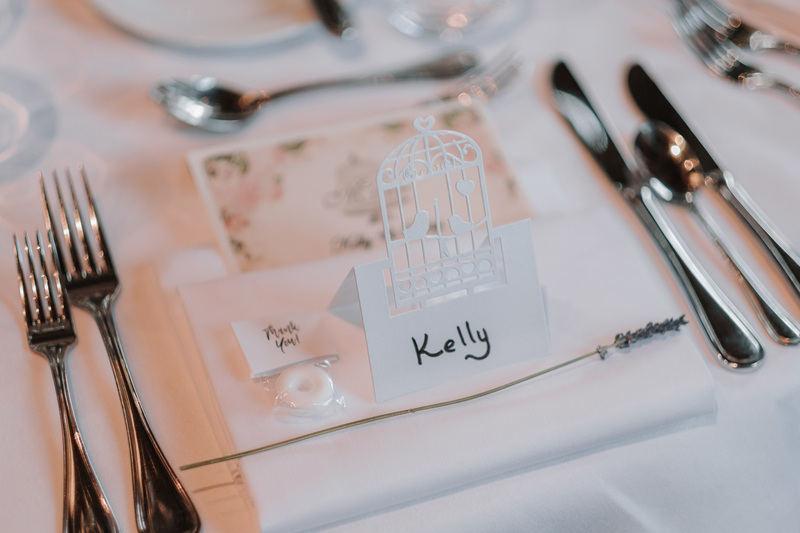 One of the airplanes literally landed right near Kelly’s heart and stayed there. 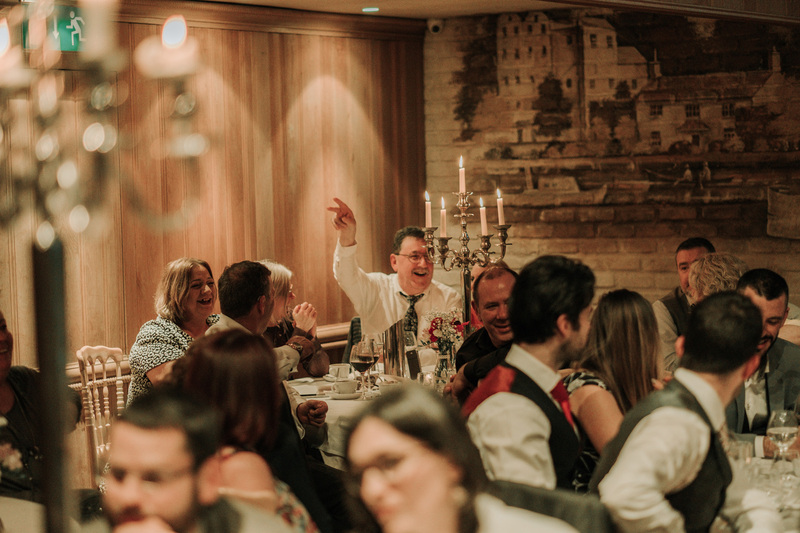 Which made the room fill with laughter. 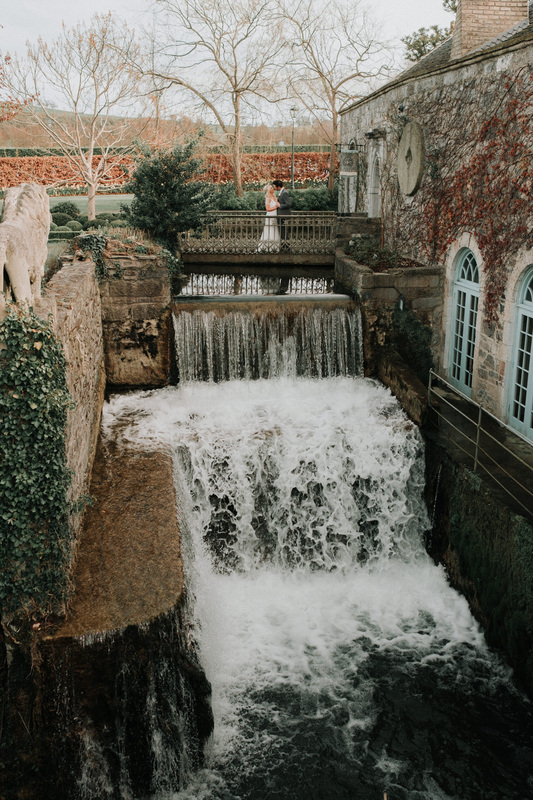 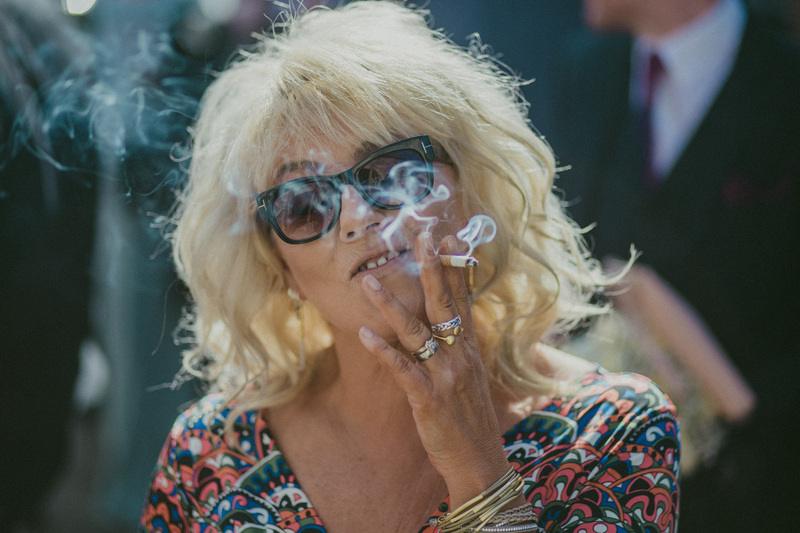 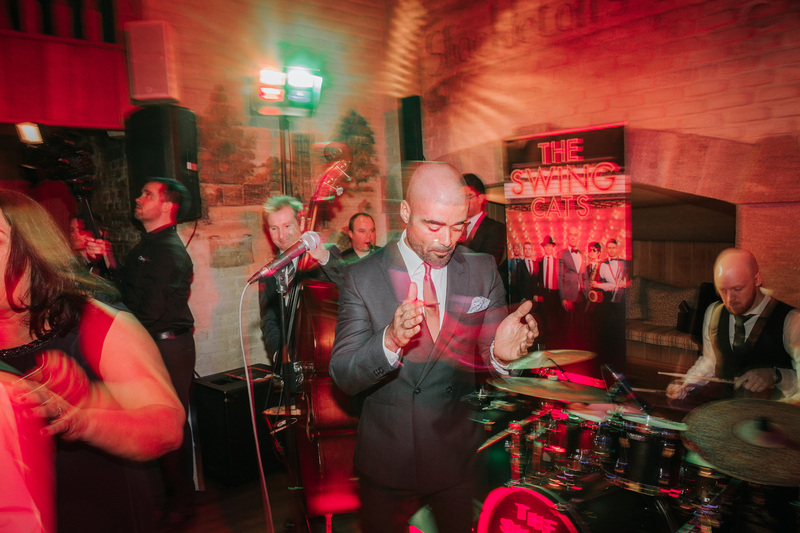 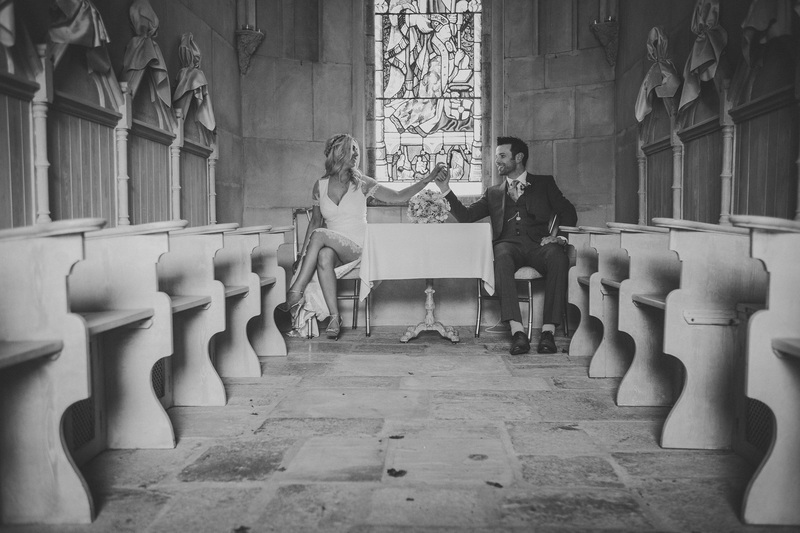 It was one of the many wonderful moments of the couples Cliff At Lyons wedding. 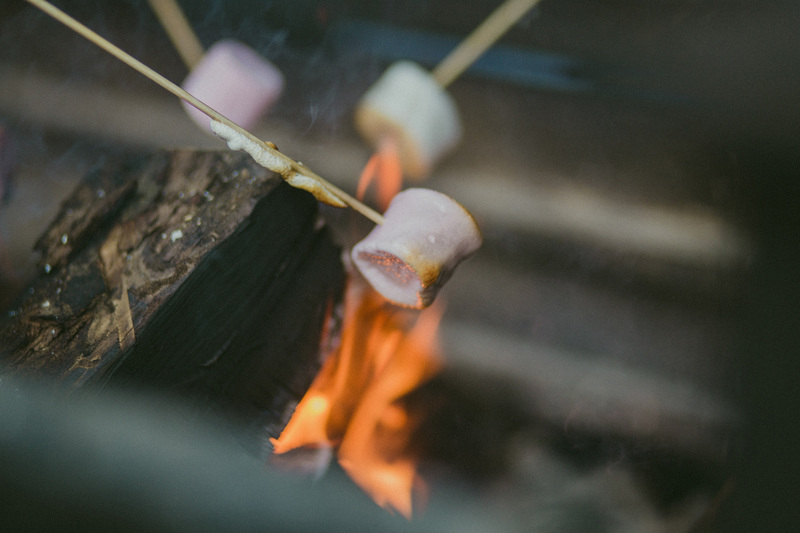 If that weren’t enough, Kelly and Philip also arranged an open fire for marshmallow roasting for their guests. 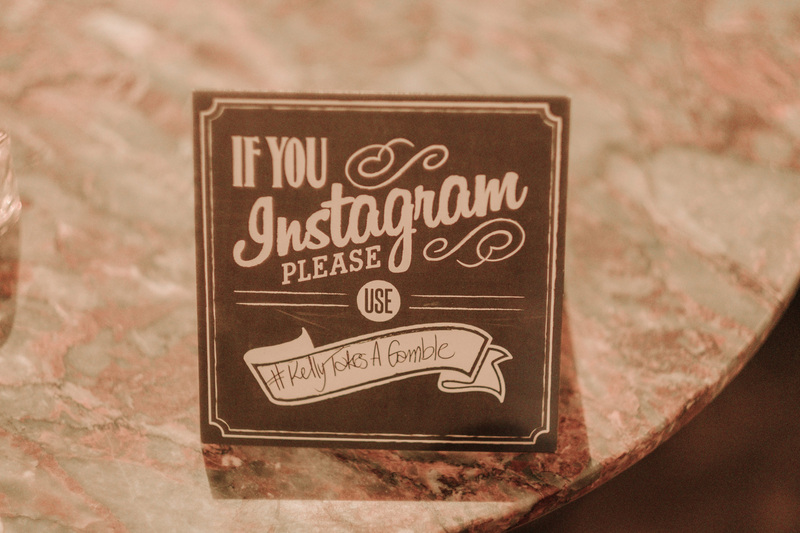 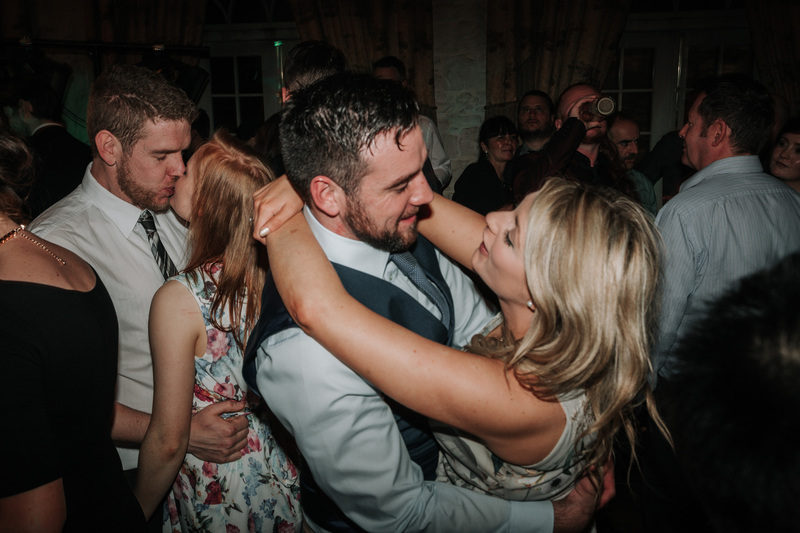 ‘Kelly Takes A Gamble’ was the couples instagram hash tag for the wedding day. 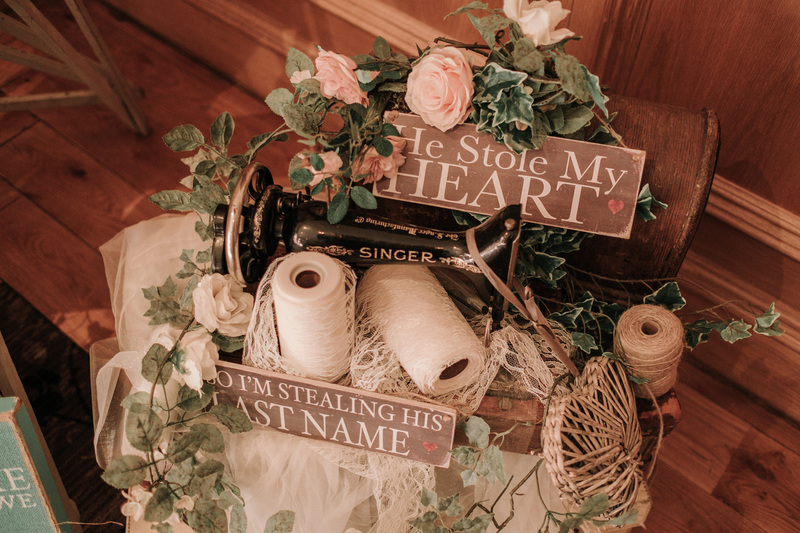 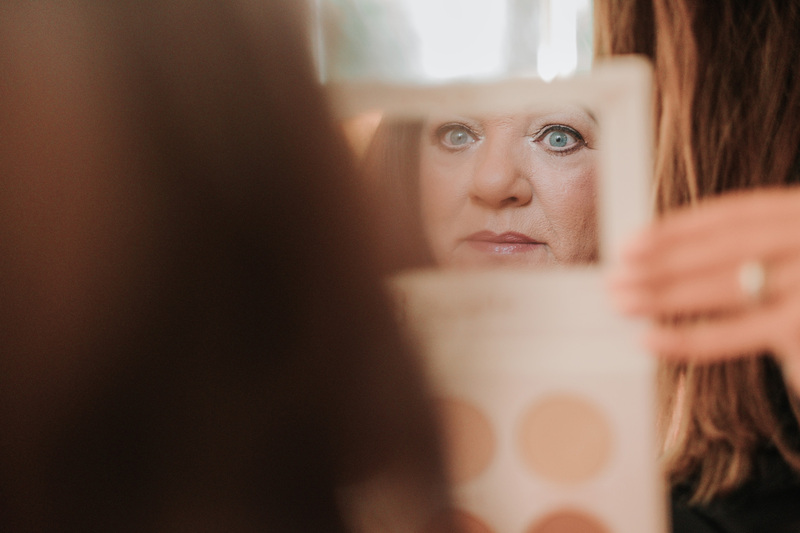 This referenced her husband’s last name and showed their humorous side. 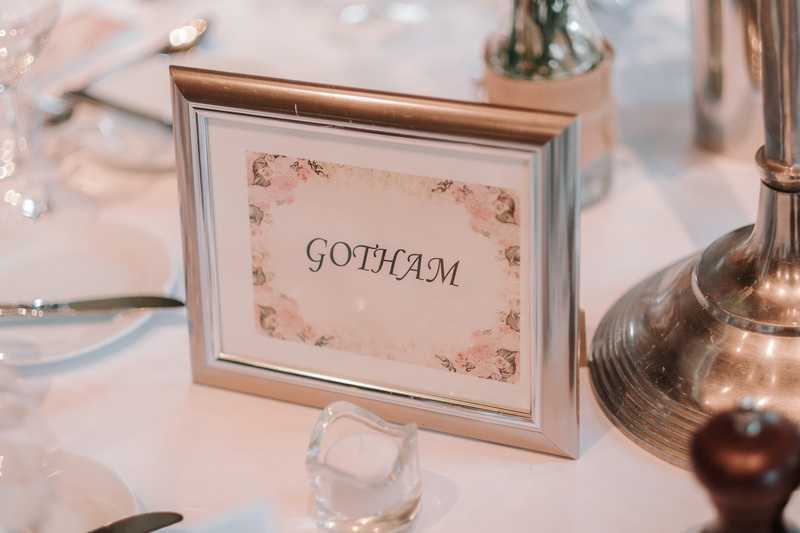 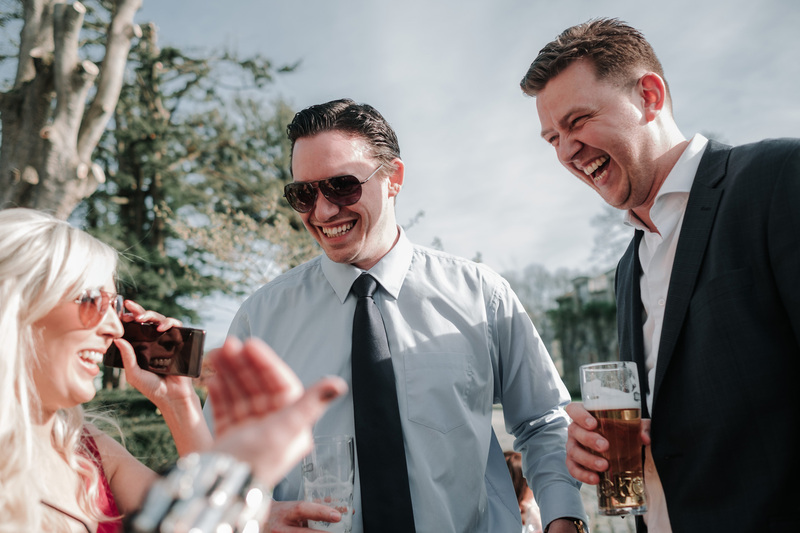 The groomsmen created a humerous slide show for the reception, but we’ll keep those details for those who were in attendance. 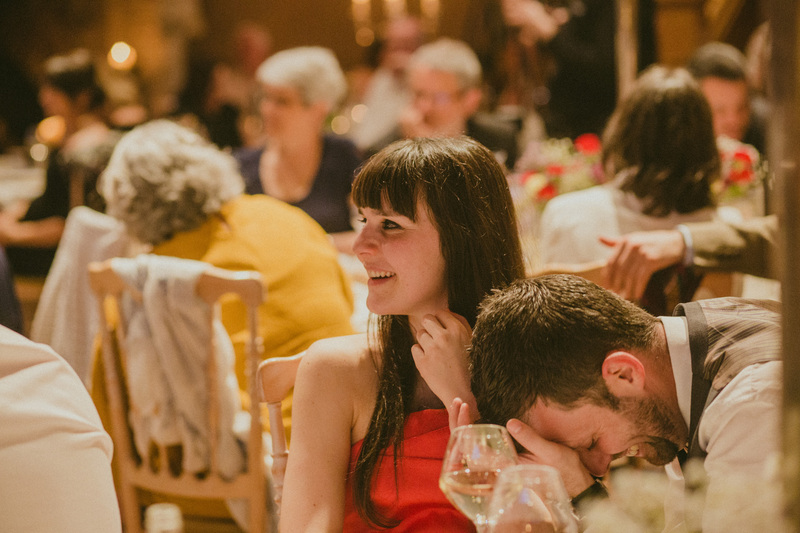 Needless to say there was a lot of laughter. 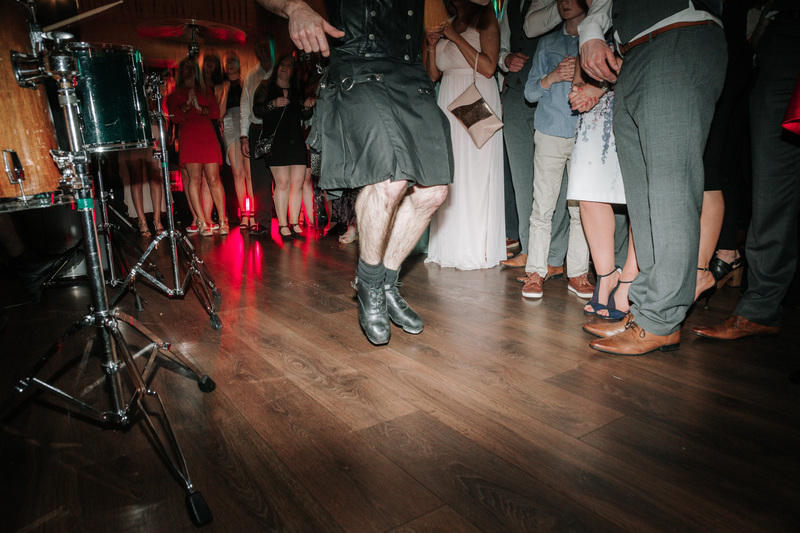 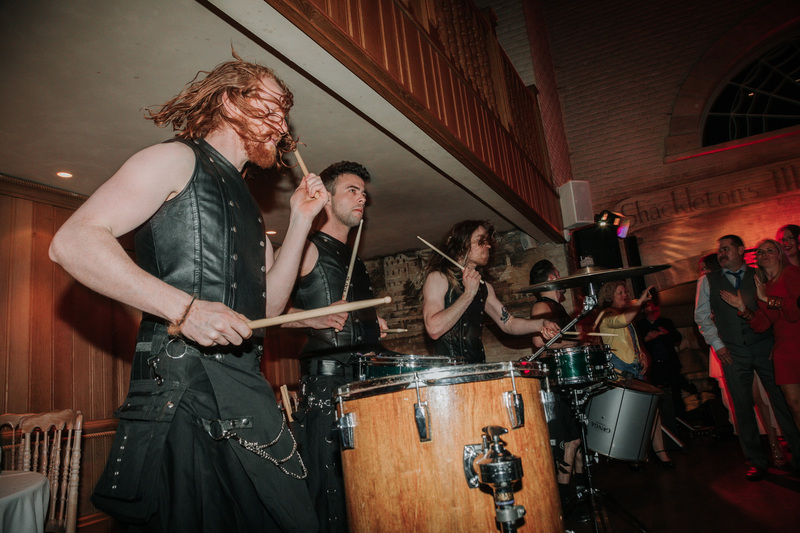 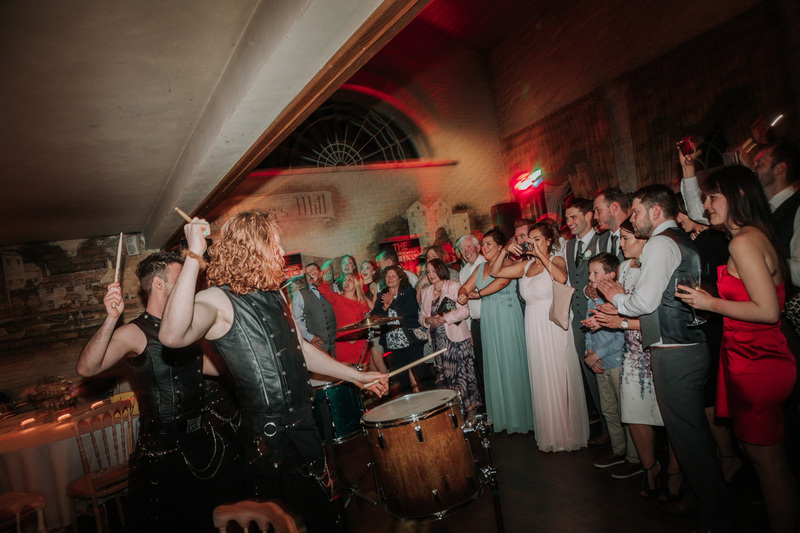 Prepping their guests for dancing into the wee hours of the morning were the Celtic Drummers. 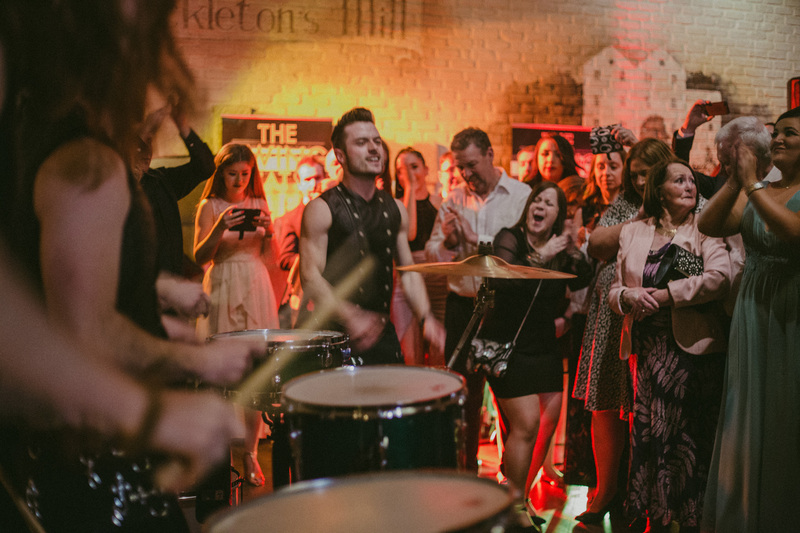 They more than warmed up the crowd with their powerful performance. 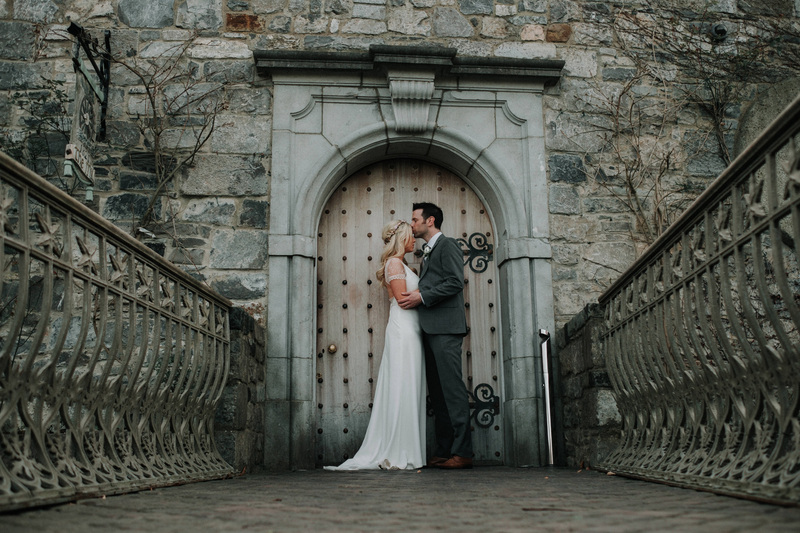 All in all it was a spectacular day.